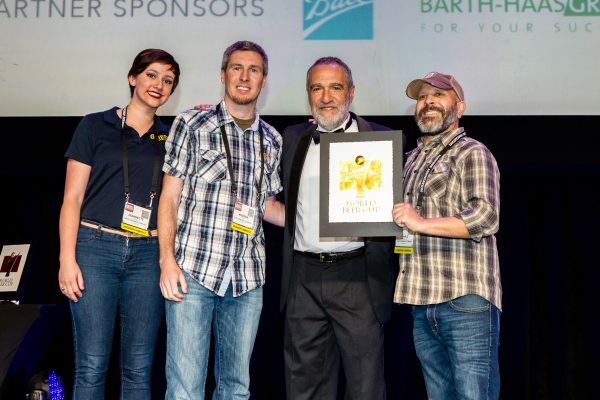 We encourage you to promote your award winning beer in your public relations and marketing campaigns. 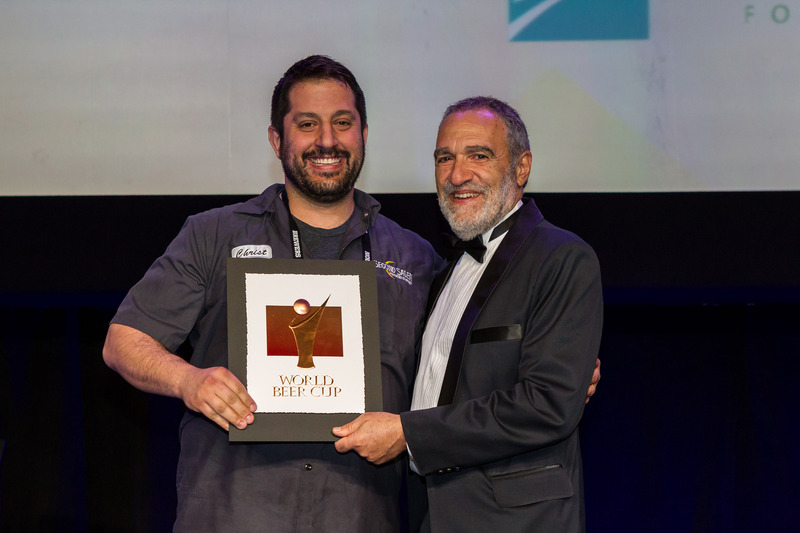 All 2016 and 2018 winning breweries have customized award art available here for download to use in marketing and promotional materials. 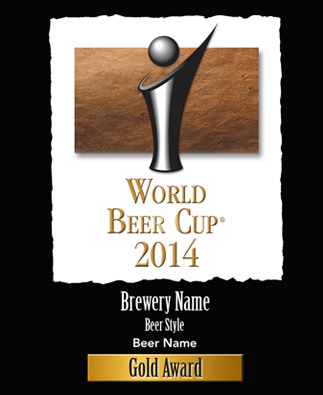 See ” Use of World Beer Cup Logos” policies on this page to review the usage requirements. 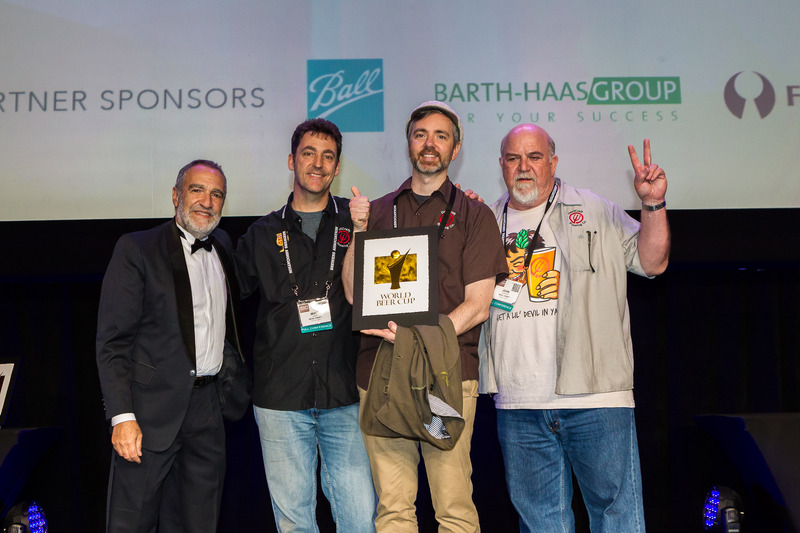 *If you’re unable to open an .eps file download this free software. 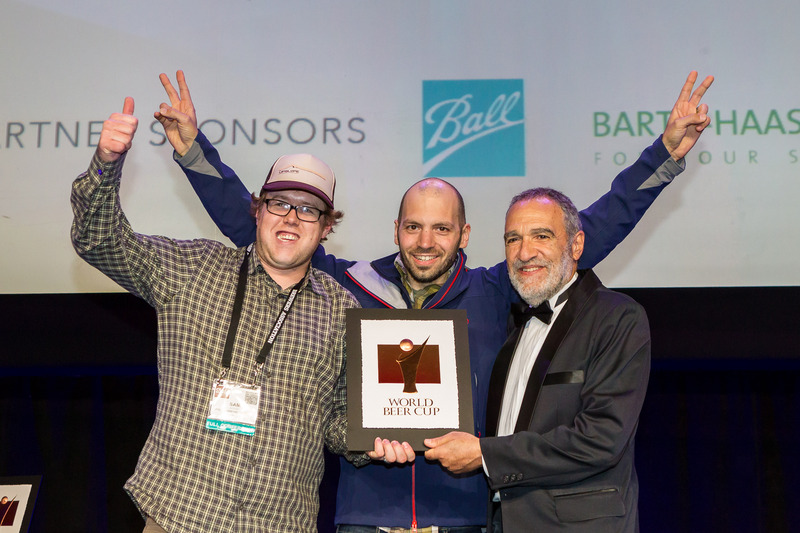 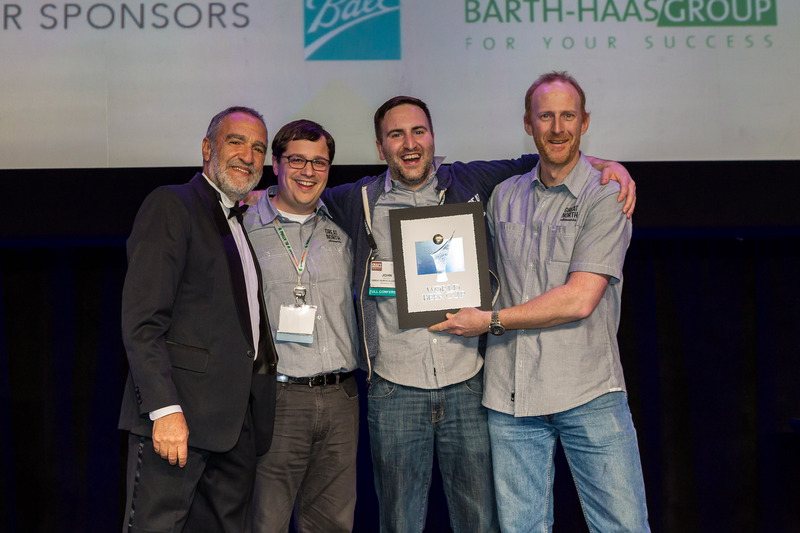 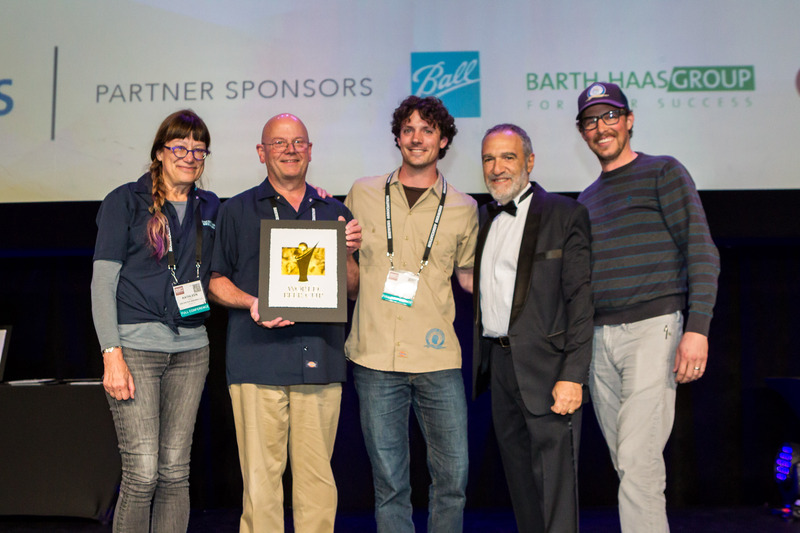 Are you interested in ordering additional awards from a previous World Beer Cup win? 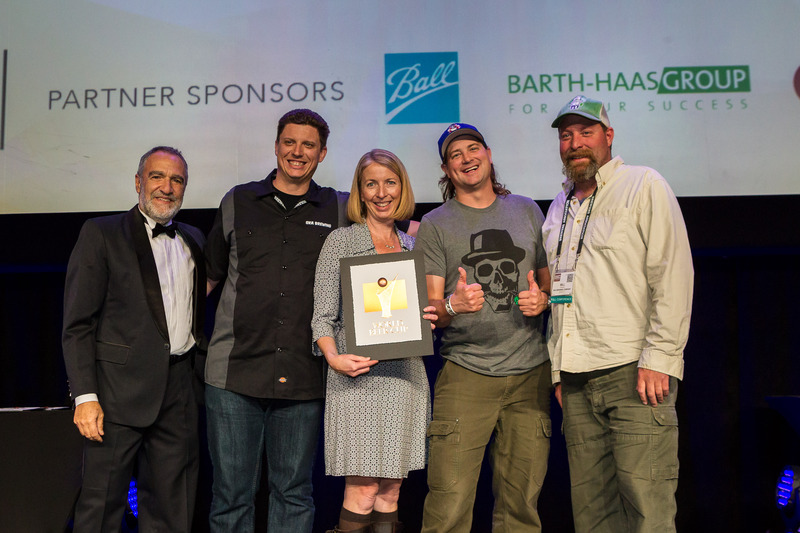 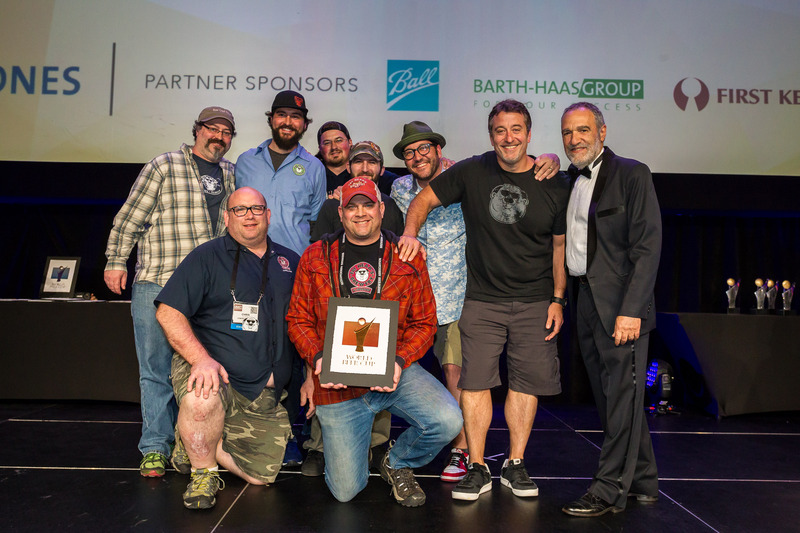 Breweries that won previous awards can purchase either duplicate awards of the original or plaques of the award. 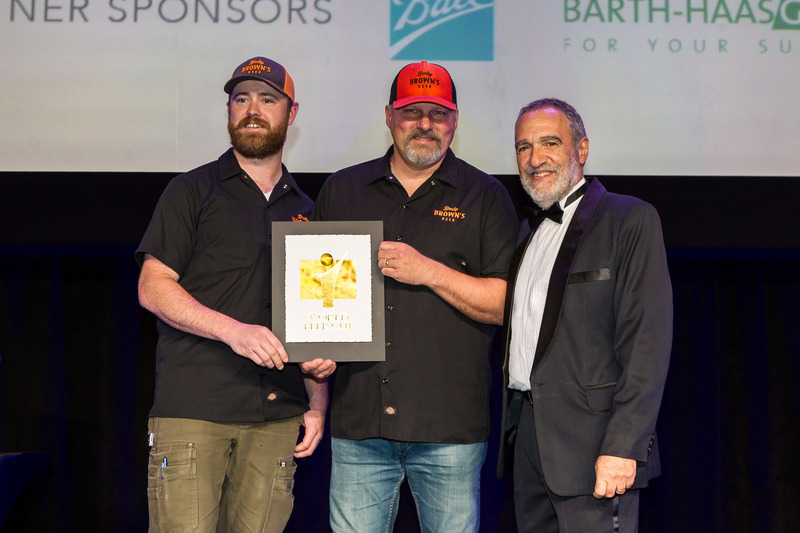 The duplicate award is a replica of the award that was given to the brewery. 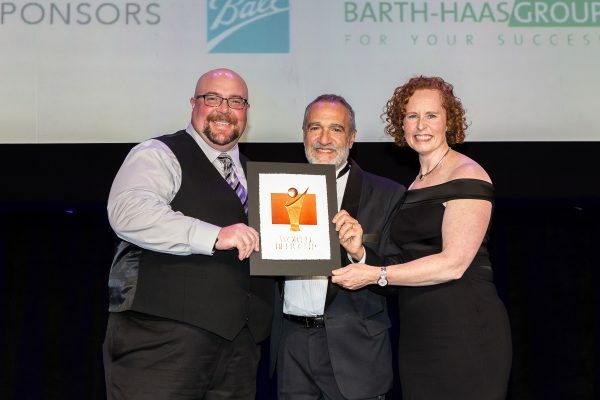 The award plaque is made from acrylic, paper and other materials, and has the award image and information mounted on wood. Please contact Stacey Wetzel at +1.303.443.7198 or stacey@brewersassociation.org with questions. 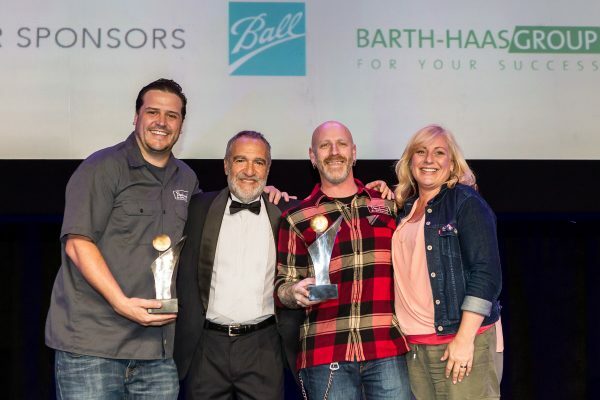 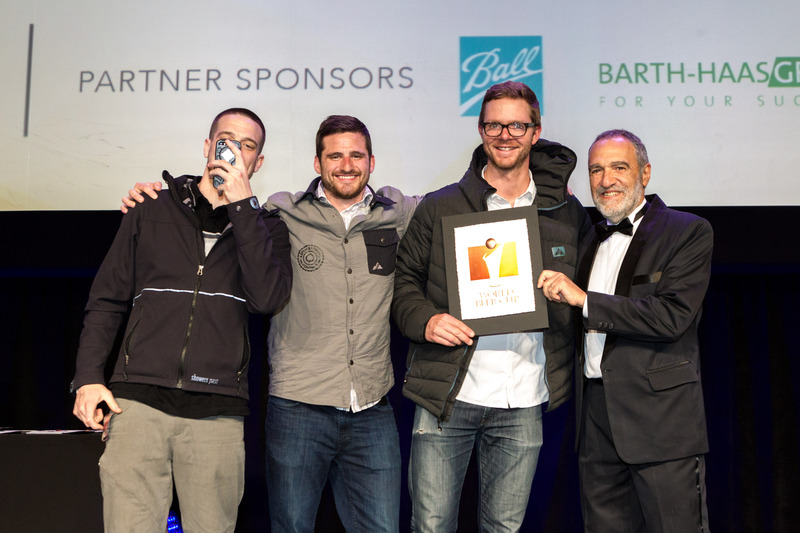 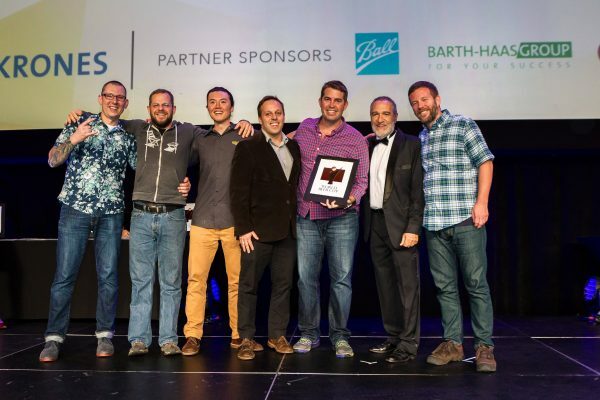 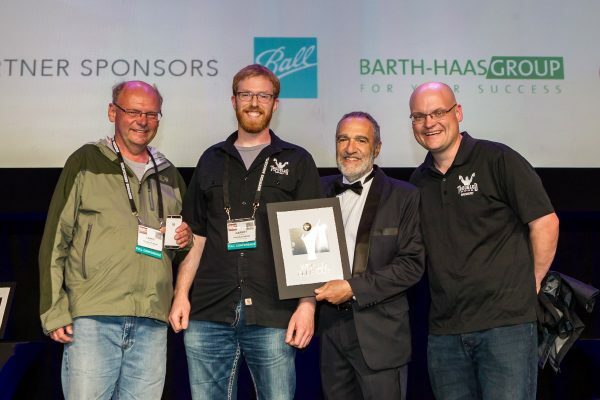 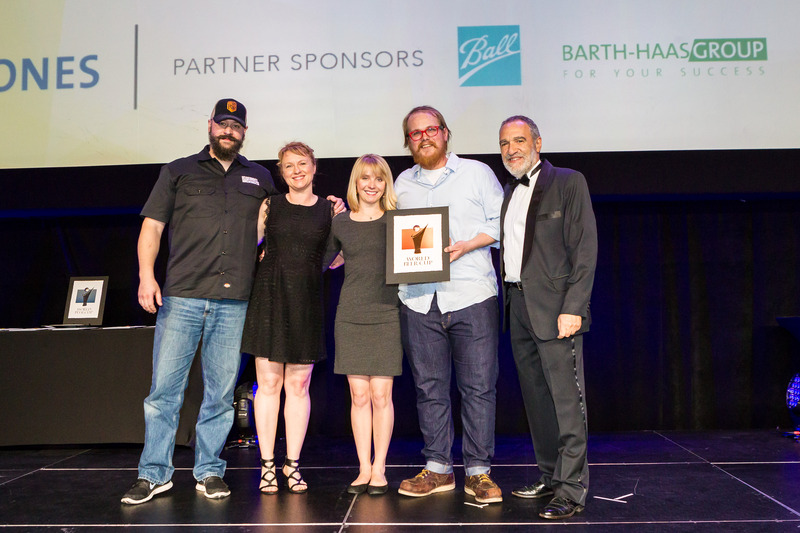 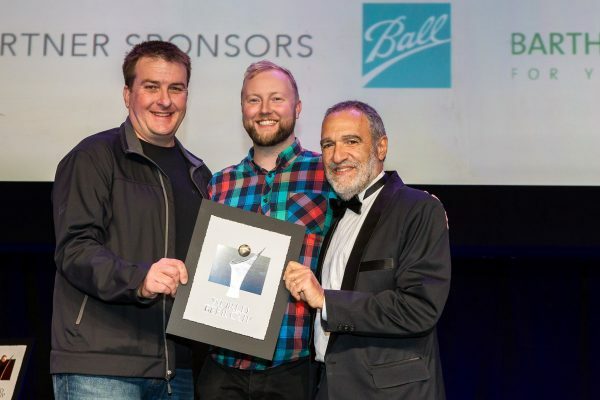 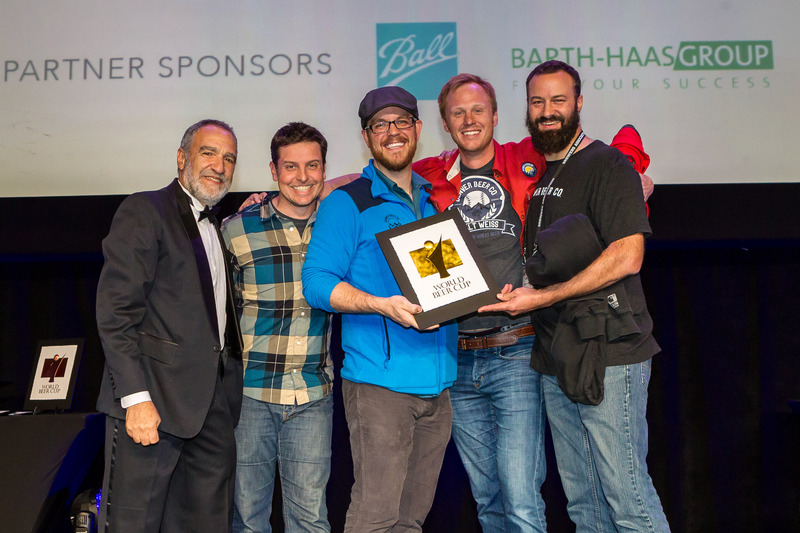 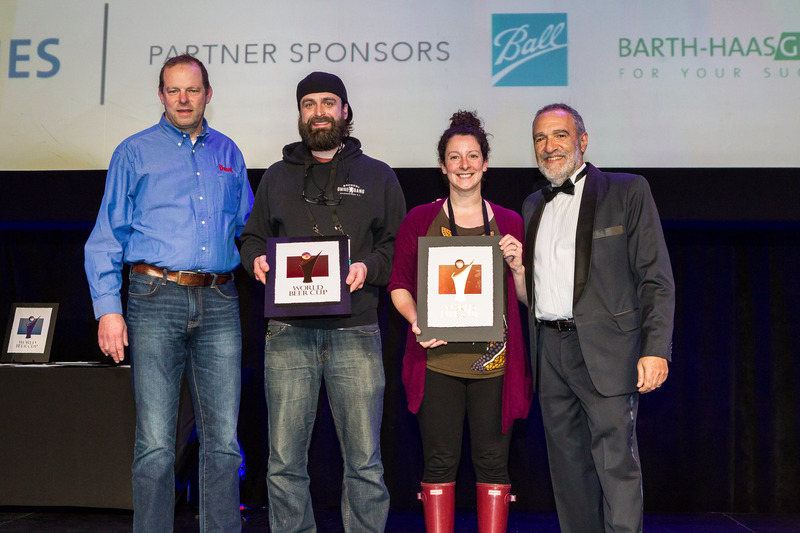 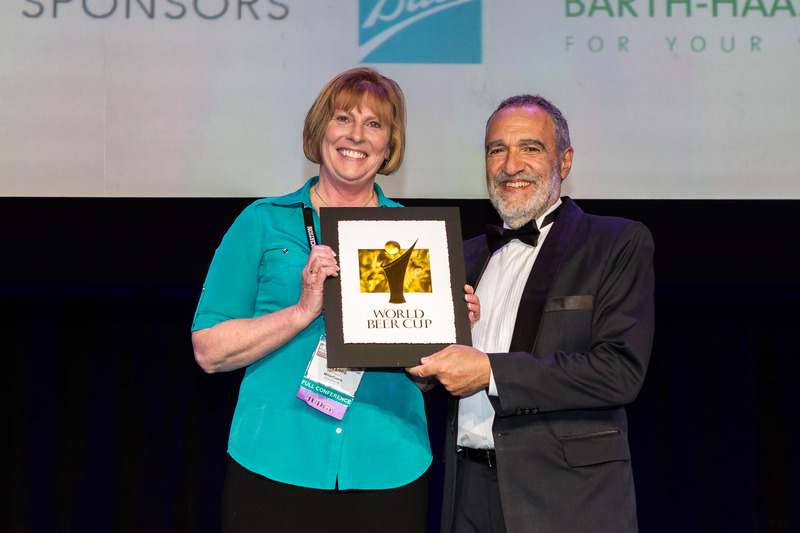 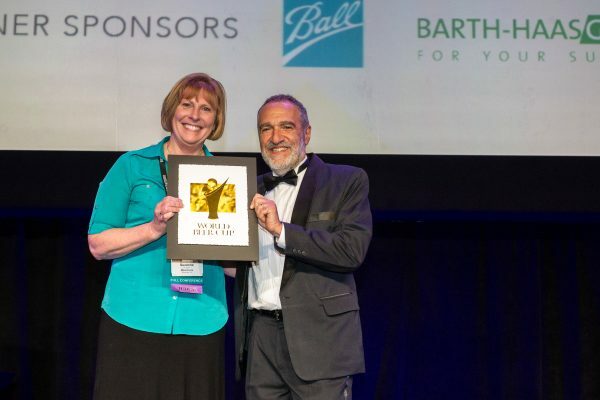 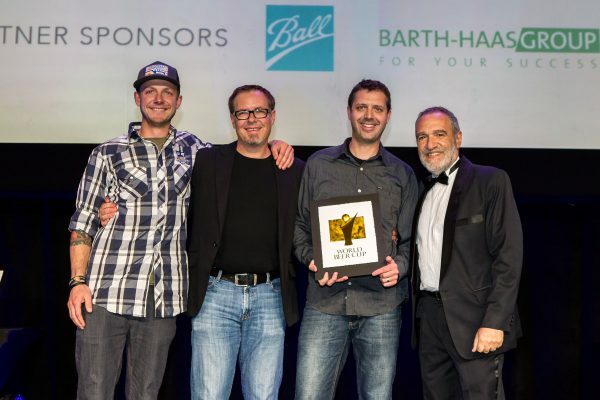 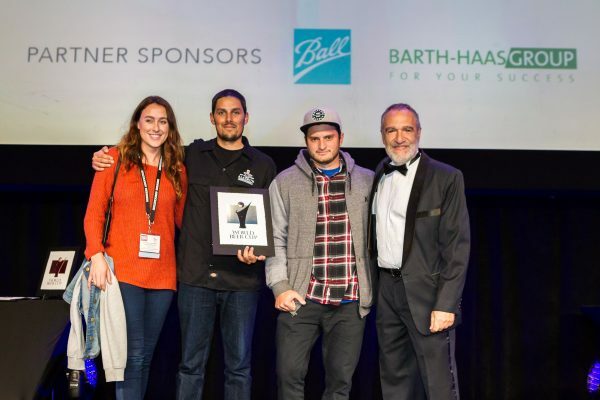 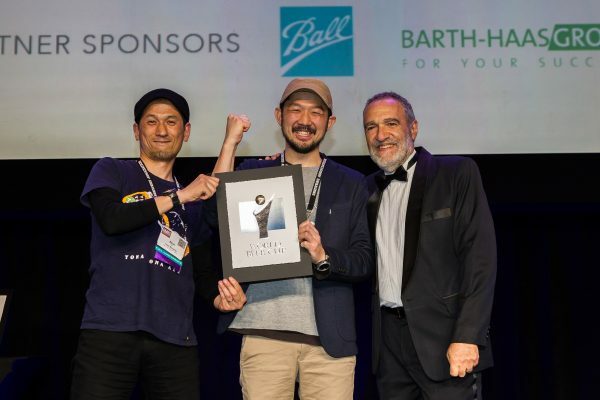 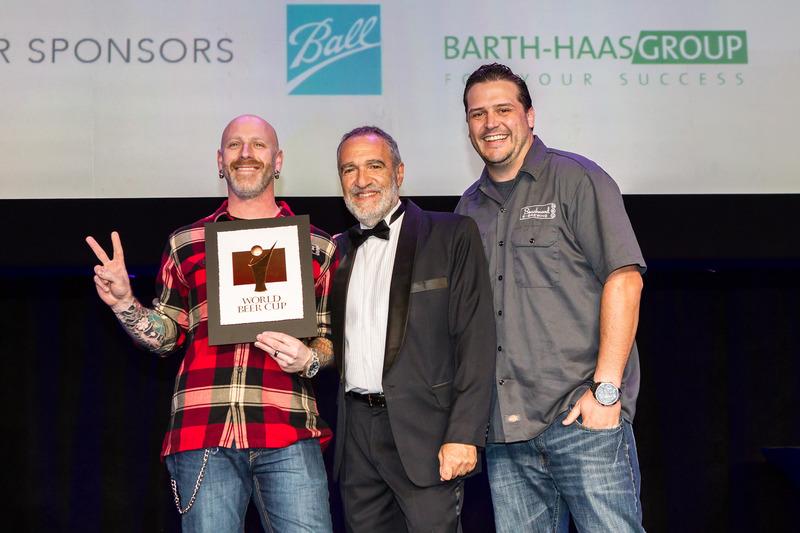 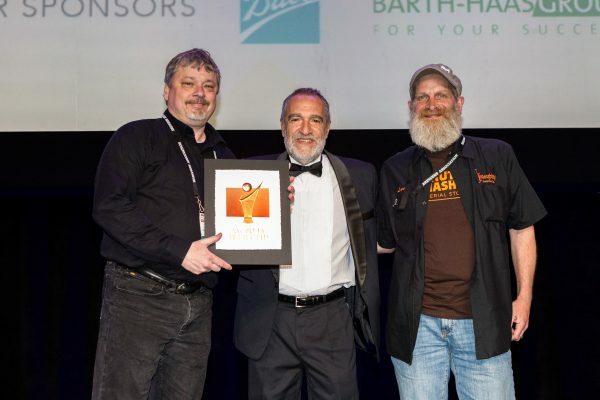 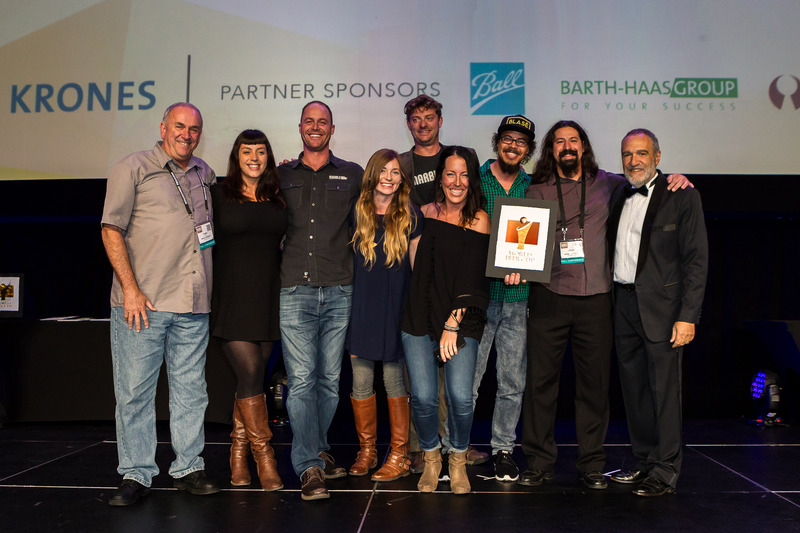 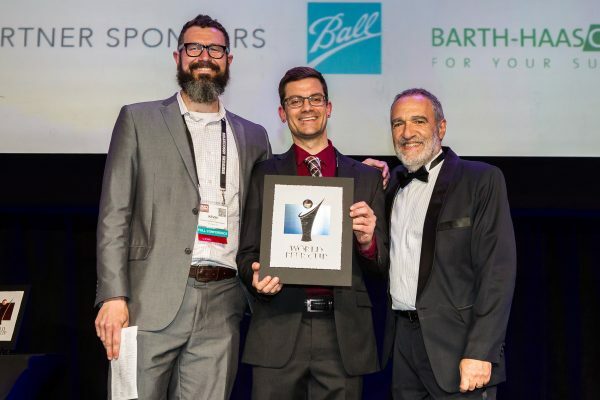 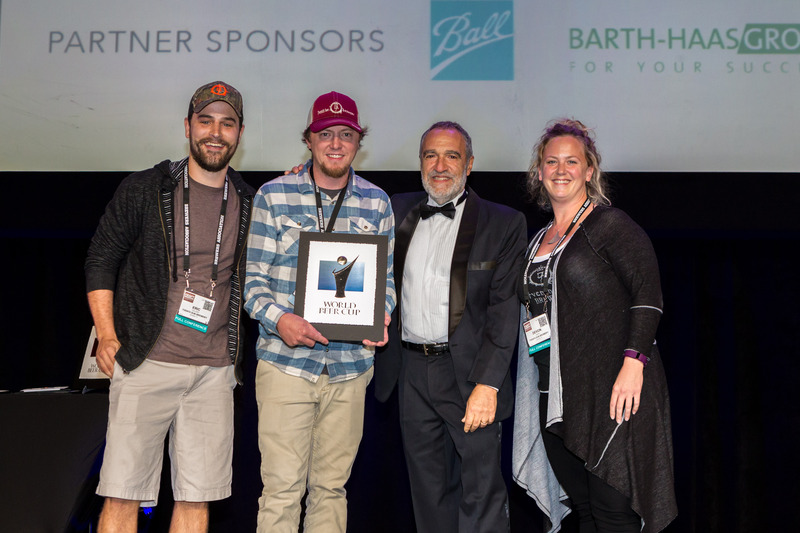 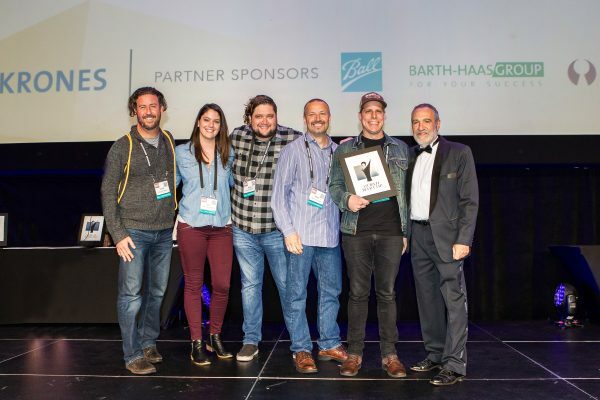 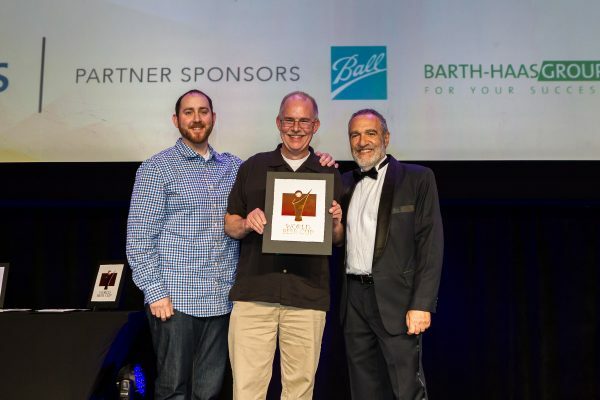 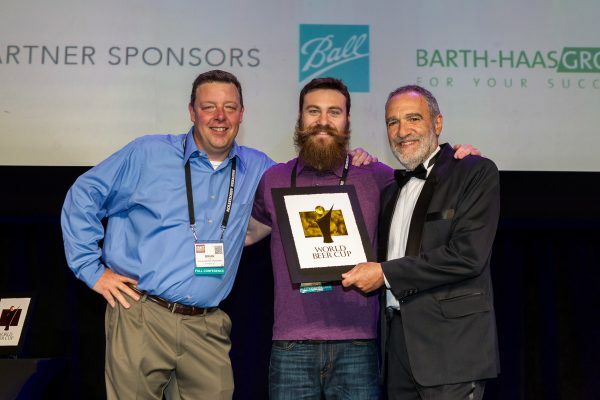 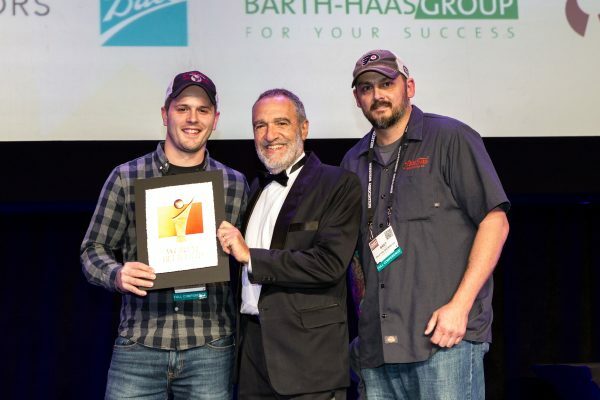 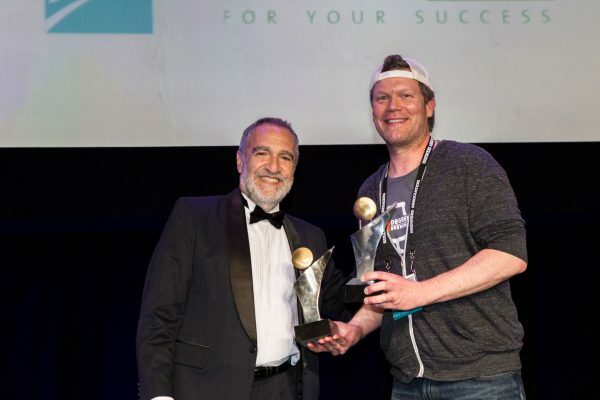 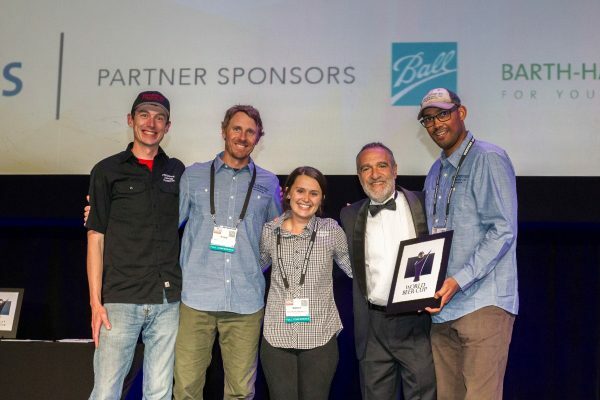 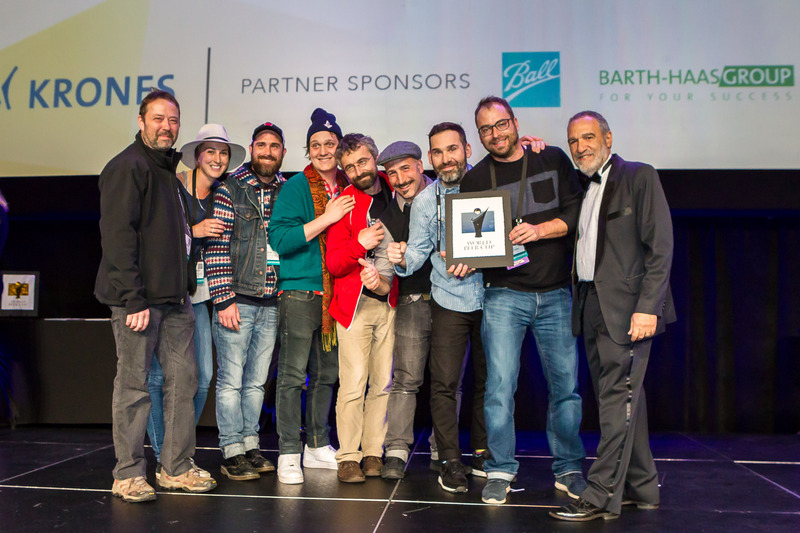 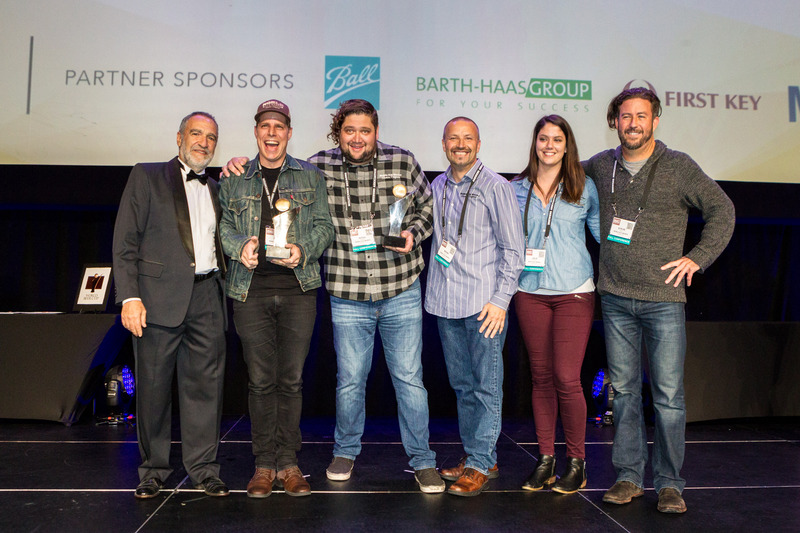 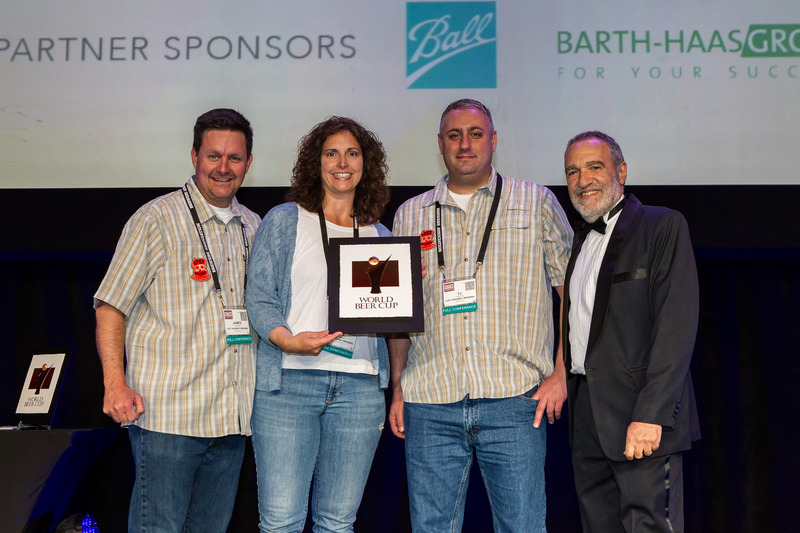 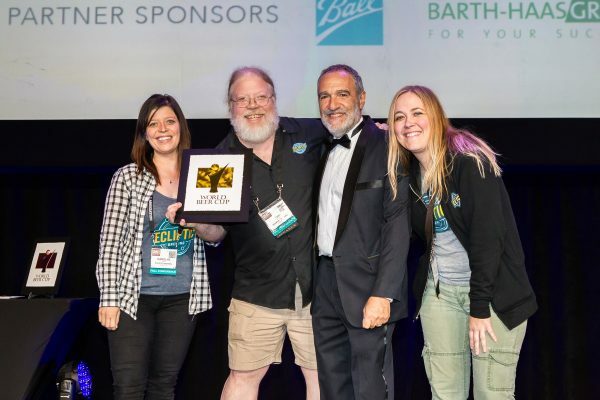 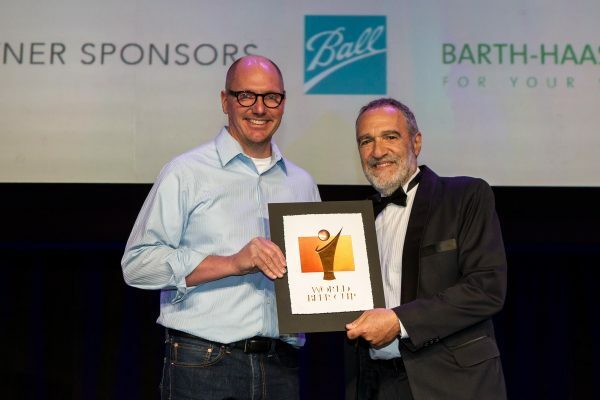 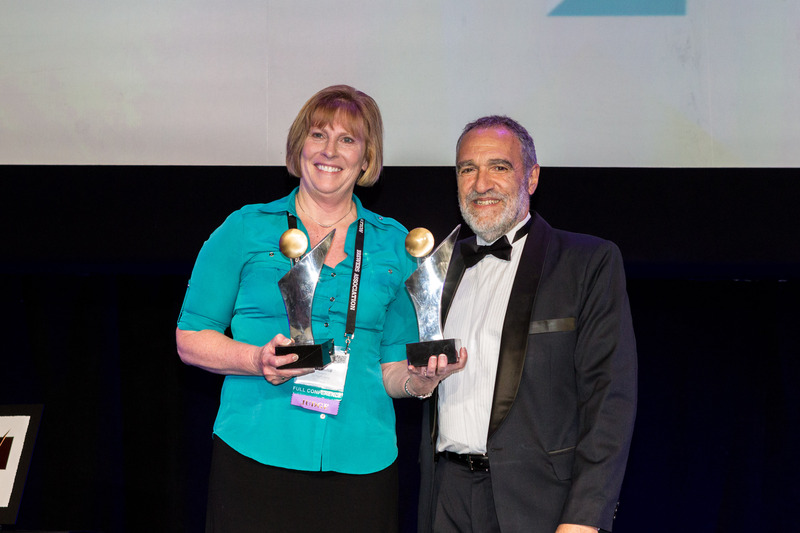 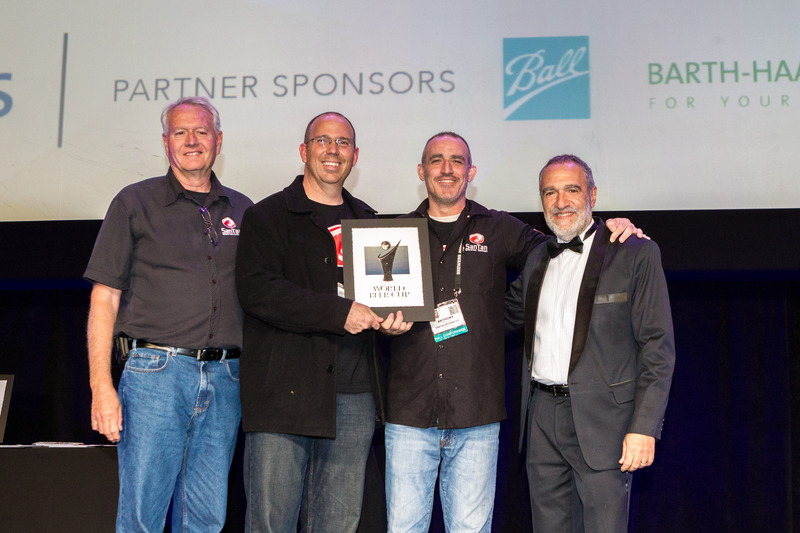 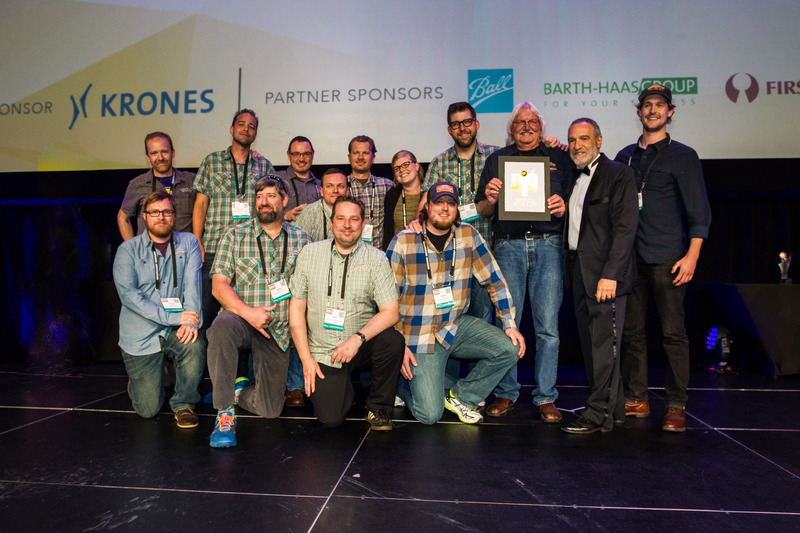 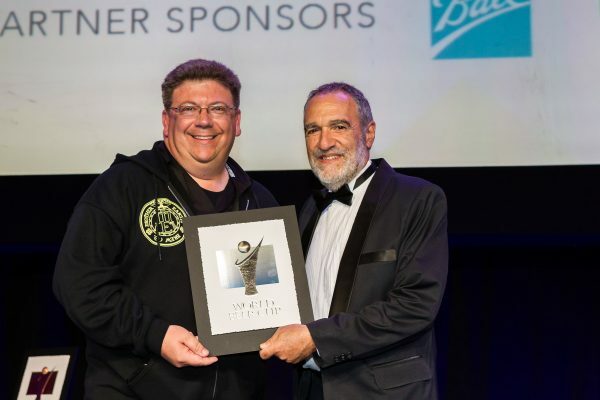 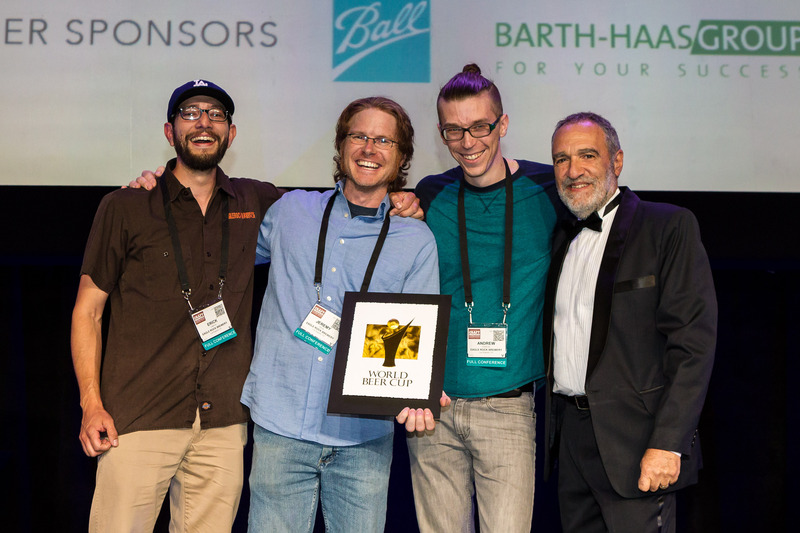 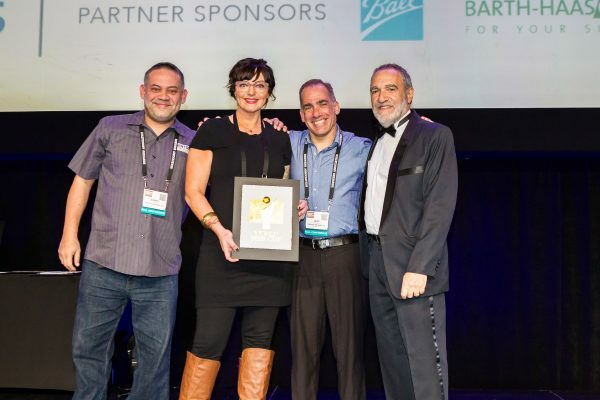 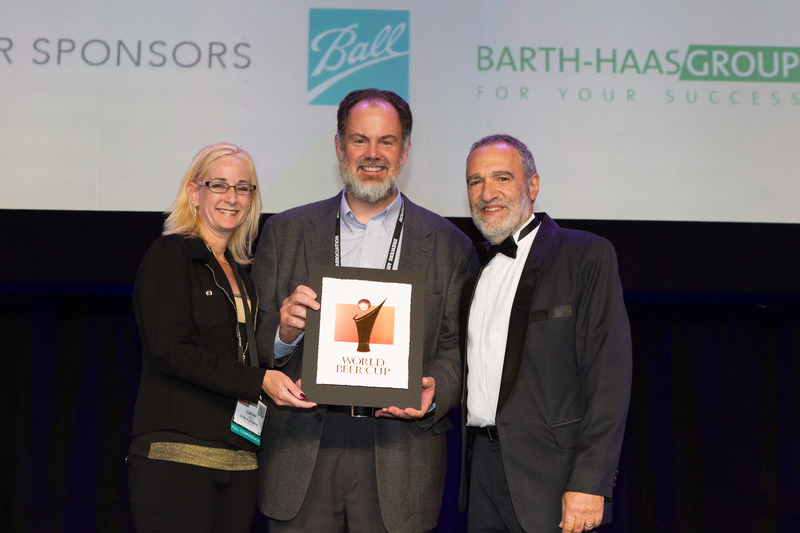 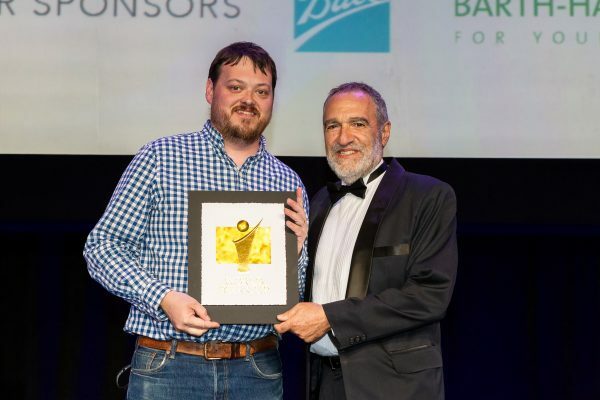 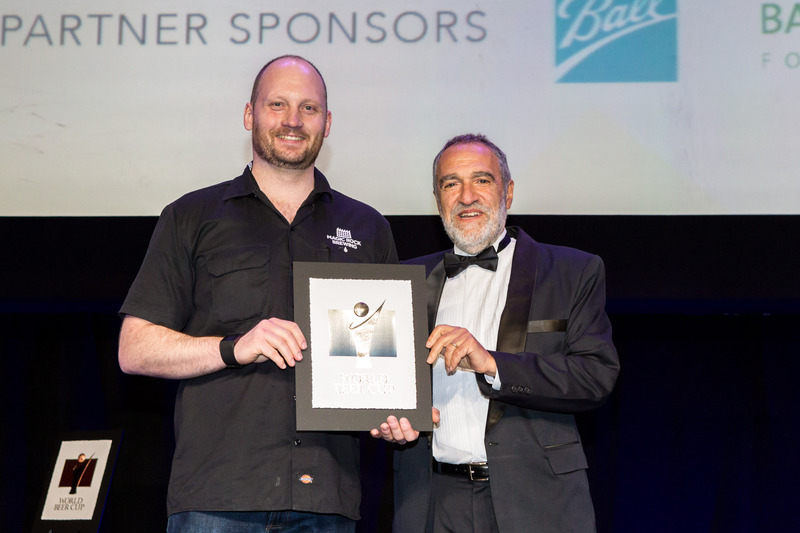 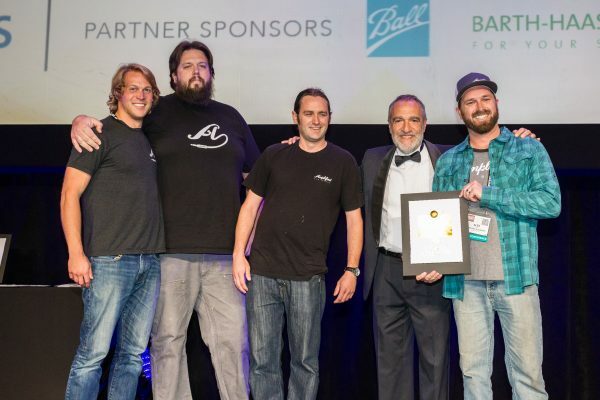 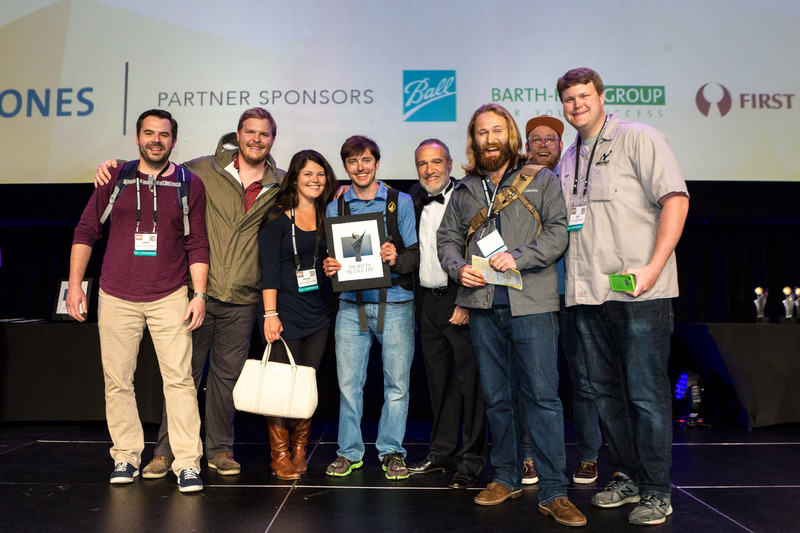 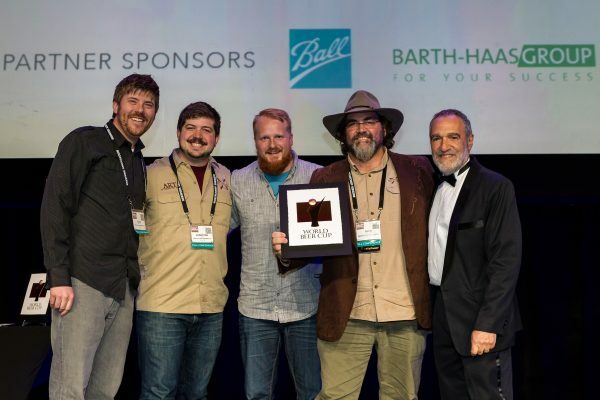 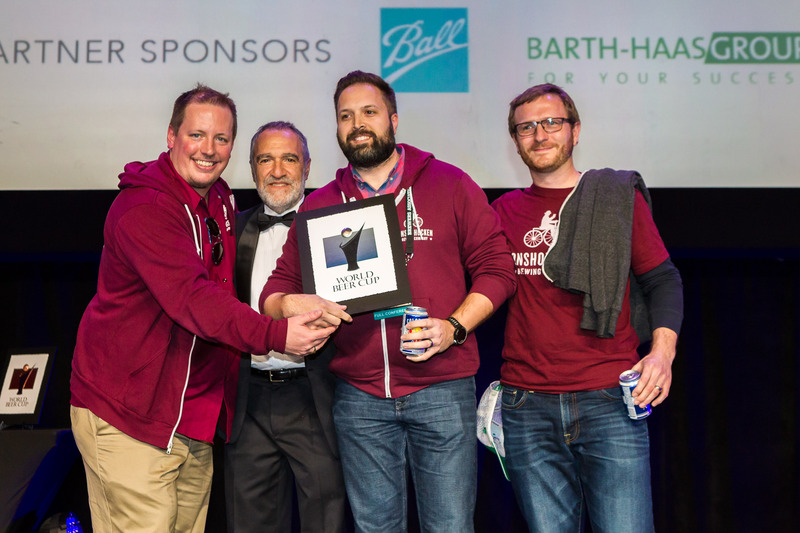 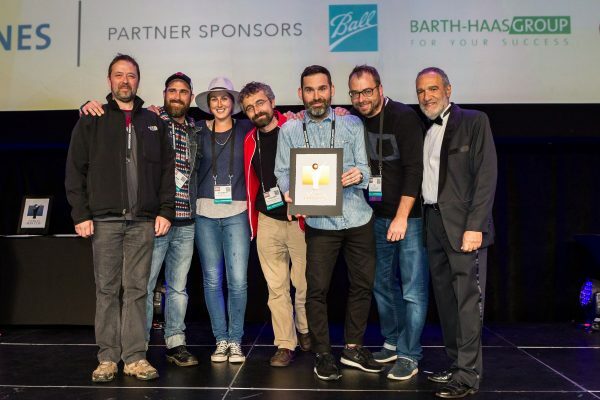 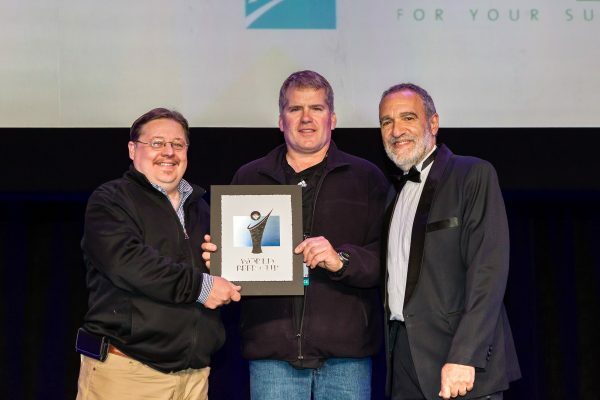 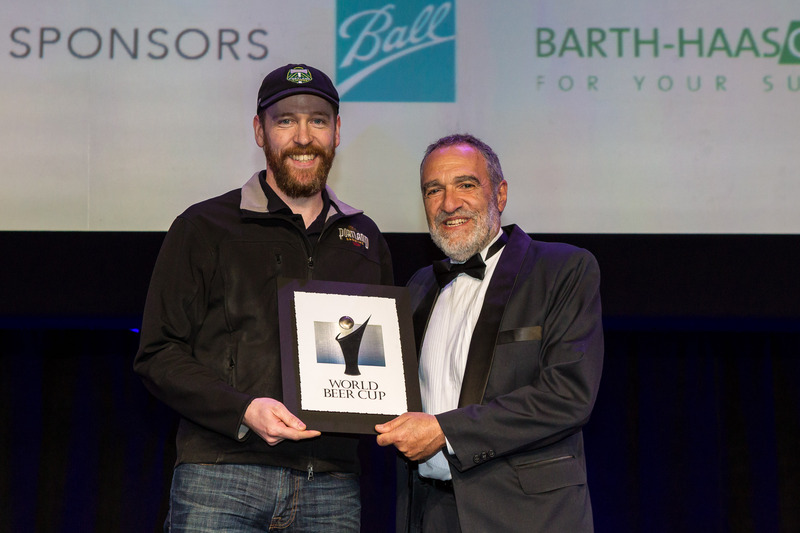 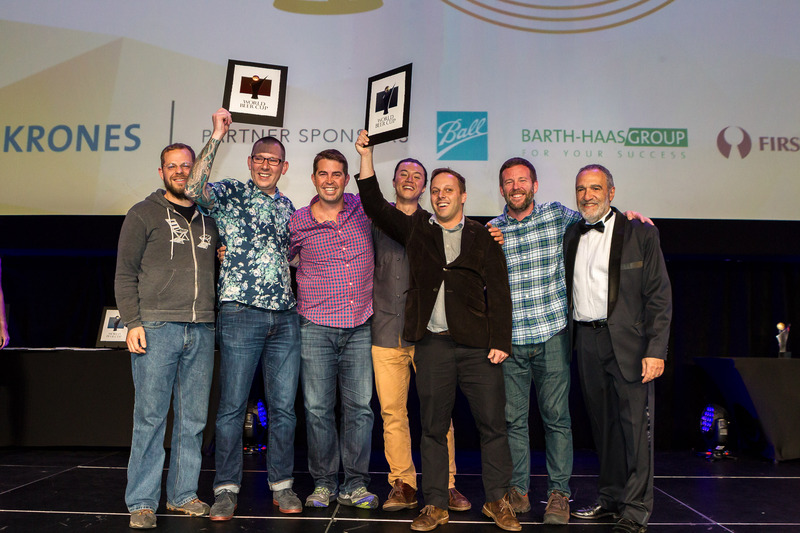 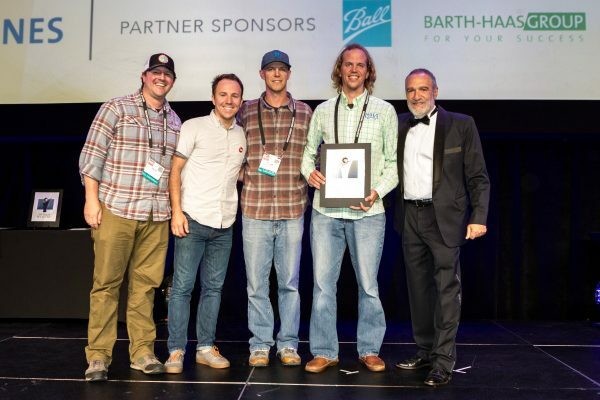 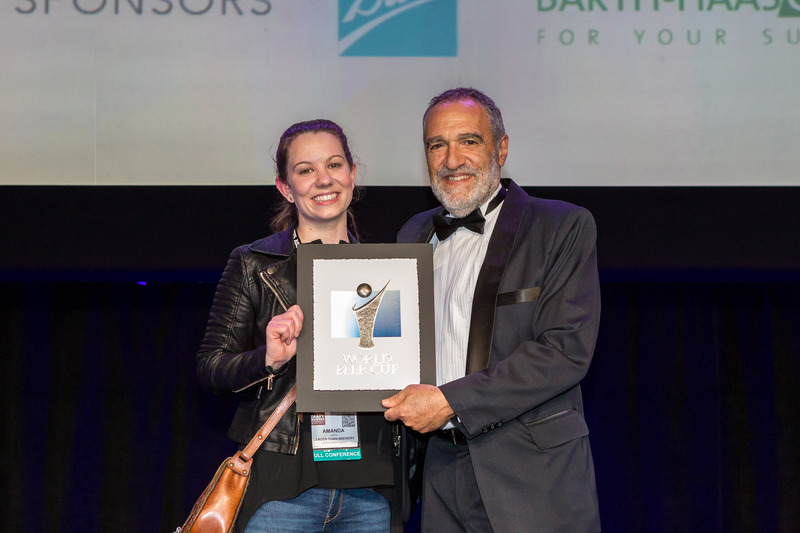 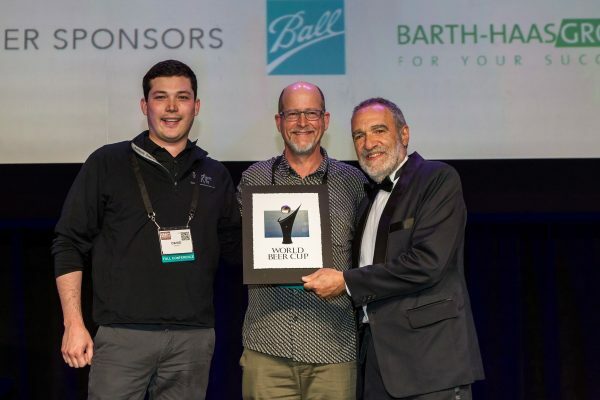 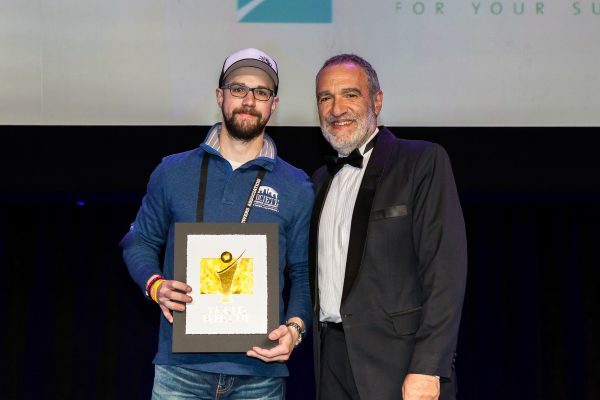 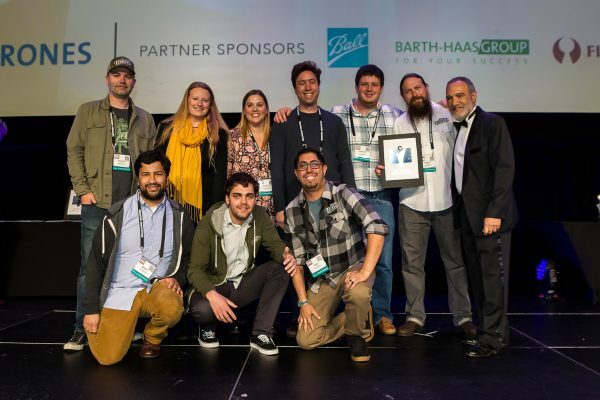 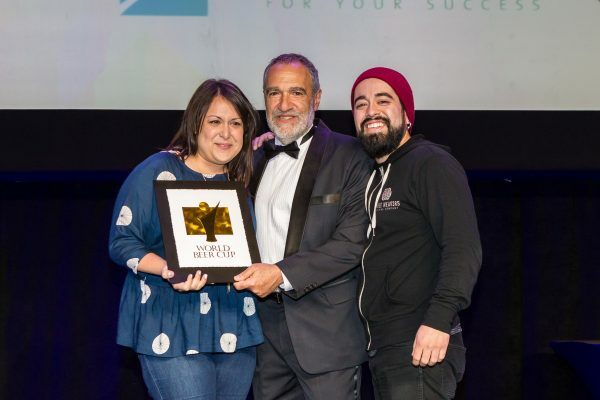 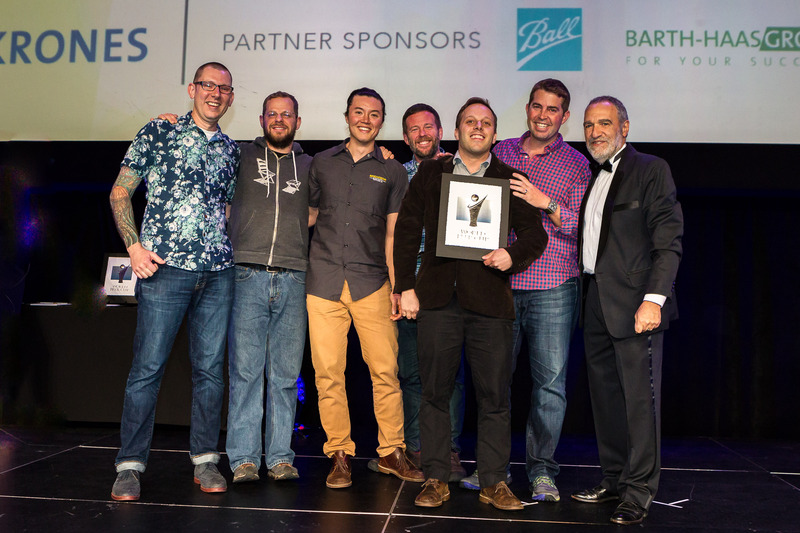 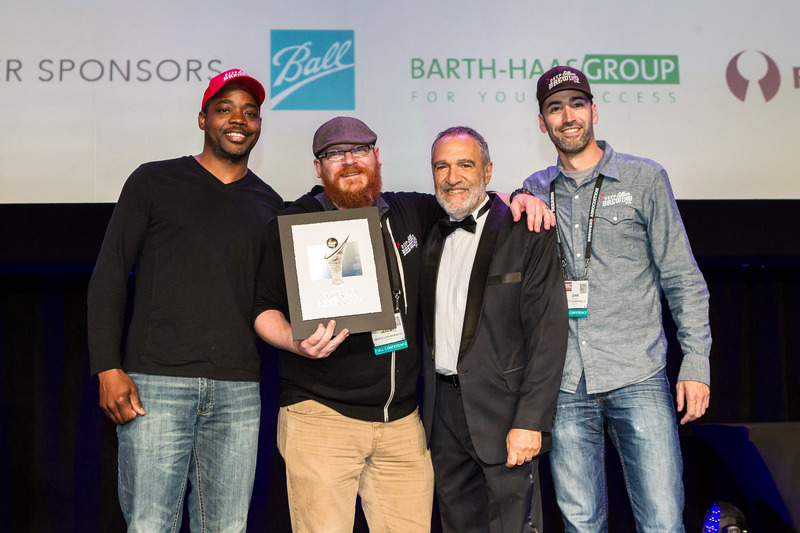 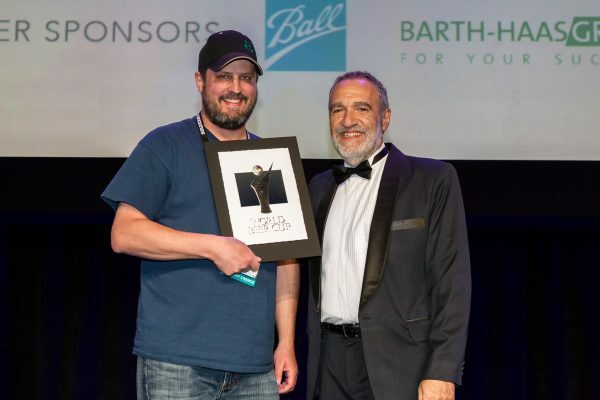 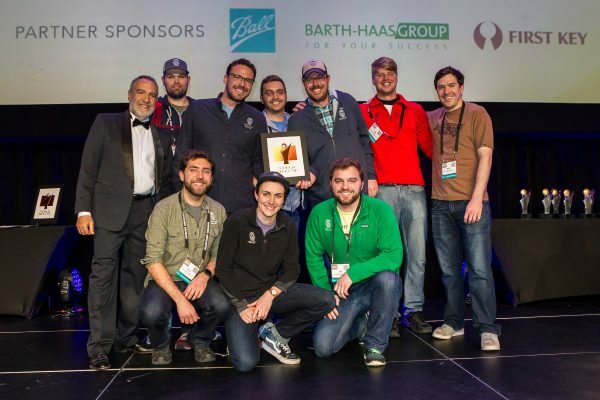 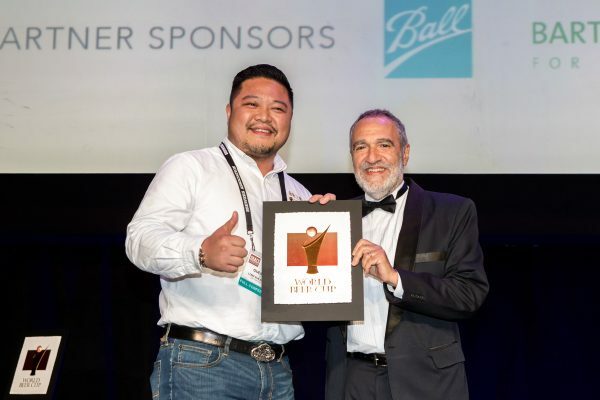 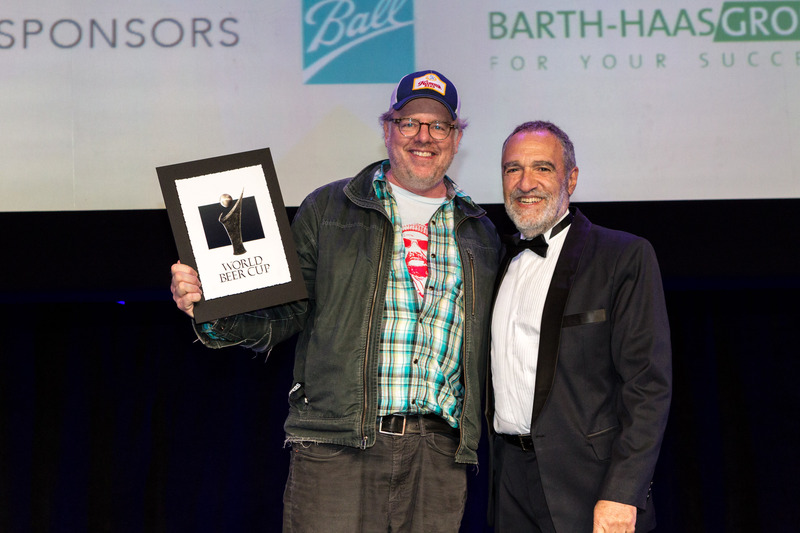 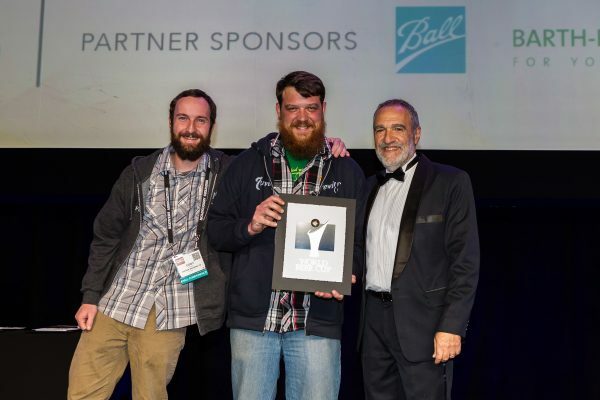 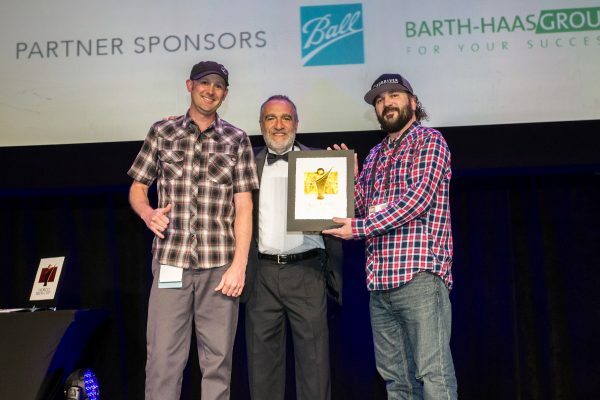 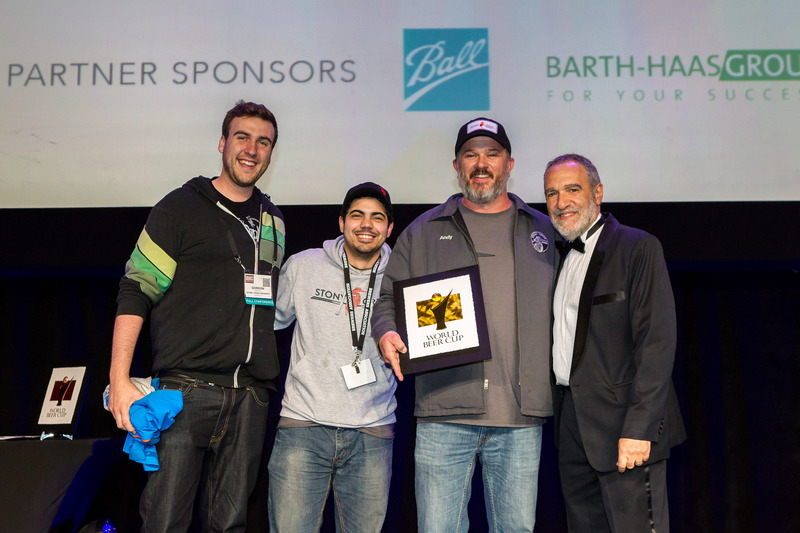 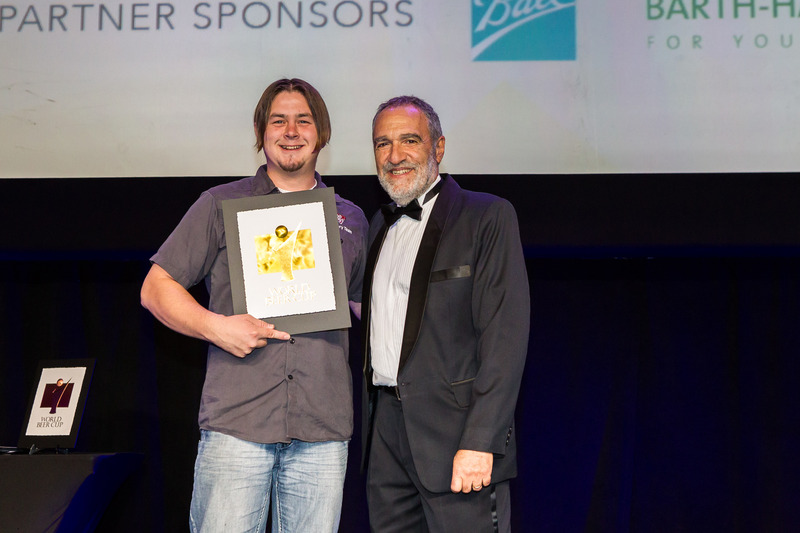 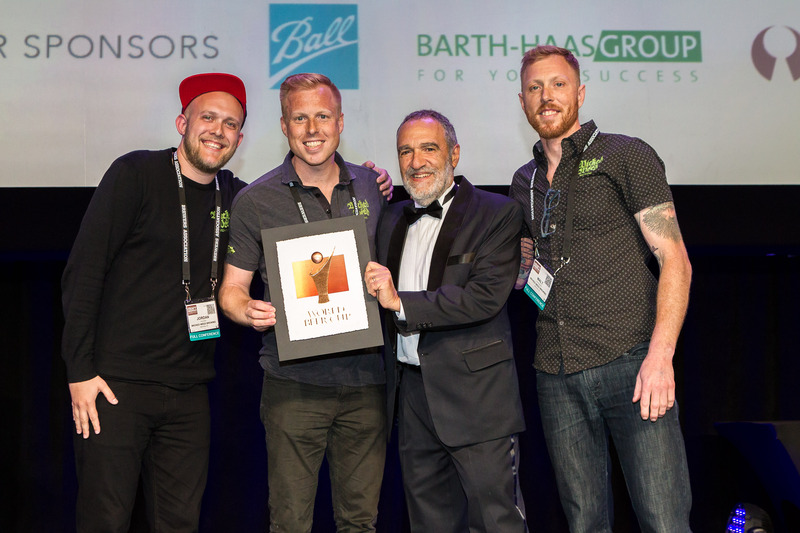 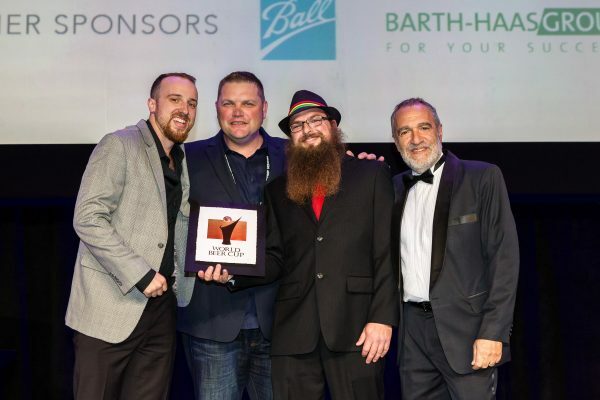 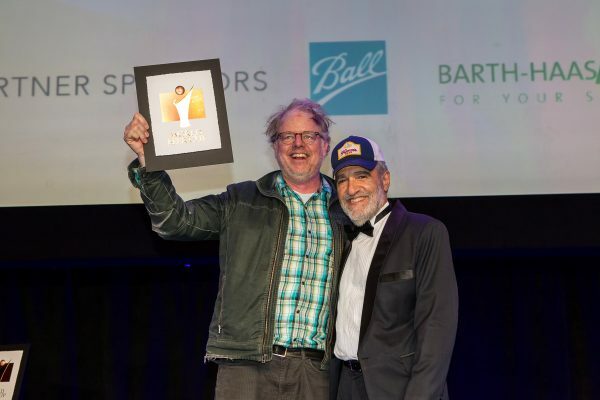 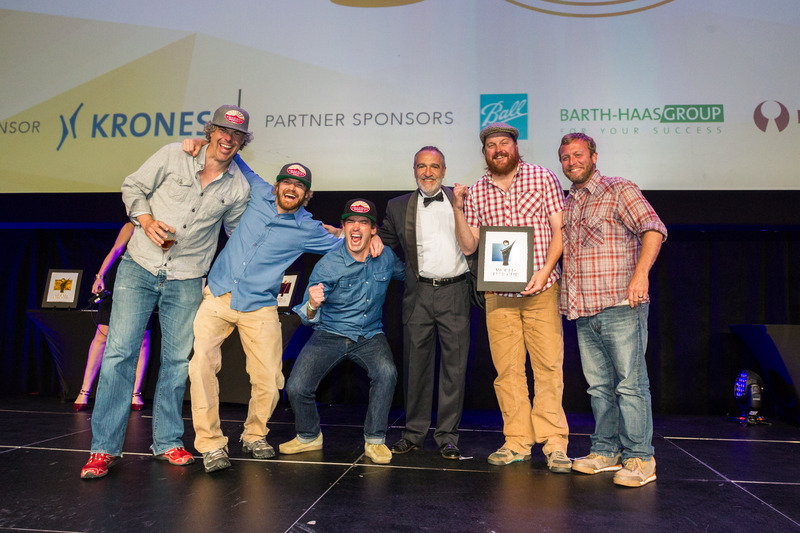 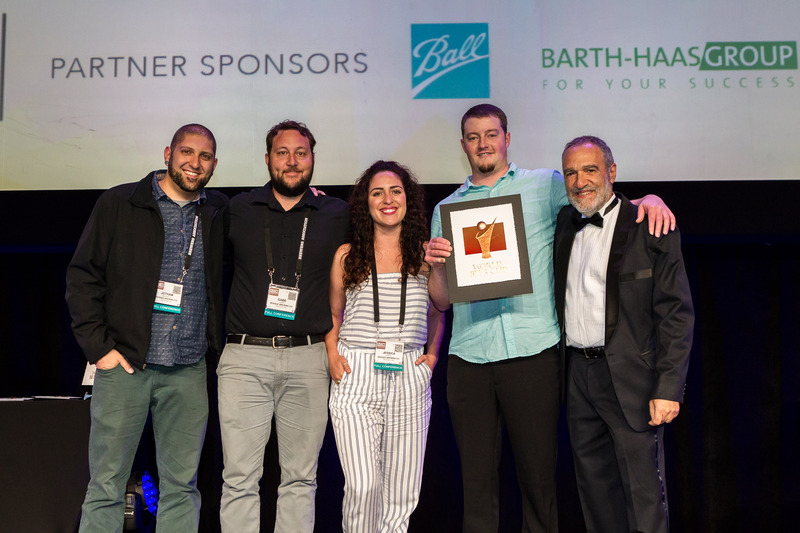 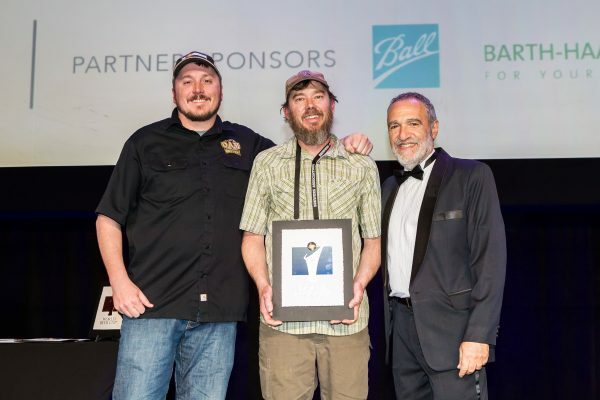 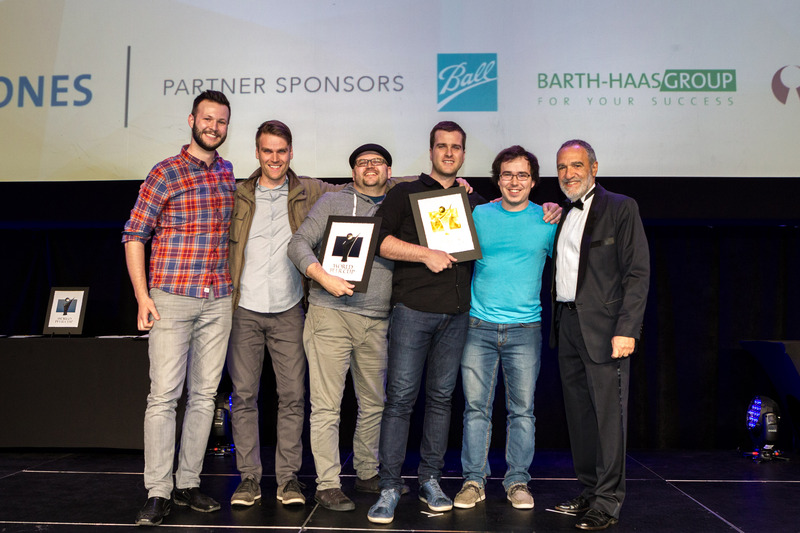 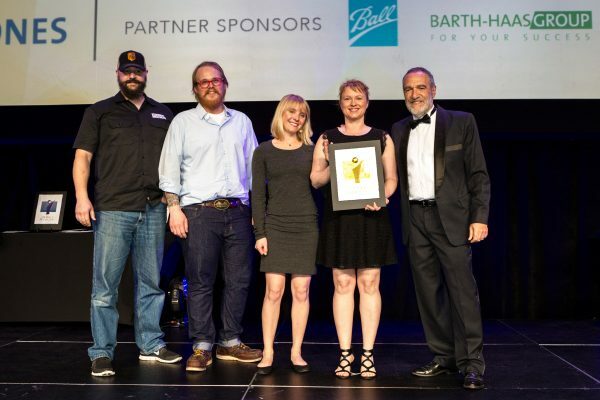 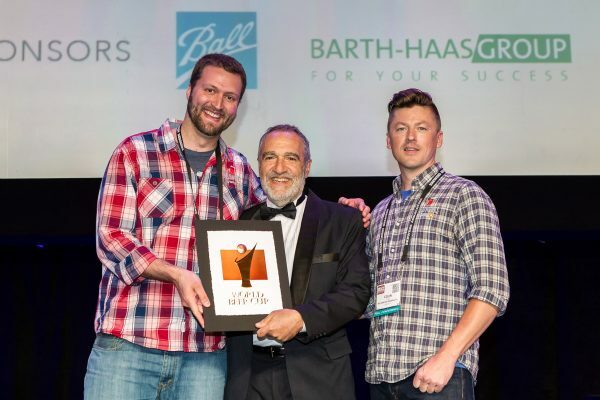 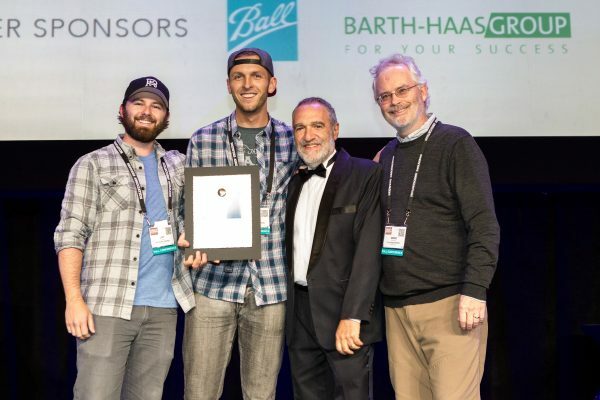 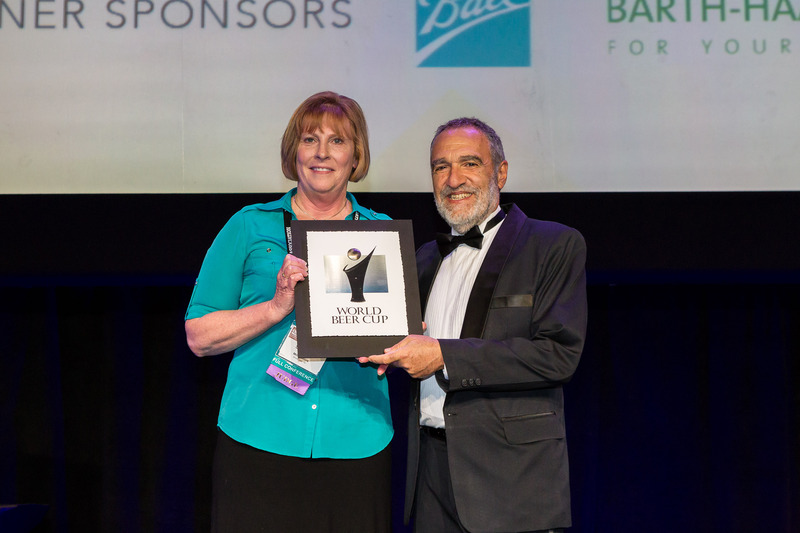 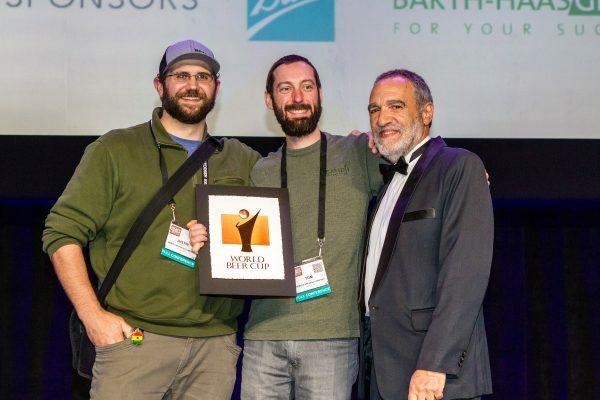 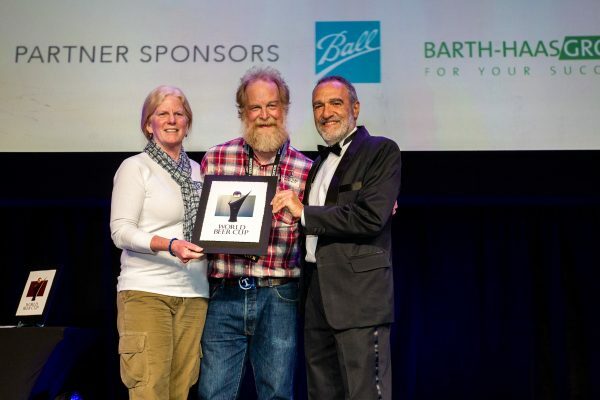 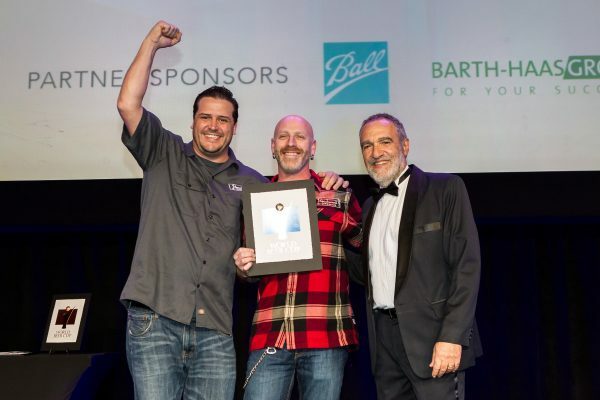 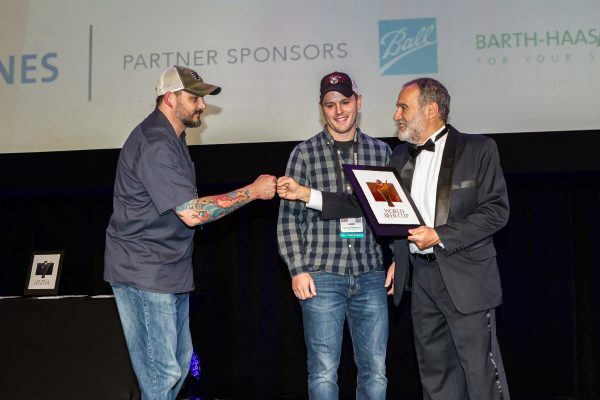 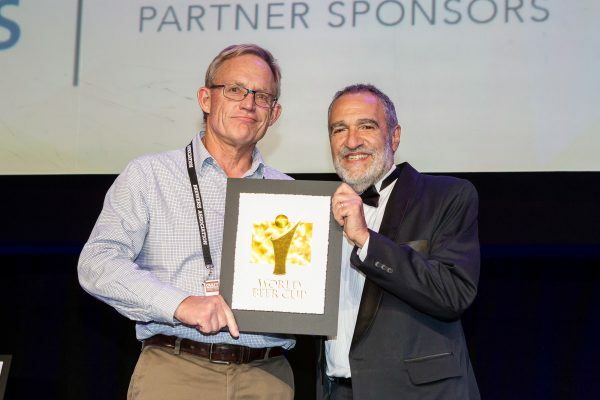 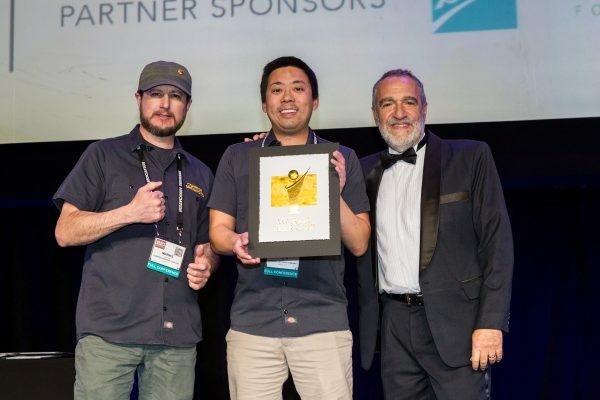 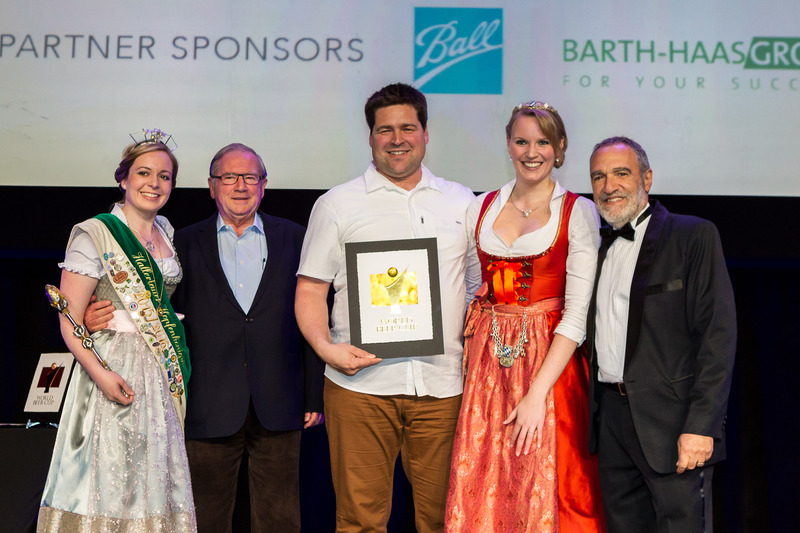 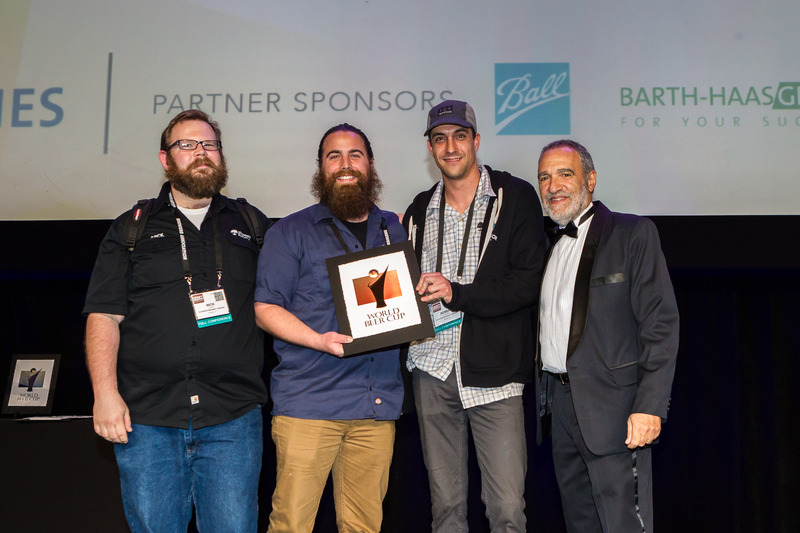 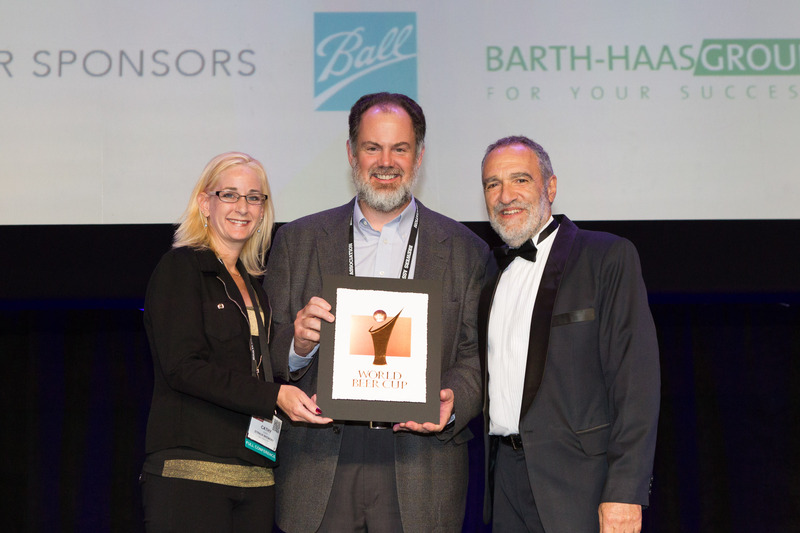 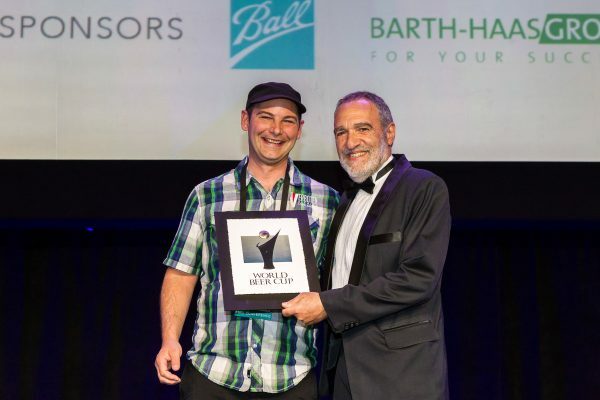 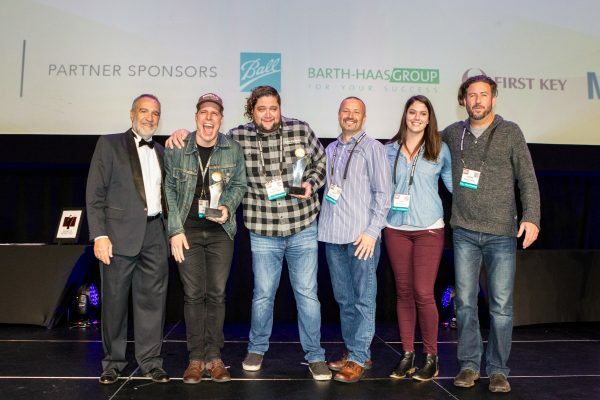 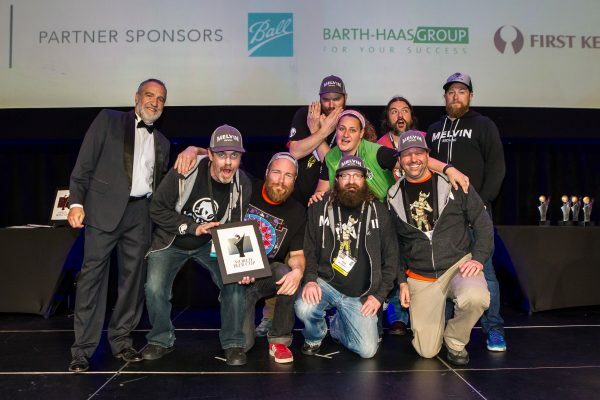 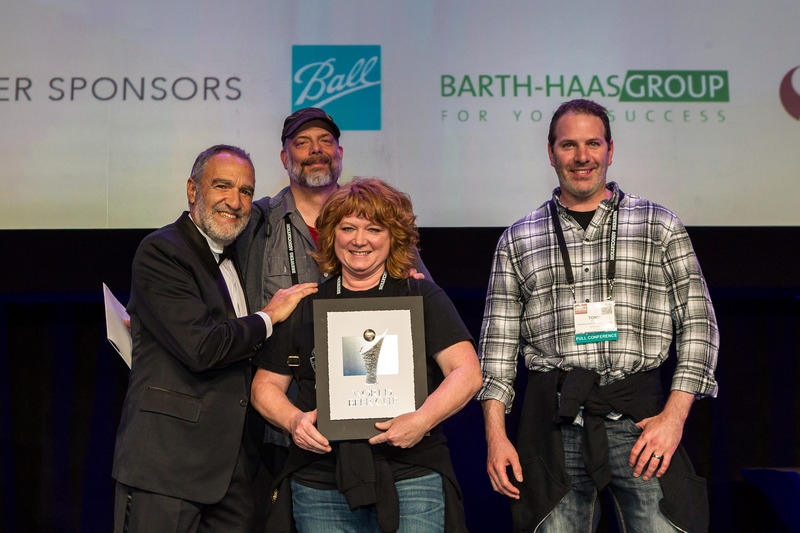 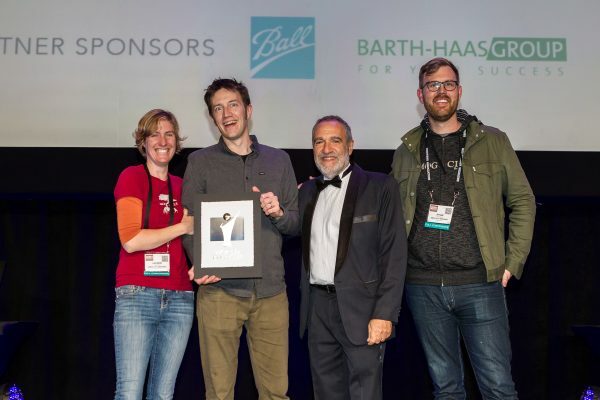 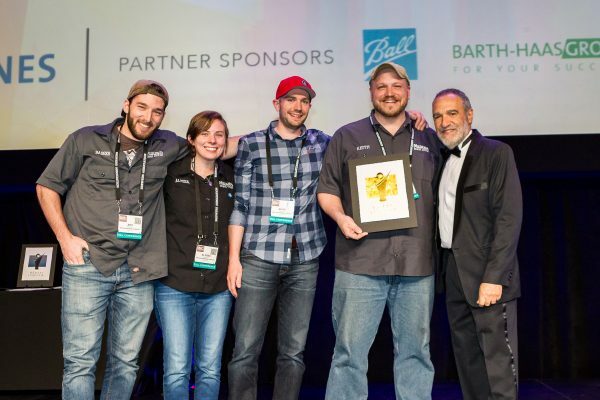 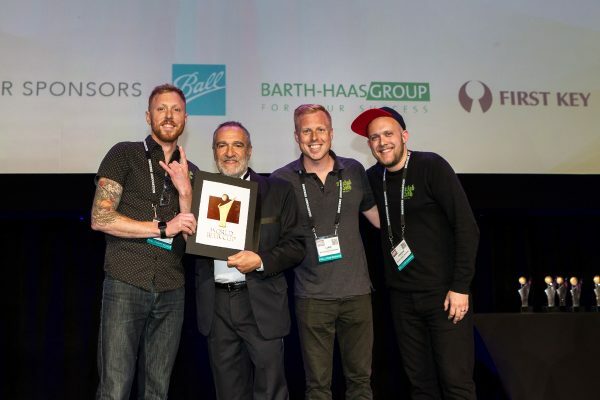 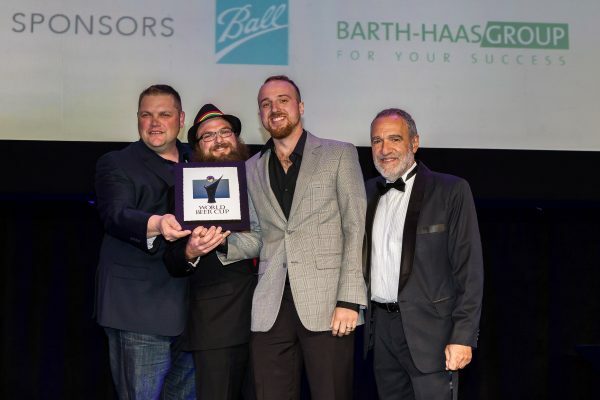 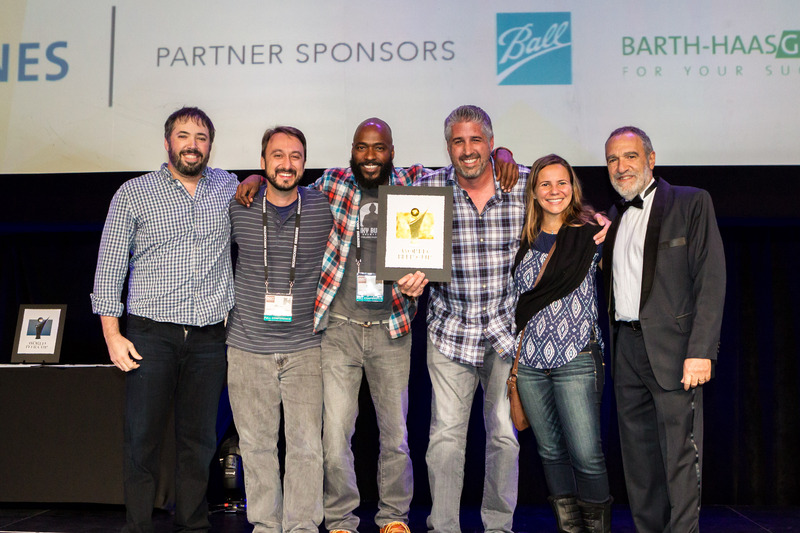 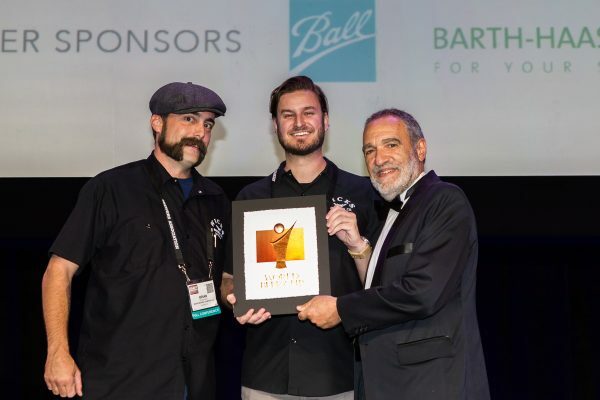 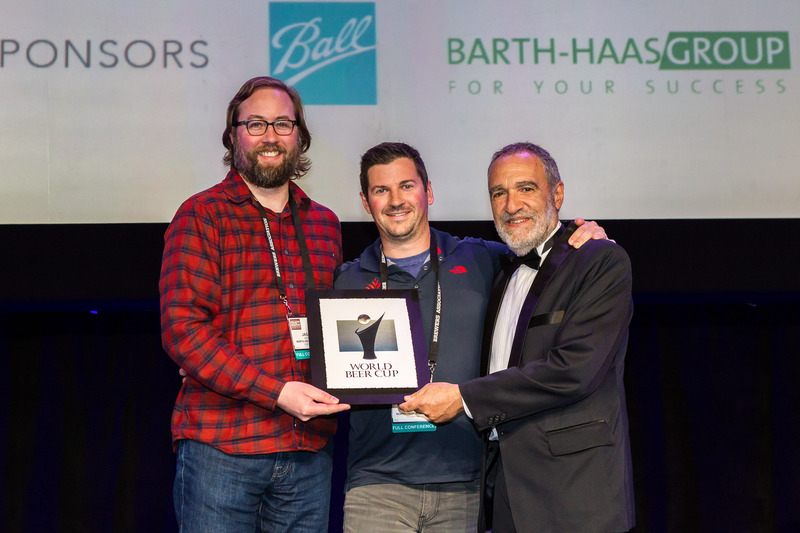 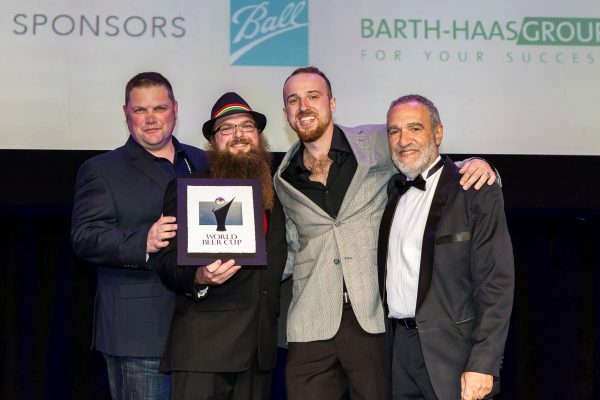 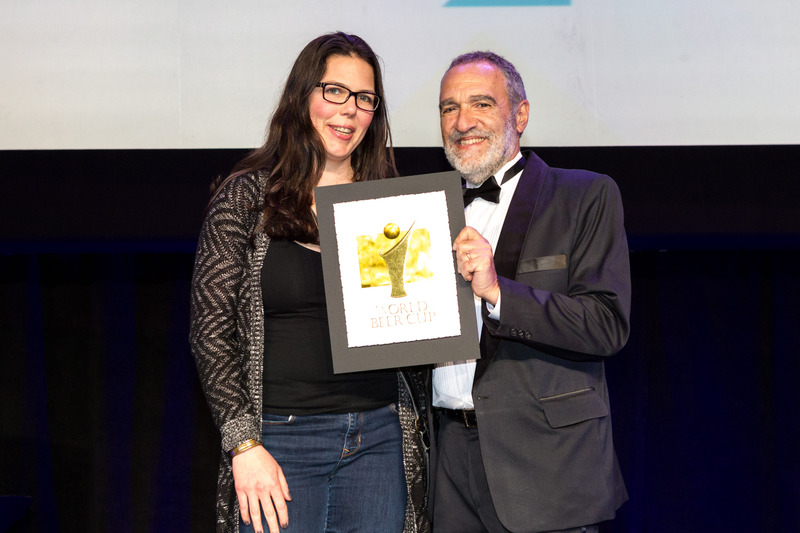 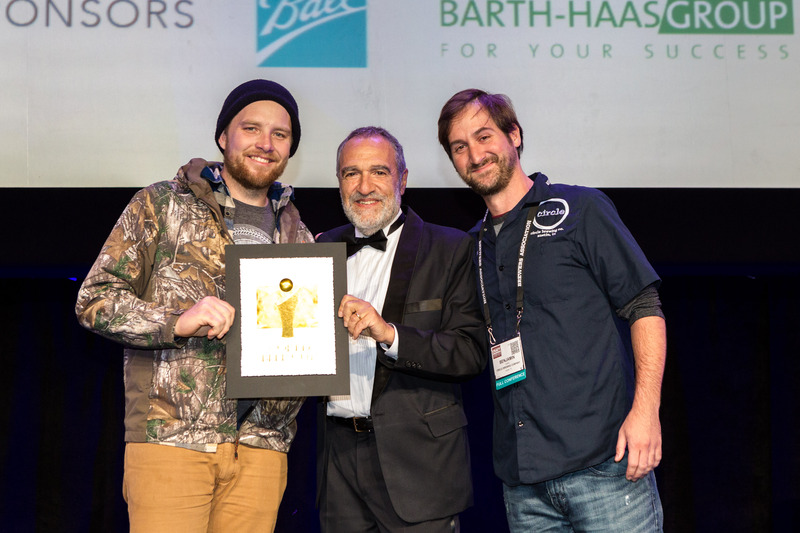 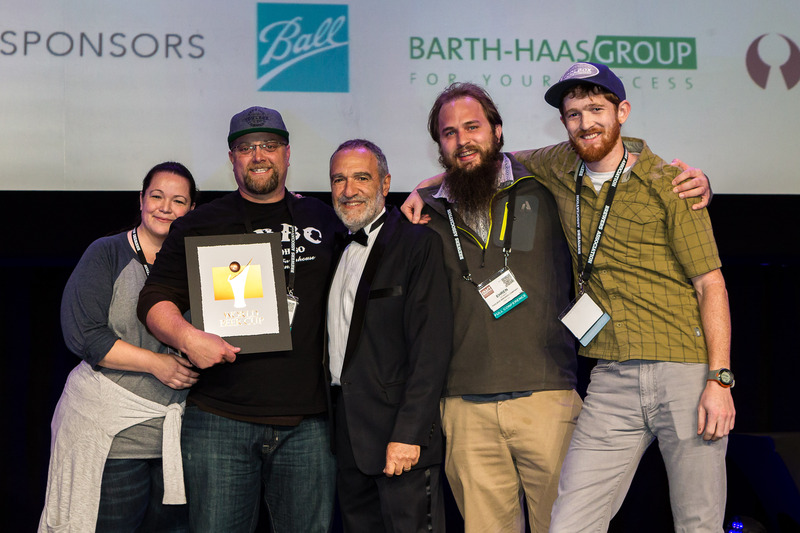 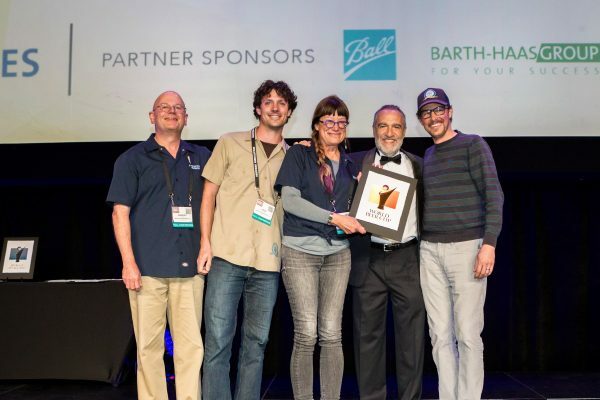 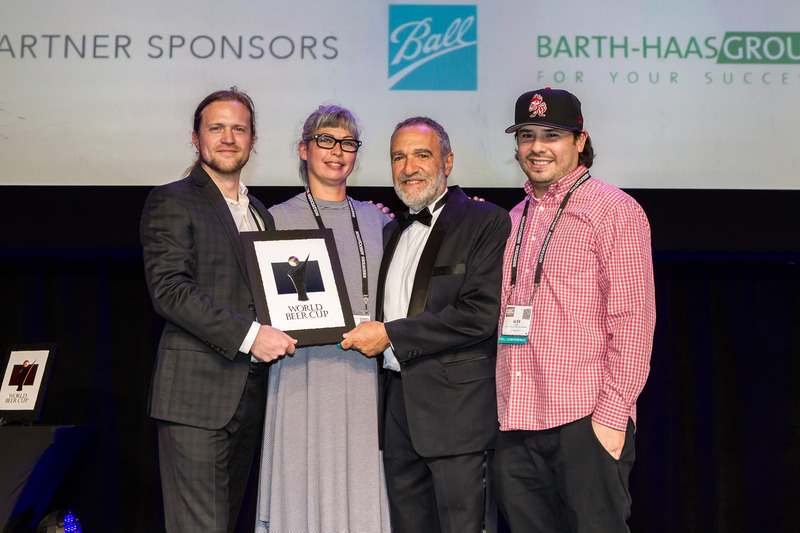 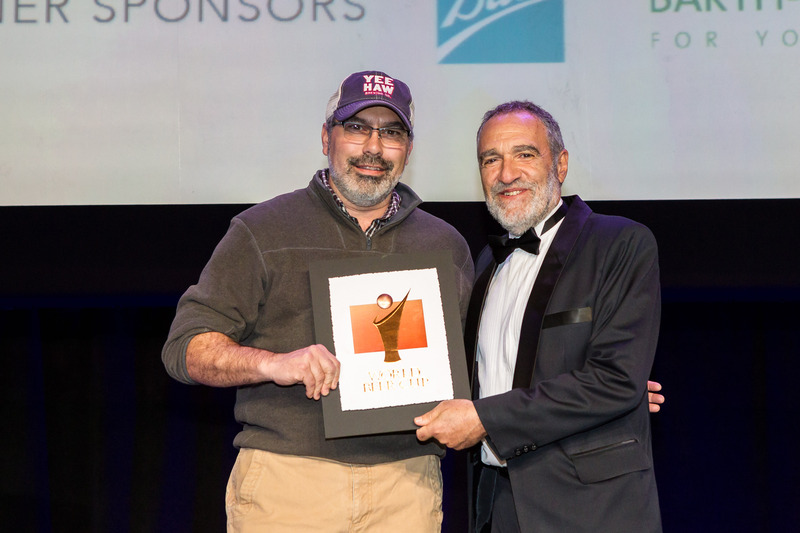 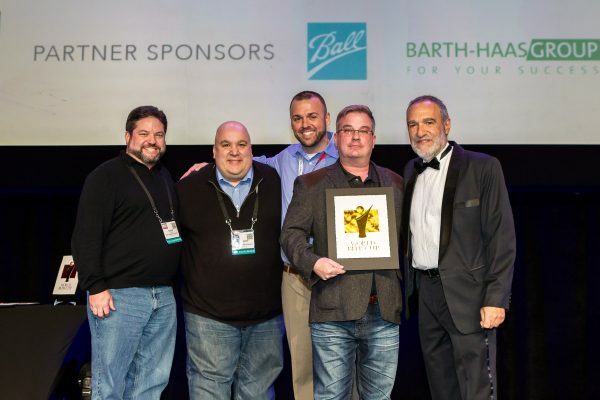 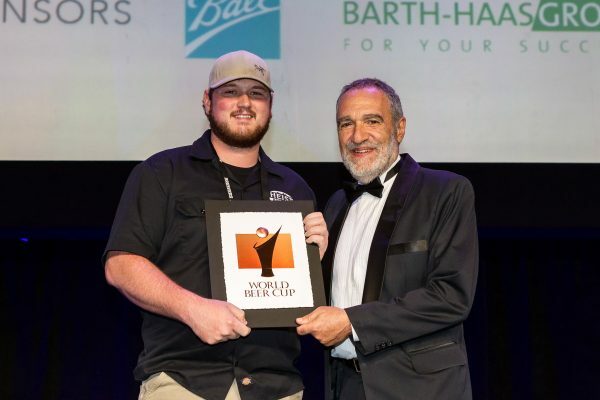 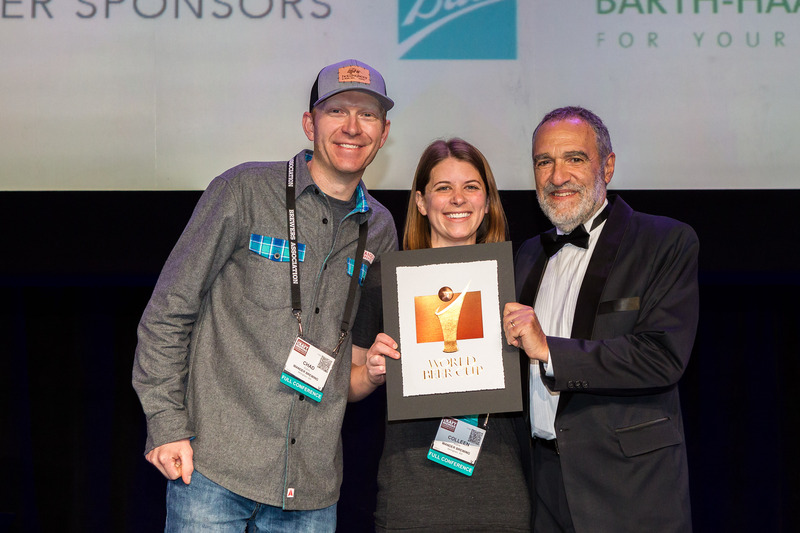 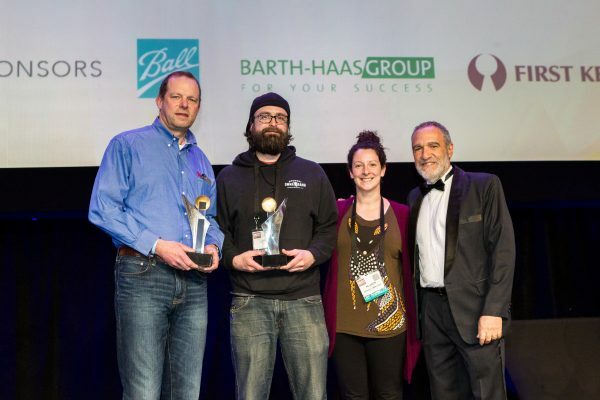 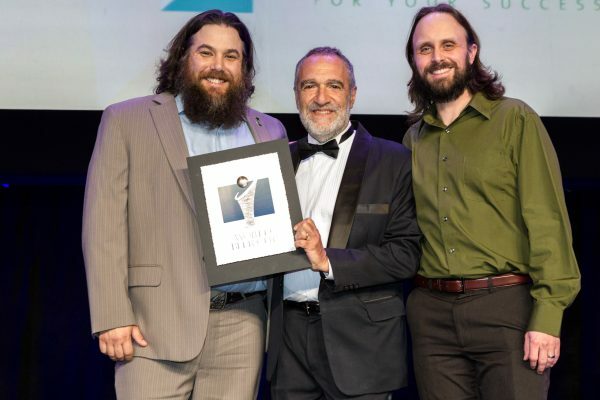 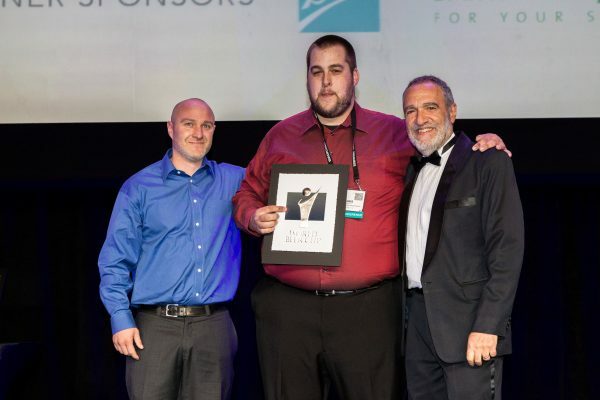 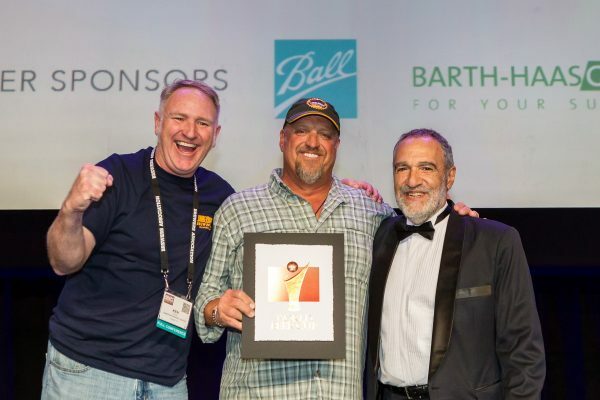 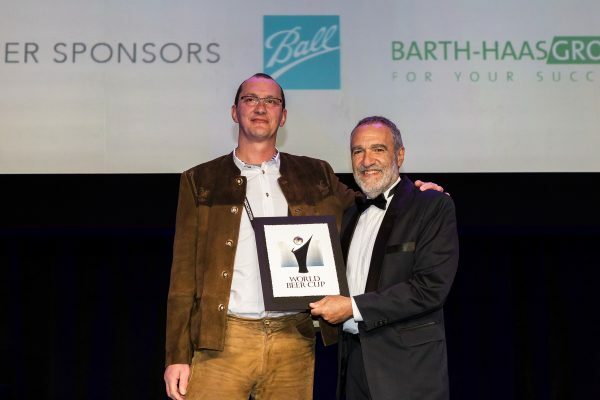 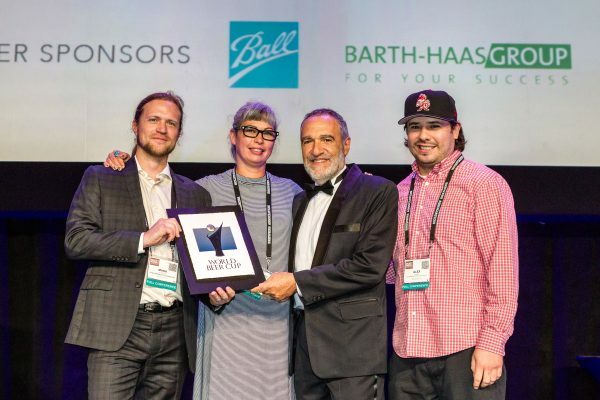 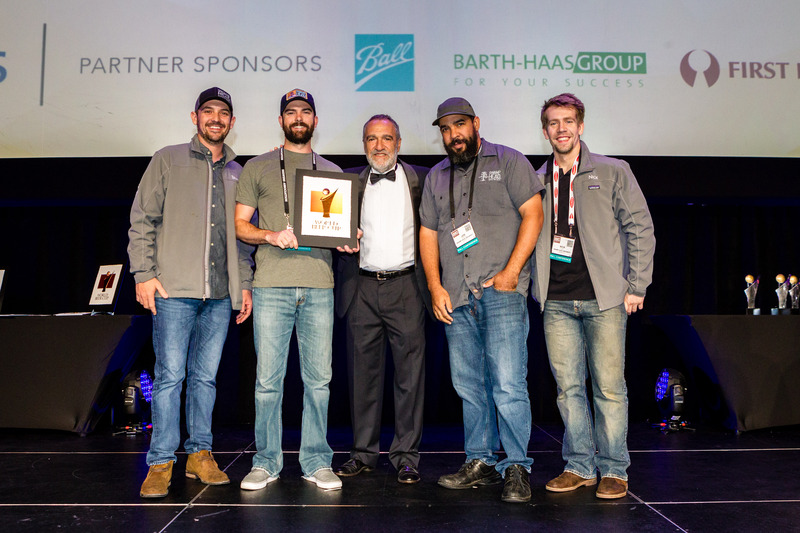 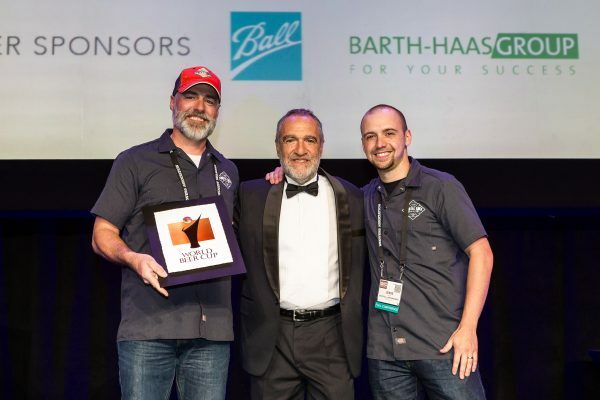 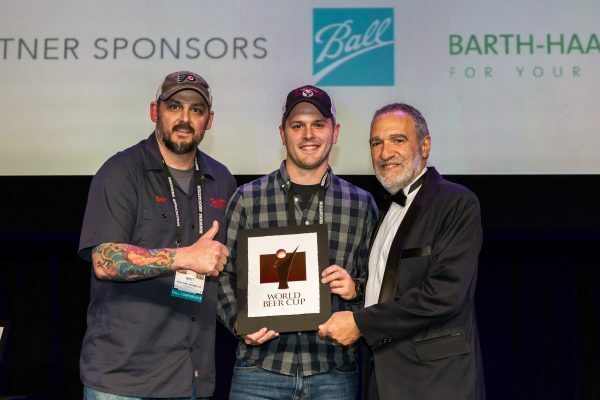 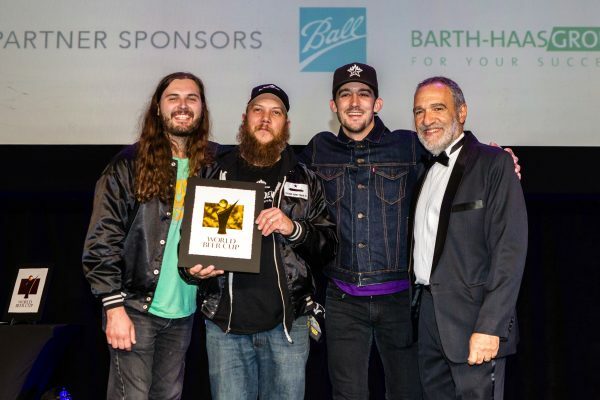 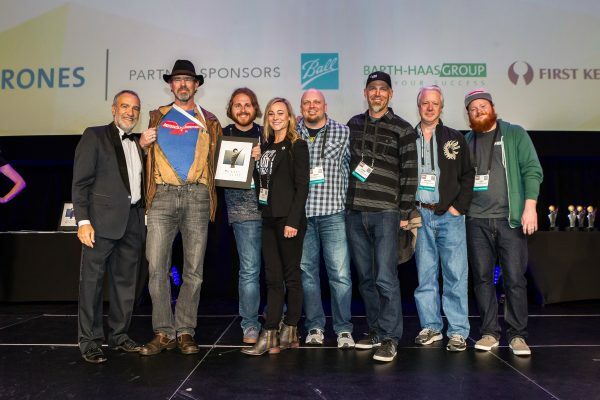 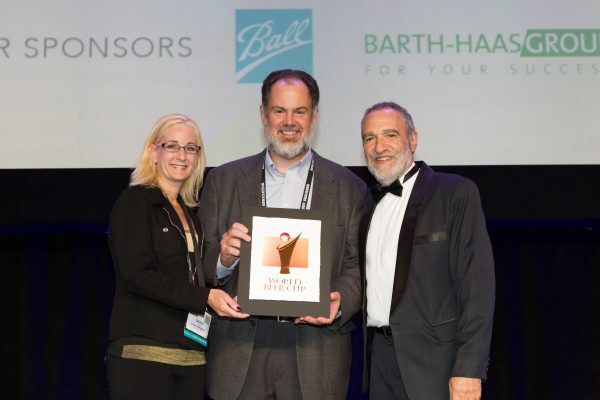 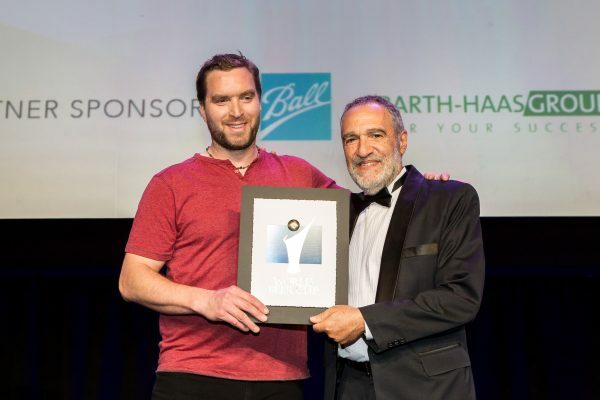 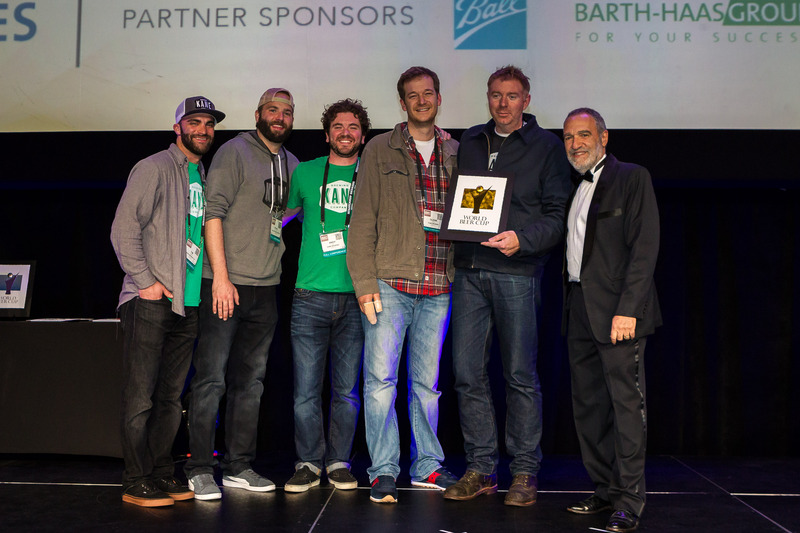 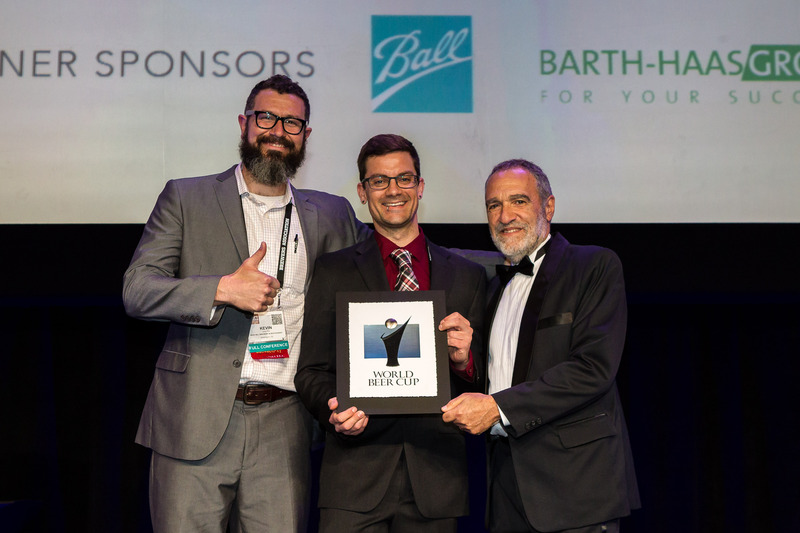 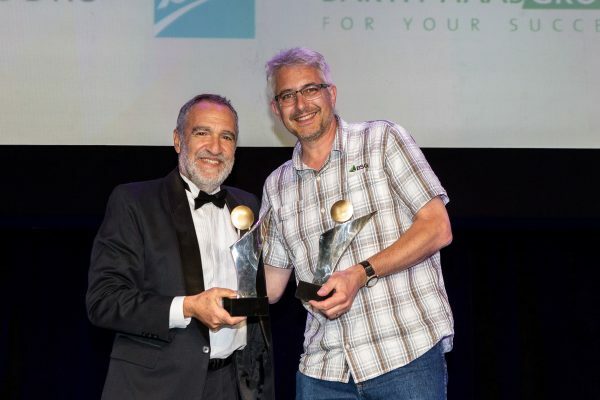 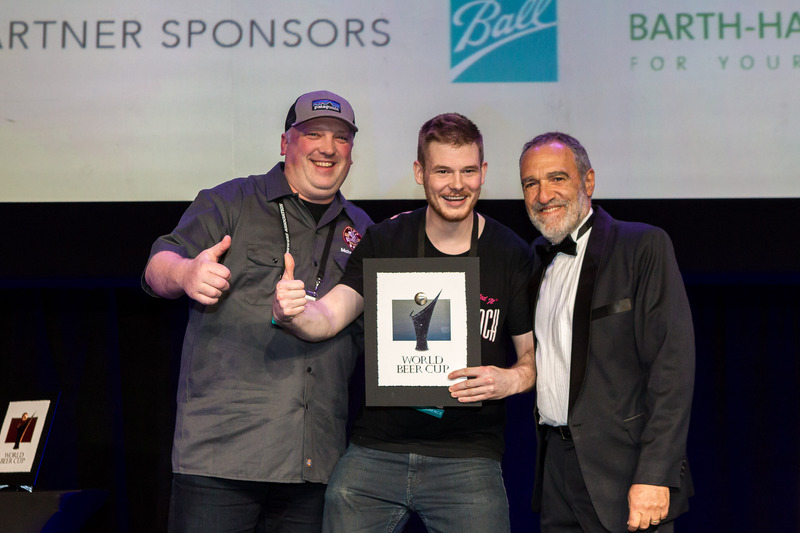 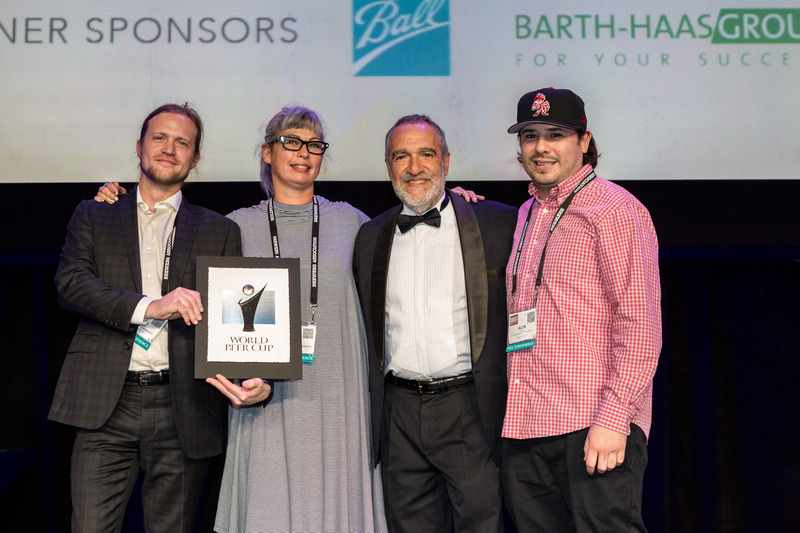 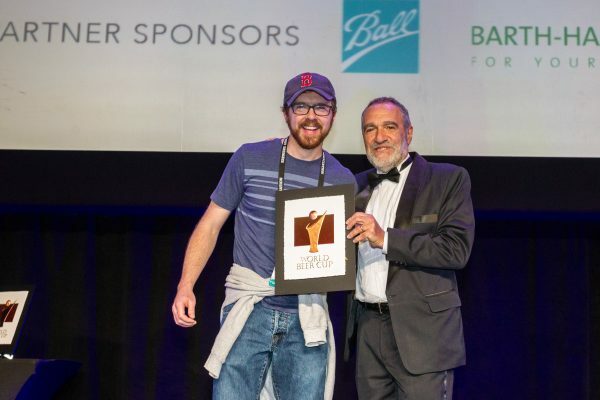 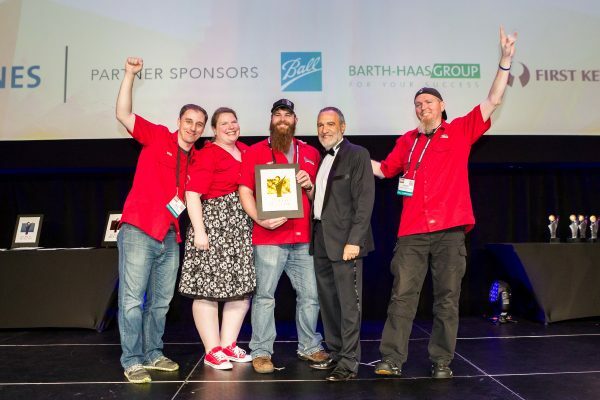 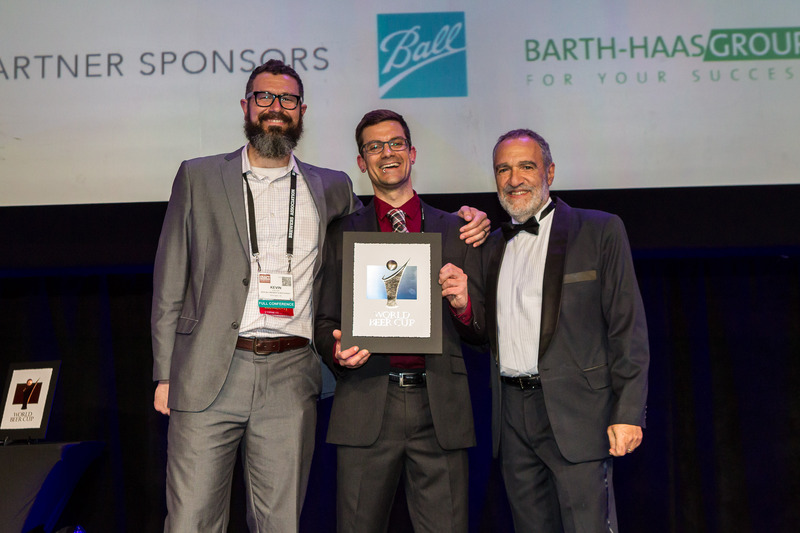 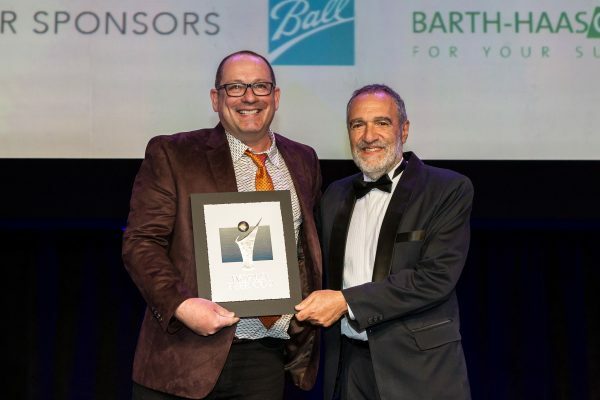 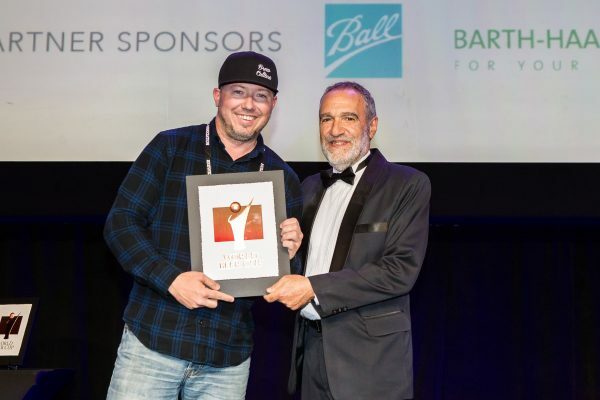 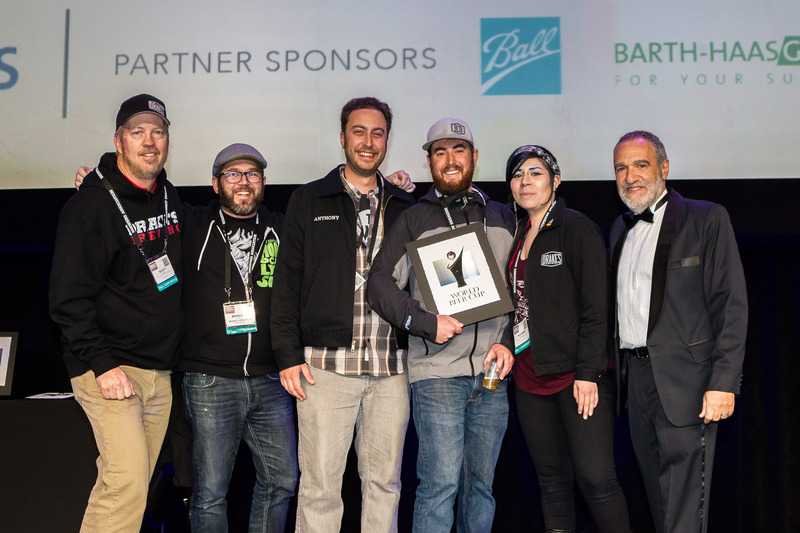 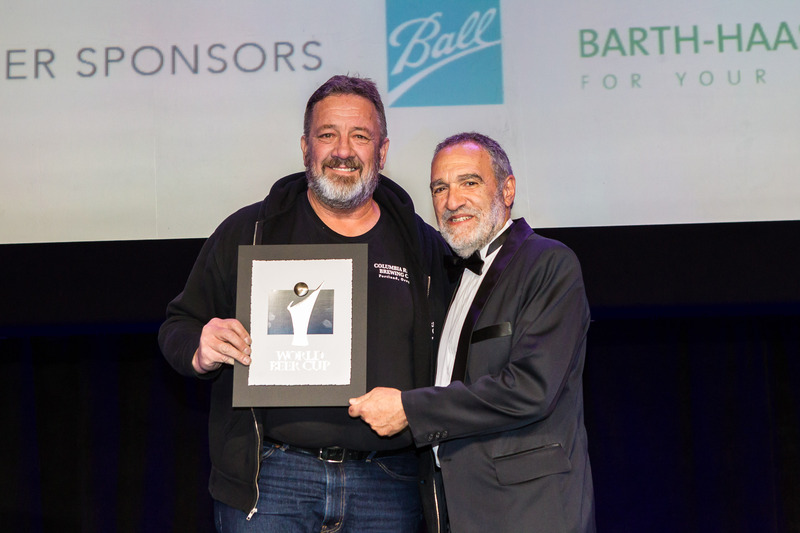 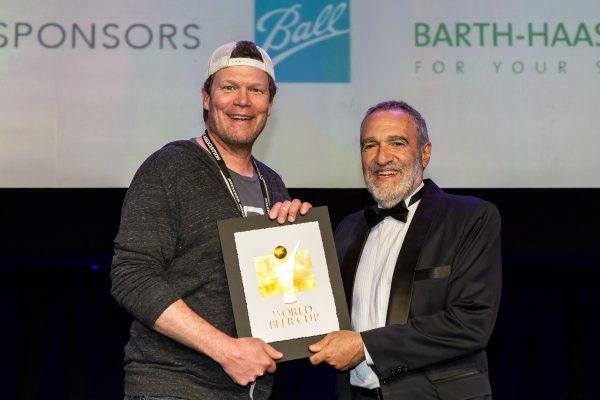 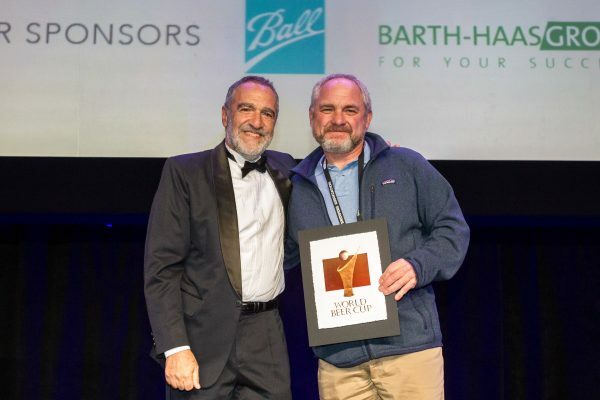 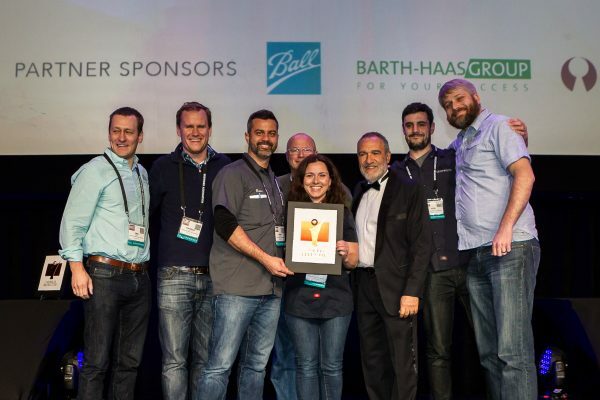 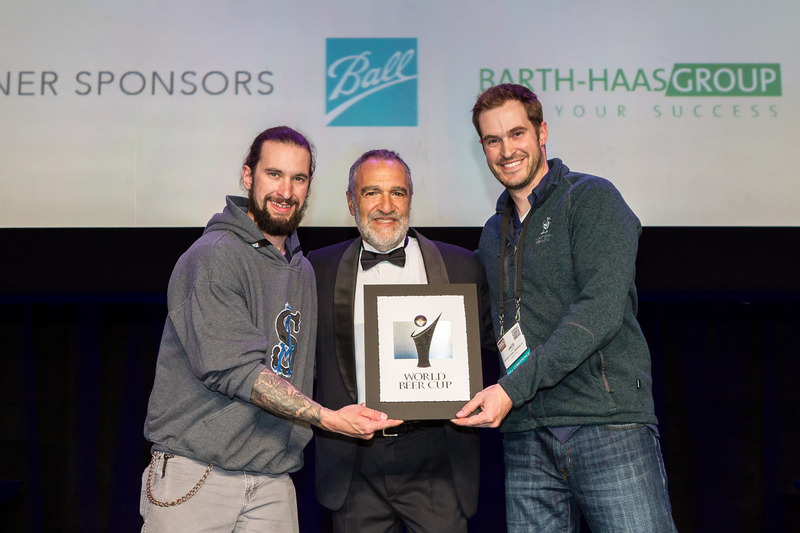 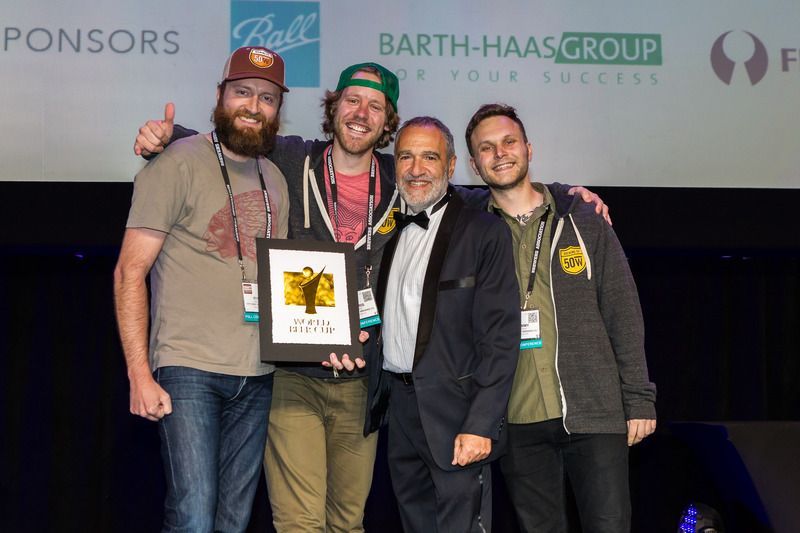 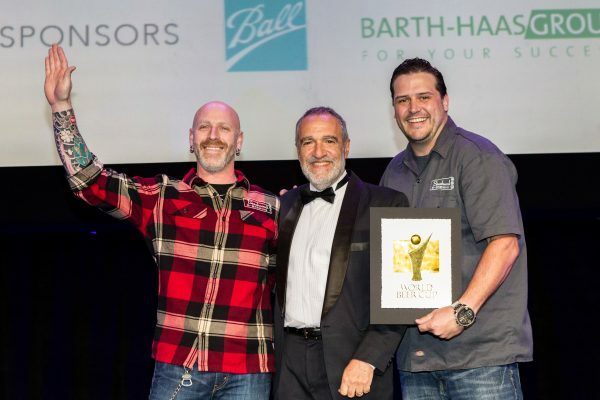 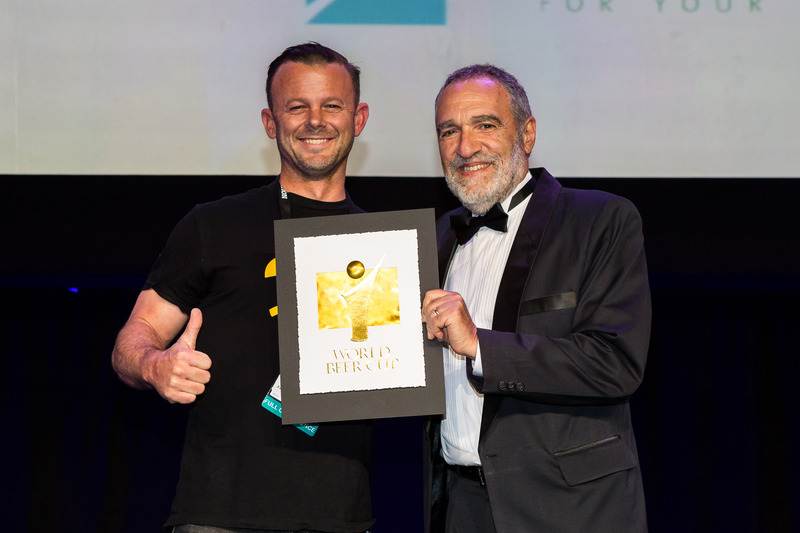 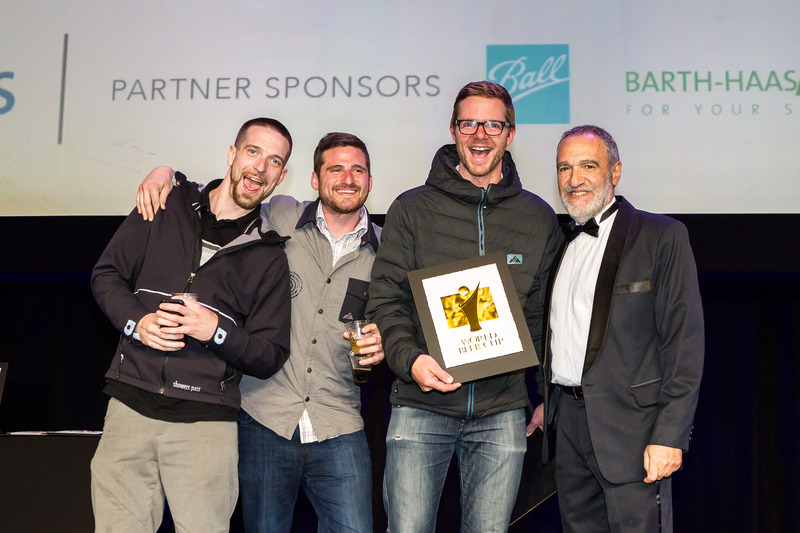 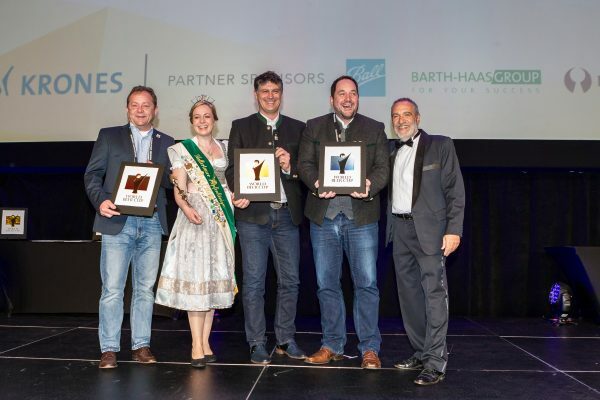 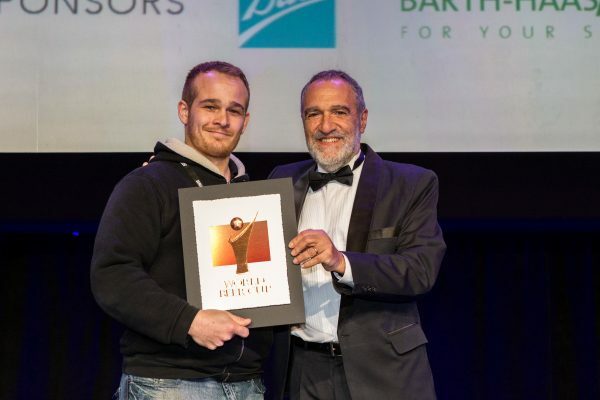 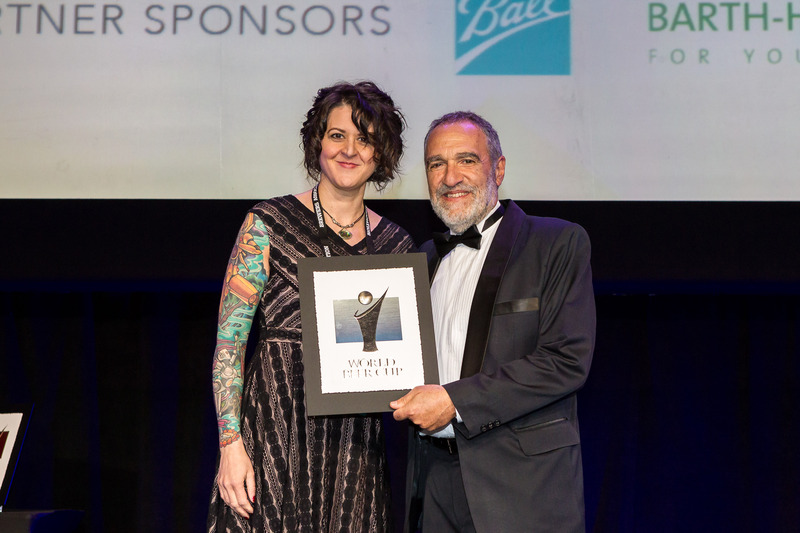 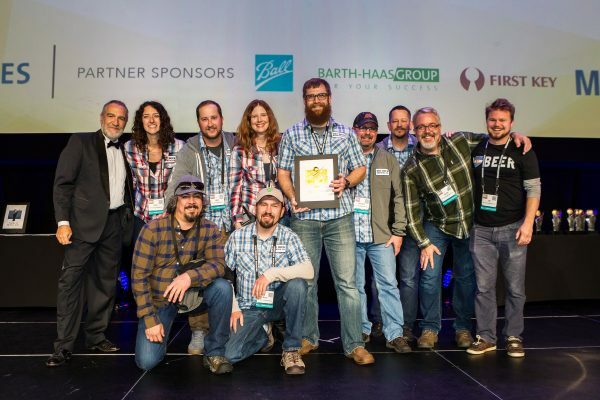 Award-winning brewing companies are encouraged to use their World Beer Cup awards in public relations and advertising campaigns (including those on the Internet). 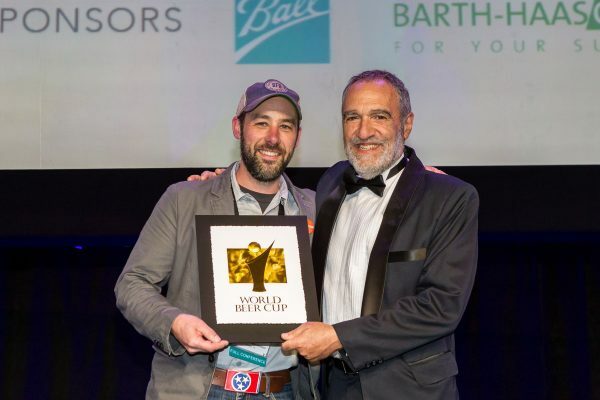 Each award-winning brewing company planning to make any reference to the World Beer Cup in any promotion will be required to sign a licensing agreement with the World Beer Cup, which was part of the registration mailing. 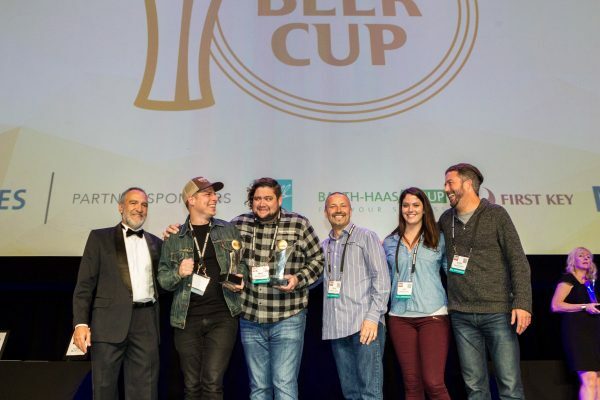 To preserve the integrity of the World Beer Cup and the credibility of its results for all those concerned, reference to World Beer Cup awards are governed by rules. 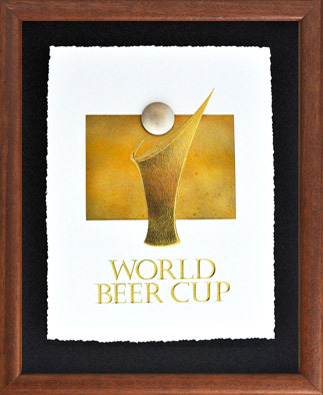 Be sure and review the Post-Event Publicity Rules and Use of the World Beer Cup Logo below. 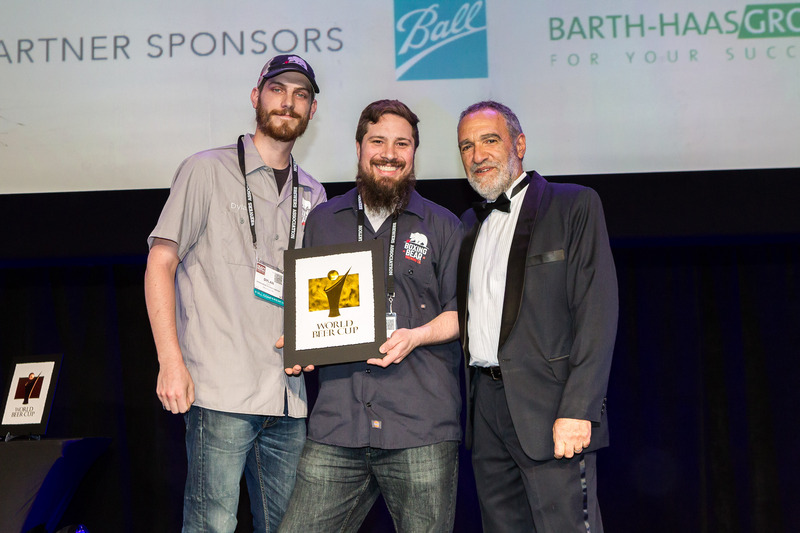 Always include the category, award type (gold, silver or bronze), name of the beer, and year the award was won. 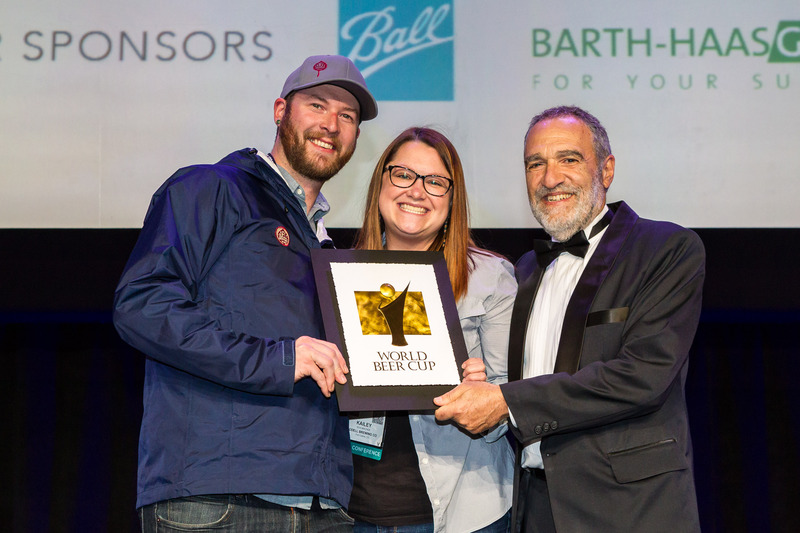 Always include the ® when using World Beer Cup®. 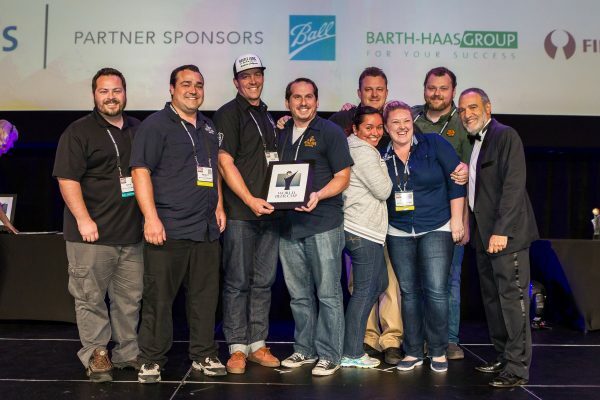 It is a registered trademark of the Brewers Association. 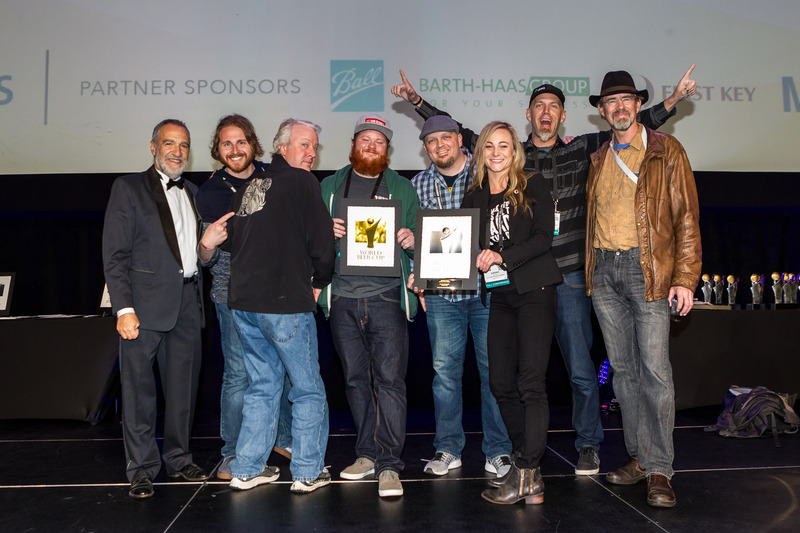 A great way to promote your World Beer Cup award win is by issuing a press release to the media. 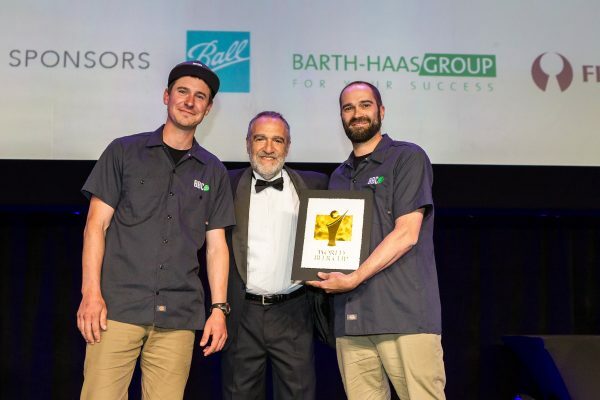 For a sample press release that you can personalize for your brewery, use our Winners Customizable Press Release (MS Word file). Award-winning brewing companies are encouraged to use their World Beer Cup awards in public relations and advertising campaigns. 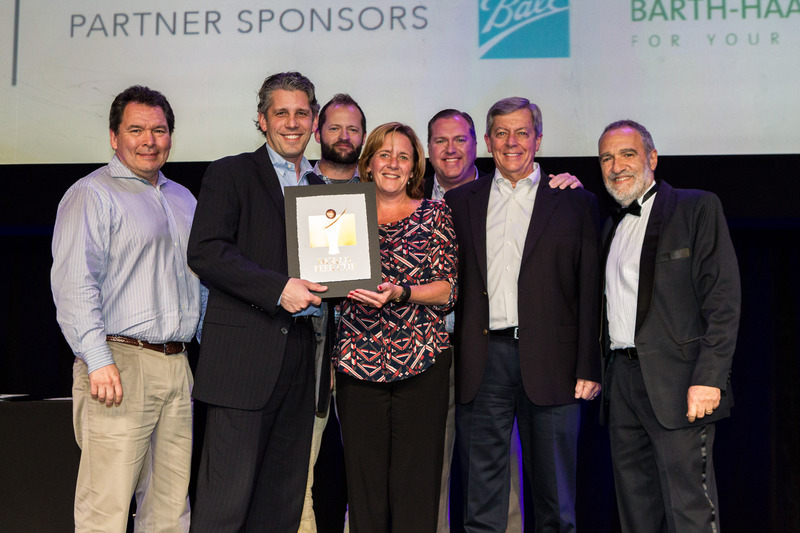 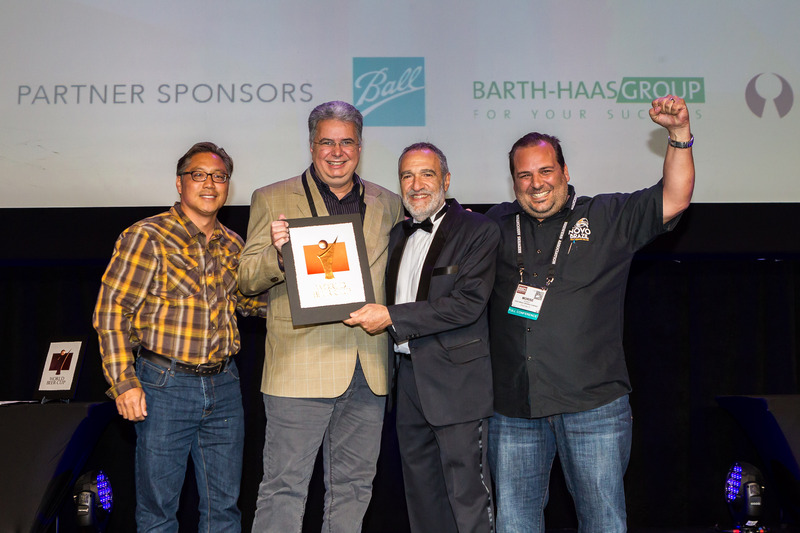 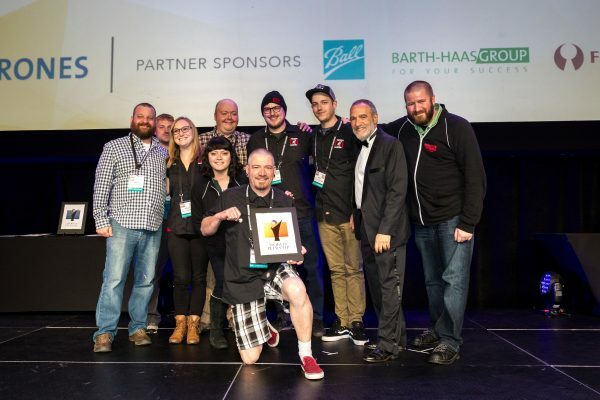 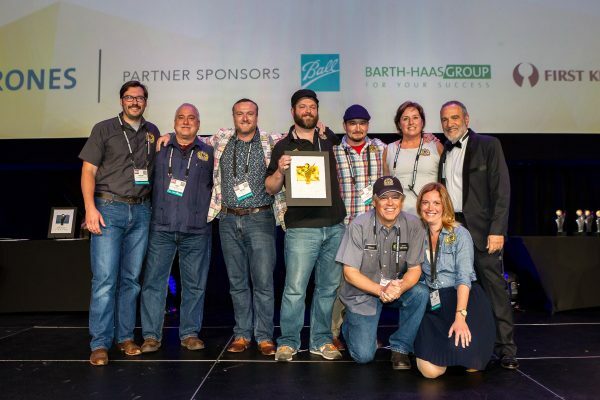 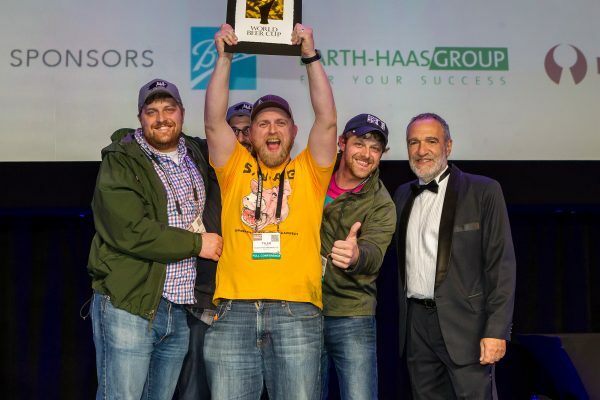 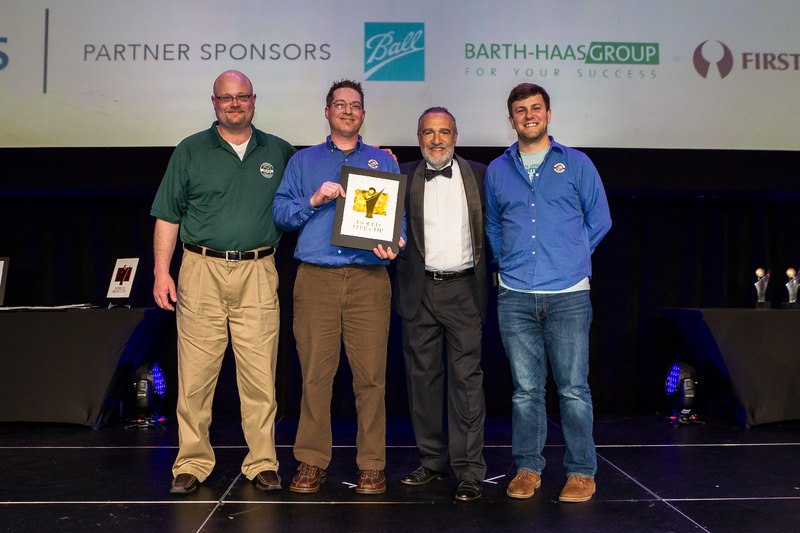 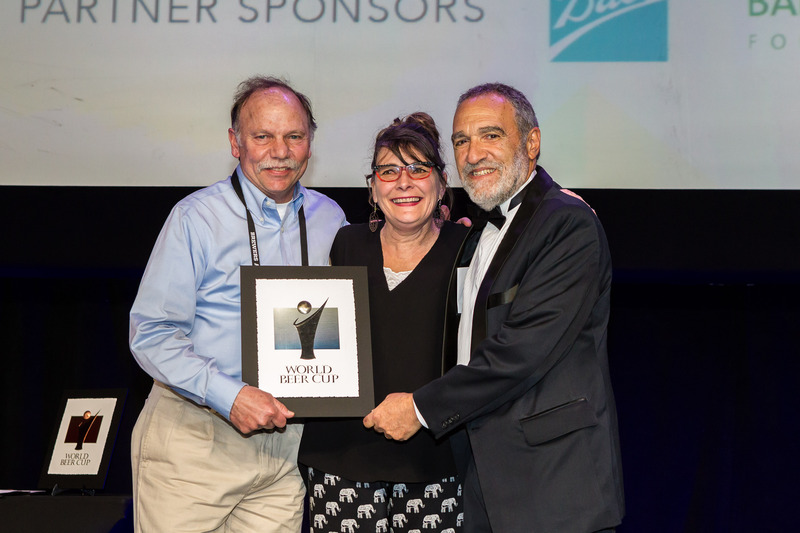 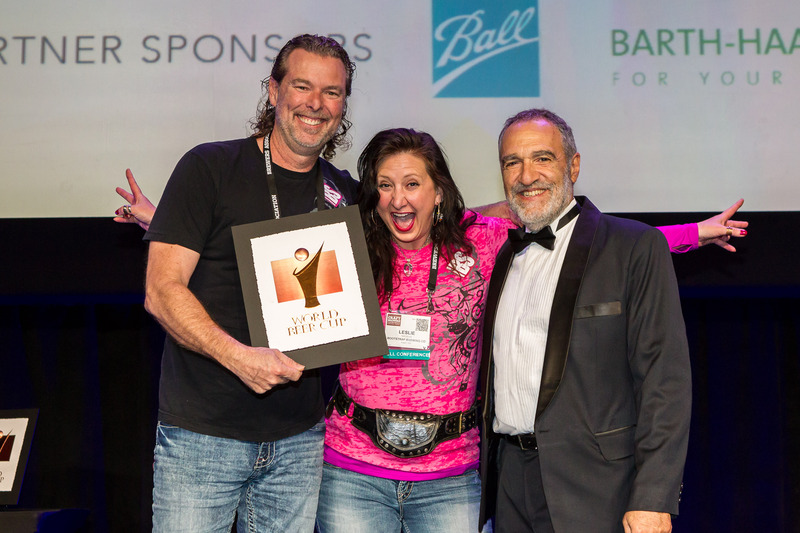 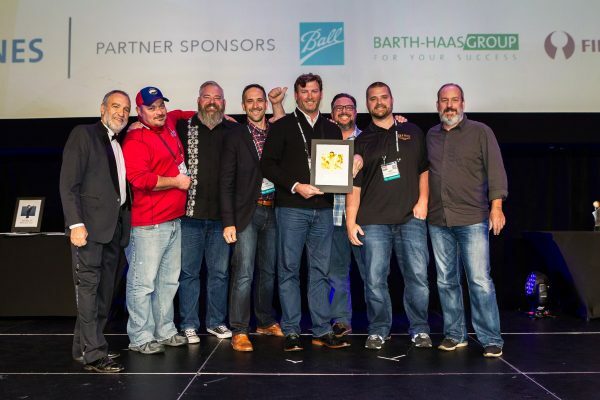 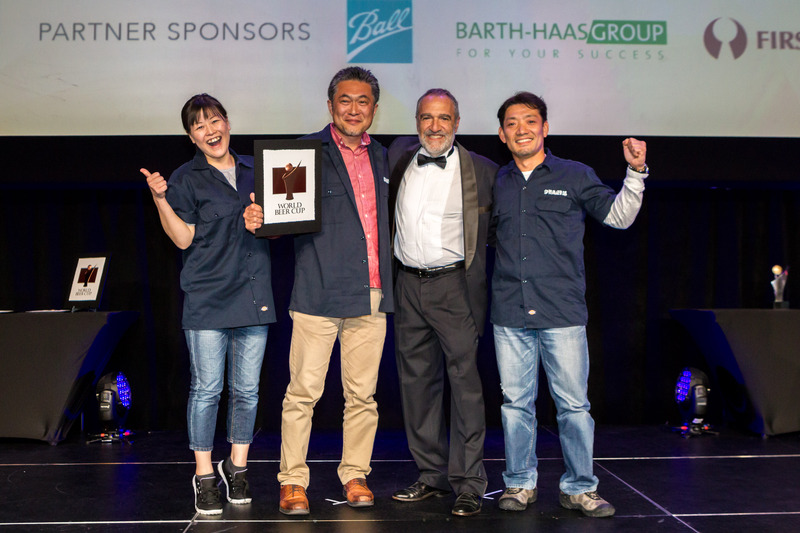 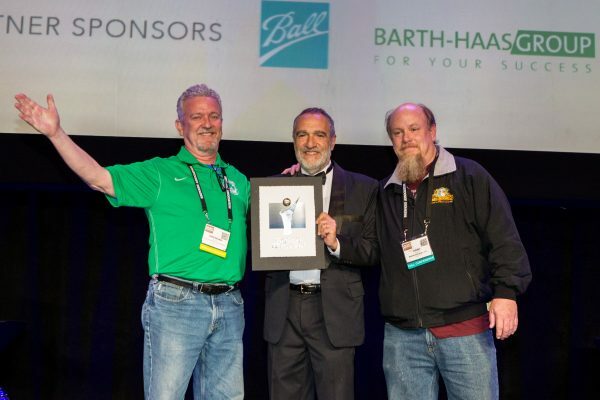 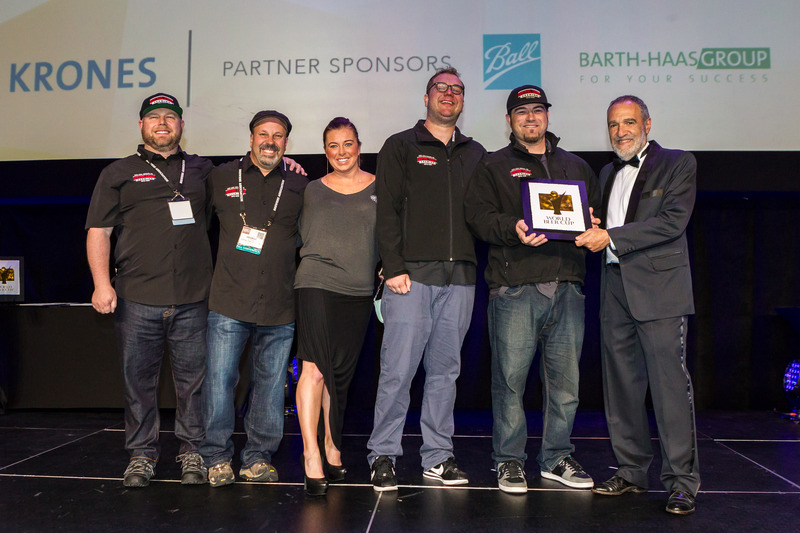 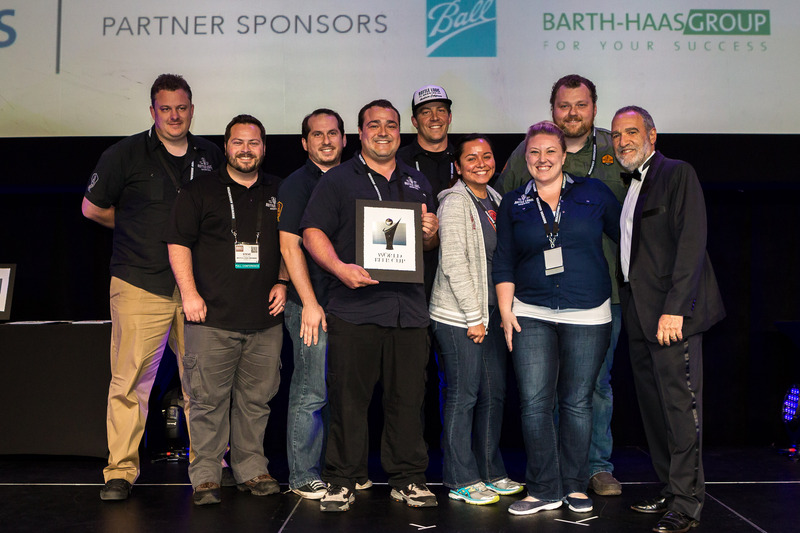 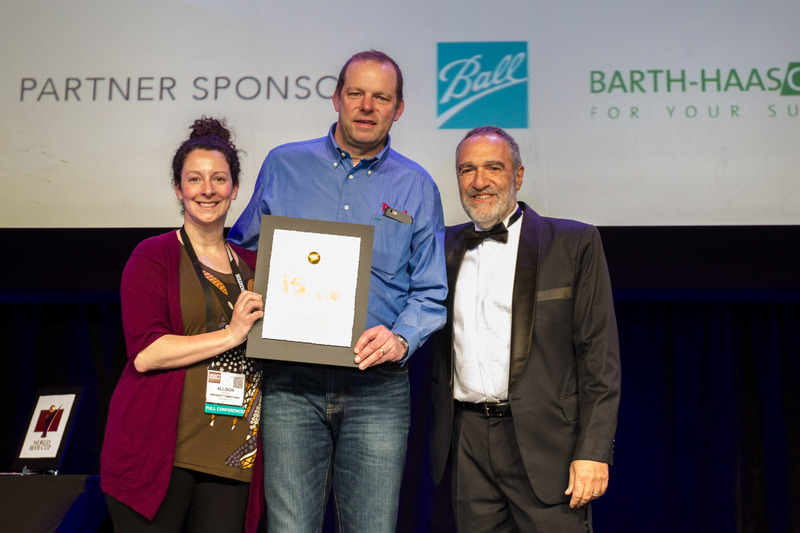 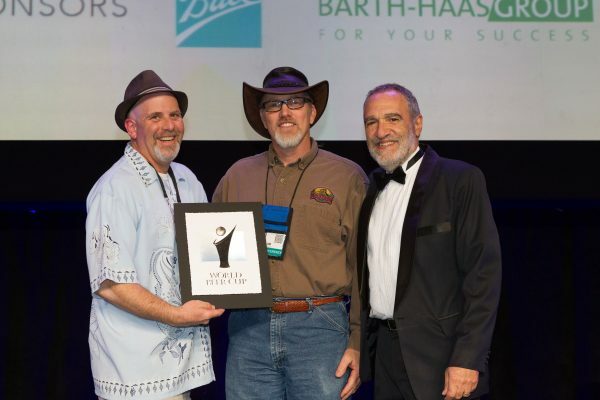 Each award-winning brewing company planning to make any reference to the World Beer Cup in any promotion will be required to sign a licensing agreement with the World Beer Cup, which was a part of the registration process. 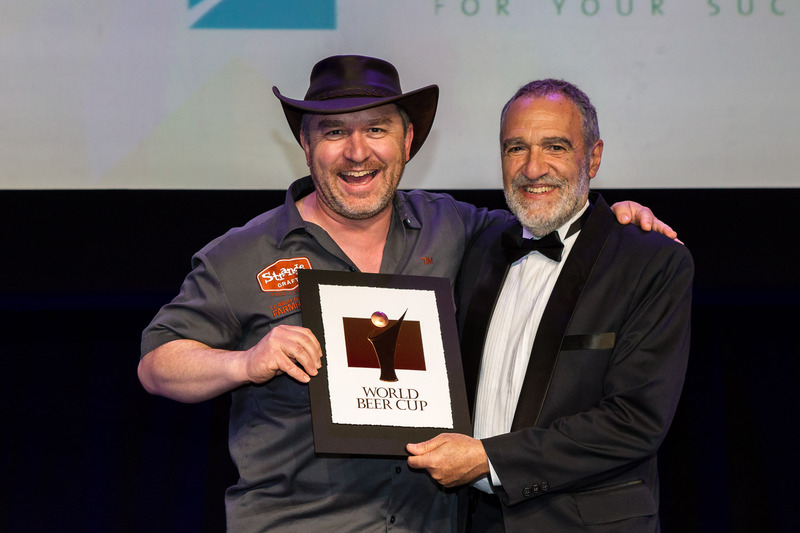 The guidelines for using the World Beer Cup mark are outlined in the Post Event Publicity Rules below. 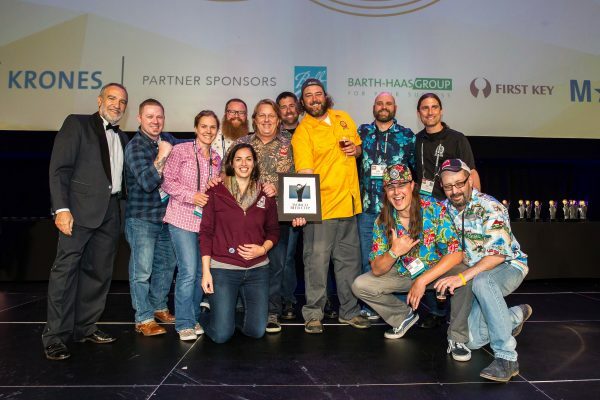 Always have your artwork pre-approved by the Brewers Association. 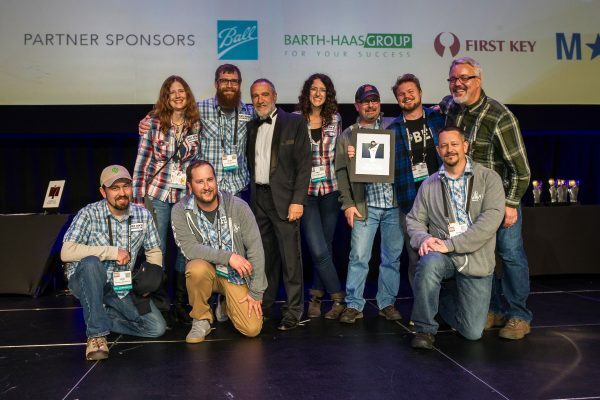 Allow 21 business days for approval. 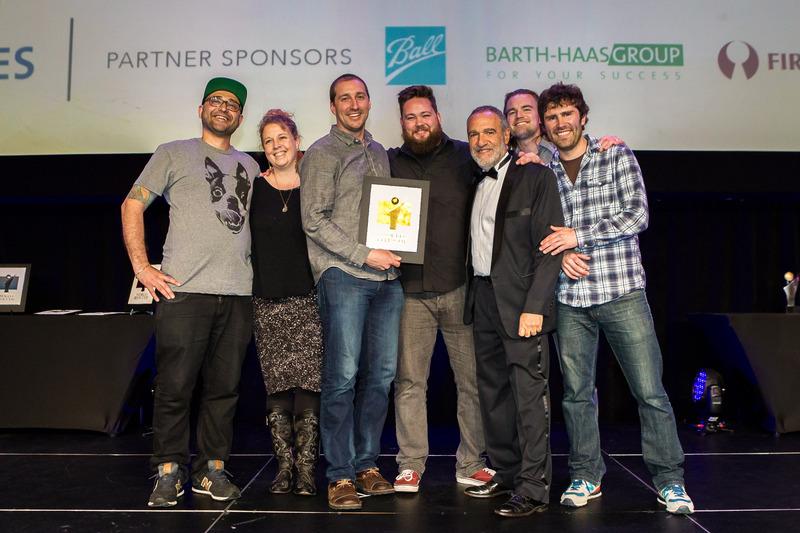 The first five submissions (per award winning brand) shall be at no charge. 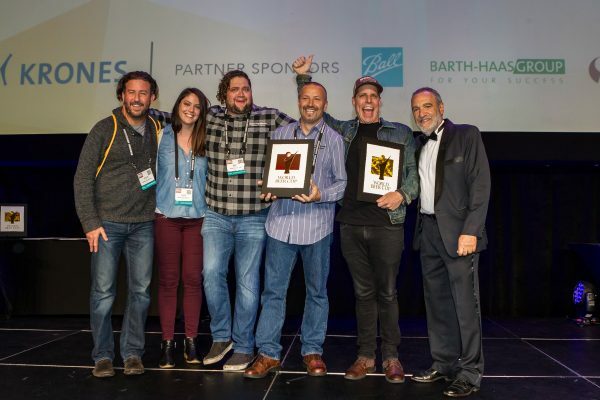 In the event Licensee shall make more than five (5) submissions per calendar year, then the sixth and each subsequent submission shall include an administrative fee payment of $200.00 (Two hundred U.S. dollars). 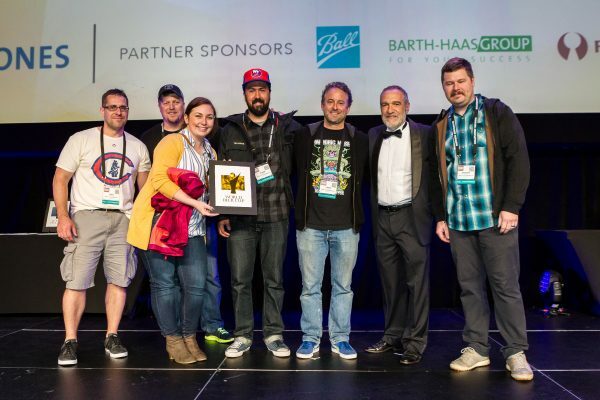 See sidebar for submission information. In all cases, reference to an award must specify the type of award received (i.e., gold or first place; silver or second place; bronze or third place). 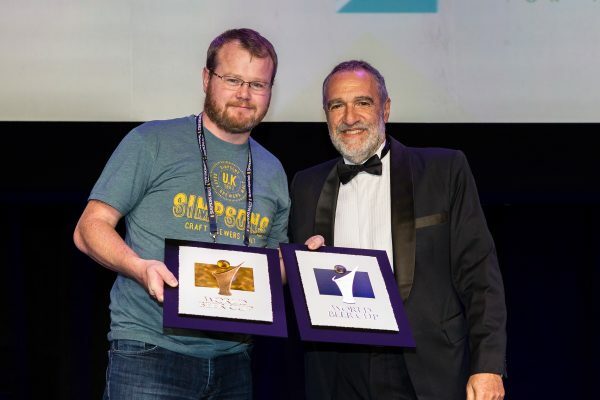 Type of award must be referenced in a font size equal to the size used to reference the award. 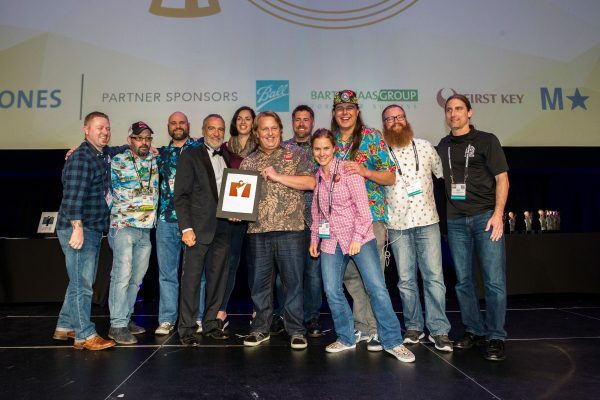 See # 7. 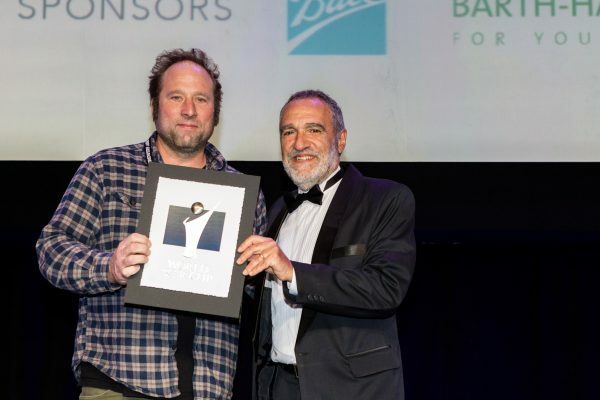 In all cases, reference to an award must include a mention of the year it was received. The year must be referenced in a font size equal to the size used to reference the award. See # 7. 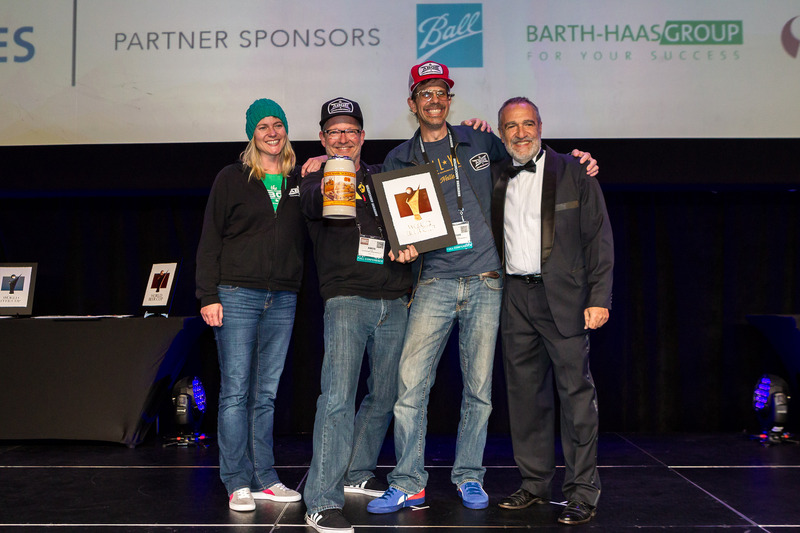 In all cases, reference to an award must include the name of the beer and brewing company exactly as entered in the World Beer Cup for the year in which the award was received. 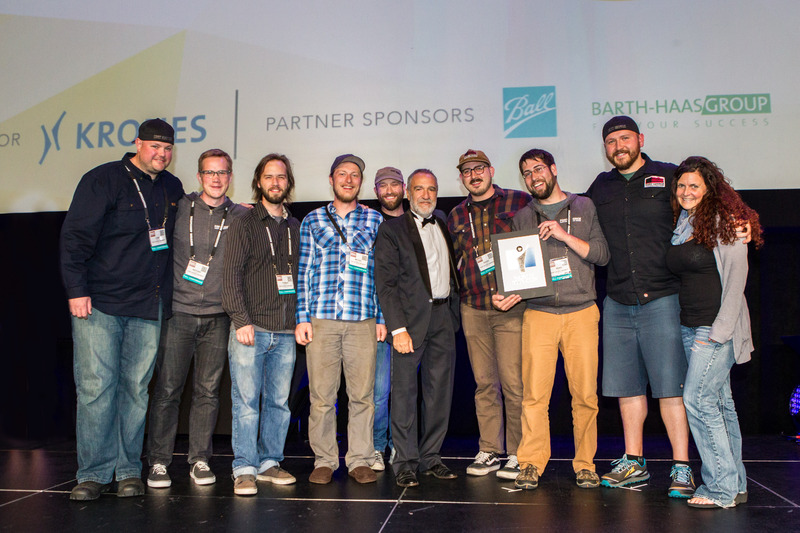 See # 7. 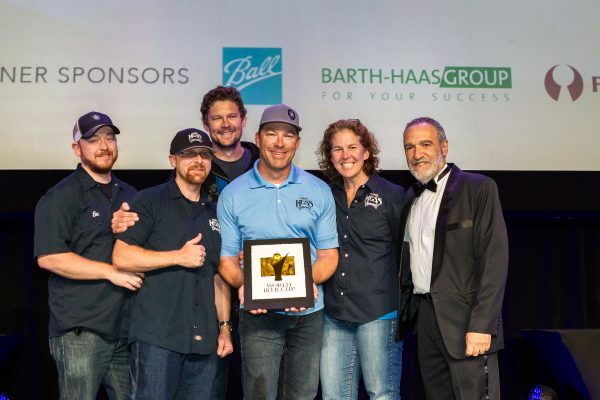 Reference to an award must state the name of any alcohol beverage industry member directly or indirectly owning 25% or more interest (including stock or other equity interest) in the winning brewing company. 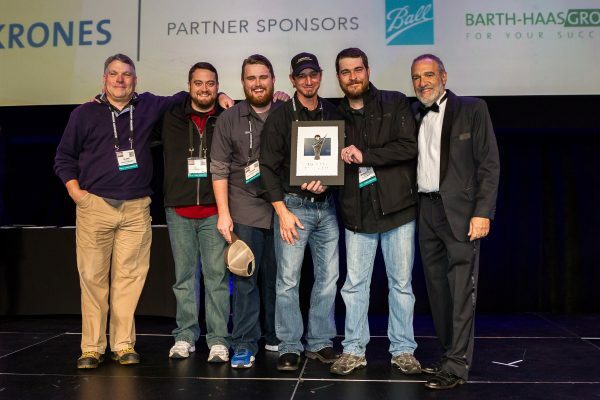 This requirement does not apply to ownership by an alcohol beverage industry member producing less than six million barrels annually (as calculated using “controlled group” rules of 26 U.S.C. 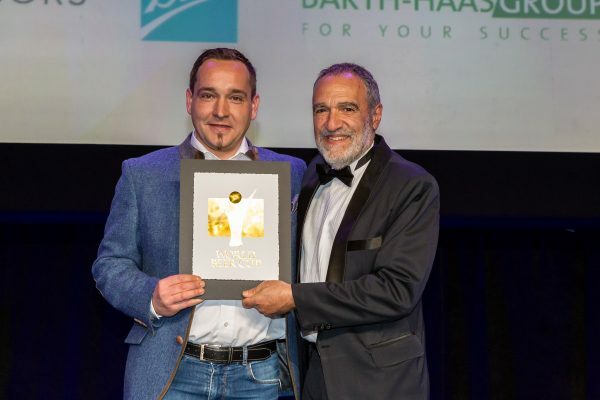 § 5051). The name of the industry member must appear direct conjunction with the reference to the award and in a manner reasonably calculated to inform the public of the ownership of the winning brewing company. 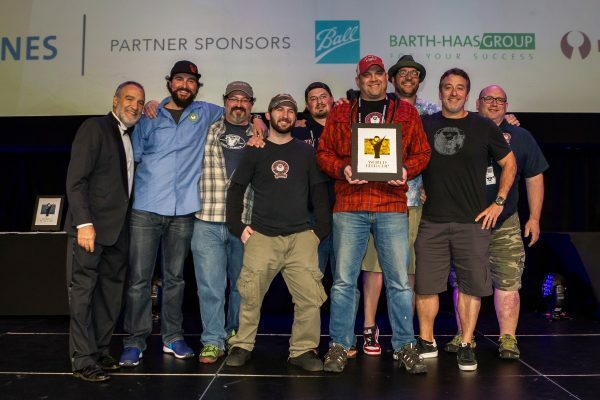 Situations triggering this requirement include those where the winning brewer is part of a “controlled group” of brewers with a combined production in excess of six million barrels, with the threshold for finding a “controlled group” being an interest of 25% or greater, and also includes direct or indirect ownership by a winery, distillery, alcohol beverage distributor, or alcohol beverage importer. 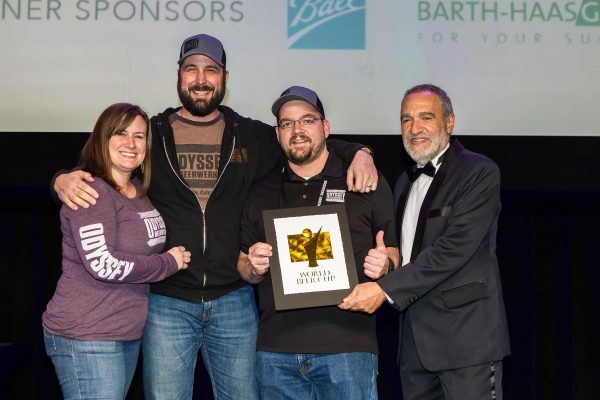 All of the above required items must be in a font size large enough to be read in the format in which they are presented. 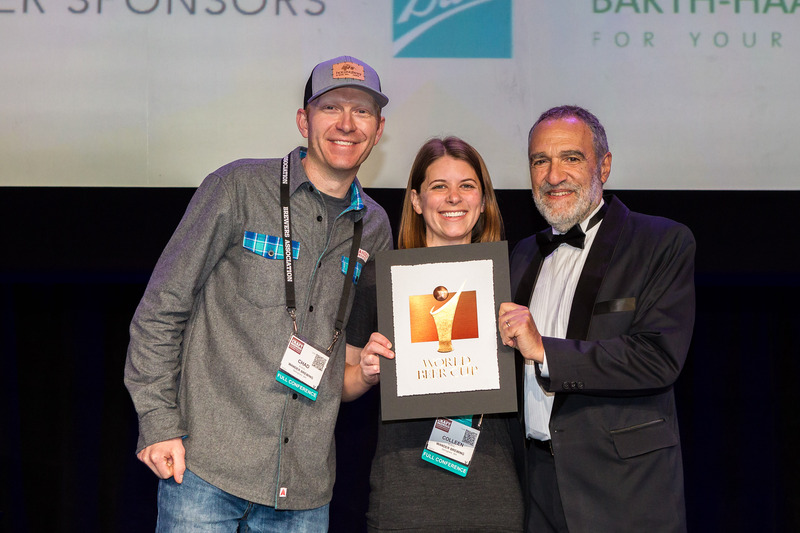 Use the artwork provided by the Brewers Association and choose the highest resolution appropriate for your use.The World Beer Cup mark shall be presented in English language. 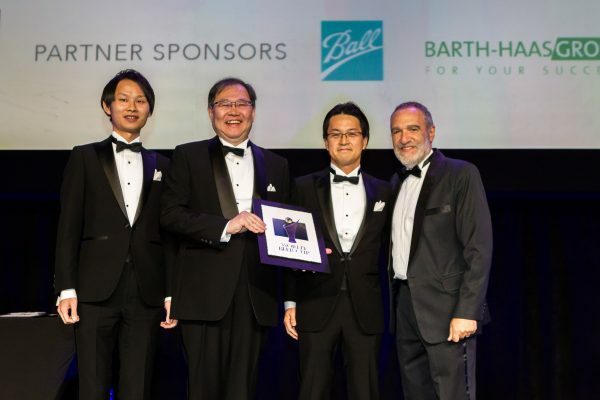 Additional statements in other languages may be made, if the statements do not conflict with, or are contradictory to, the requirements of this subpart. 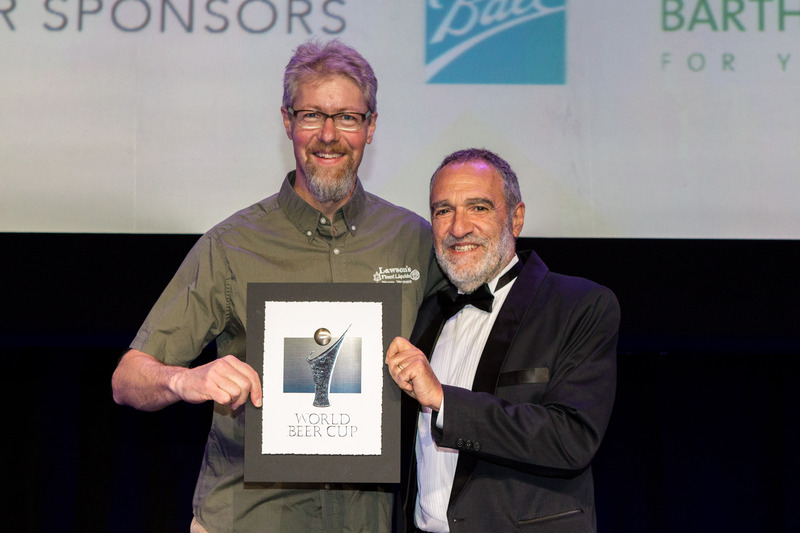 Always use the ® when using the World Beer Cup mark (words and design). It is a registered trademark of the Brewers Association. Promotions or any other mentions of the World Beer Cup and World Beer Cup awards may not mention other brewing companies nor the name of any judge or judges serving as a part of the World Beer Cup judging or evaluation. 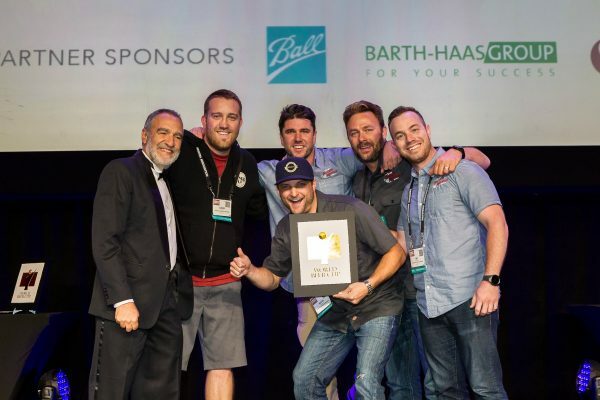 Ads that make reference to other brewing companies either by name or by reference will not receive approval. 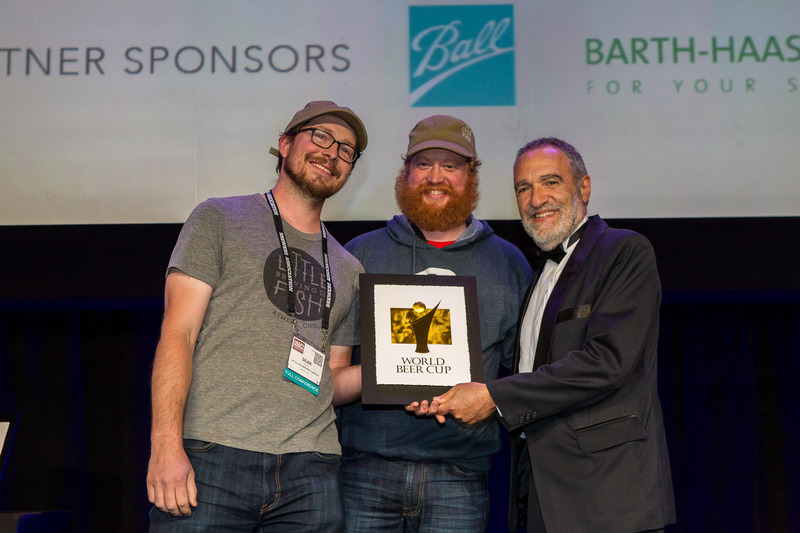 The World Beer Cup mark includes the words and design elements and should appear exactly as it appears on the art supplied by the Brewers Association. 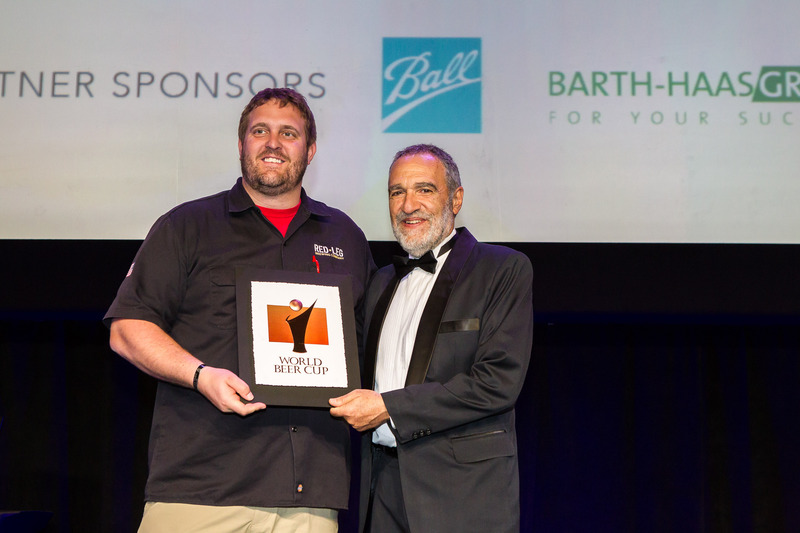 The mark may not be changed in any manner. 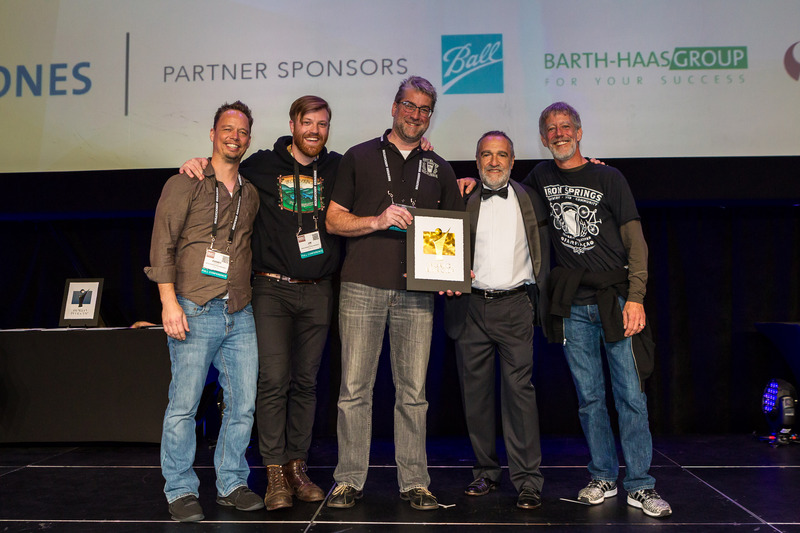 The standard license signed by winning breweries includes permission to use the World Beer Cup mark only in pre-approved advertising/promotions (print/web, etc.) The standard license does not grant permission to use the WBC mark on any merchandise promoting the win (shirts, hats, glassware, etc. ), Individual arrangements can be made for non-standard uses. These rules do not waive any right to trademark or copyright material of the World Beer Cup®. 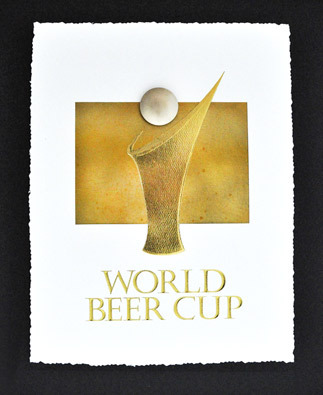 The World Beer Cup logo, copyright, or trademark material may be used only with written permission of the World Beer Cup. Failure of any brewing company, or of any person acting on a brewing company’s behalf or at a brewing company’s direction, to comply with these rules may result in suspension from participation in the World Beer Cup for a duration to be determined at the absolute discretion of the World Beer Cup Rules Committee. In no event shall a suspension be terminated while a brewing company remains in violation. 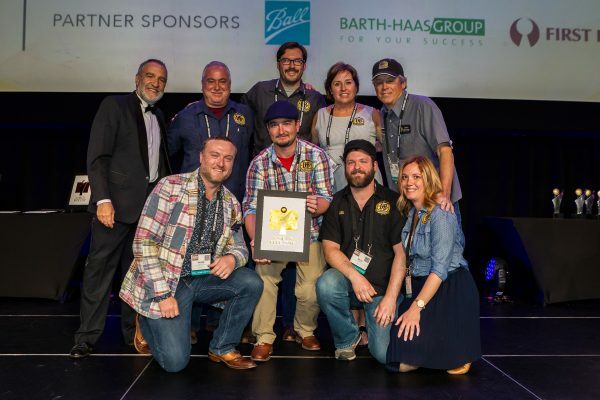 Email nancy@brewersassociation.org with any questions about the agreement or our advertising. 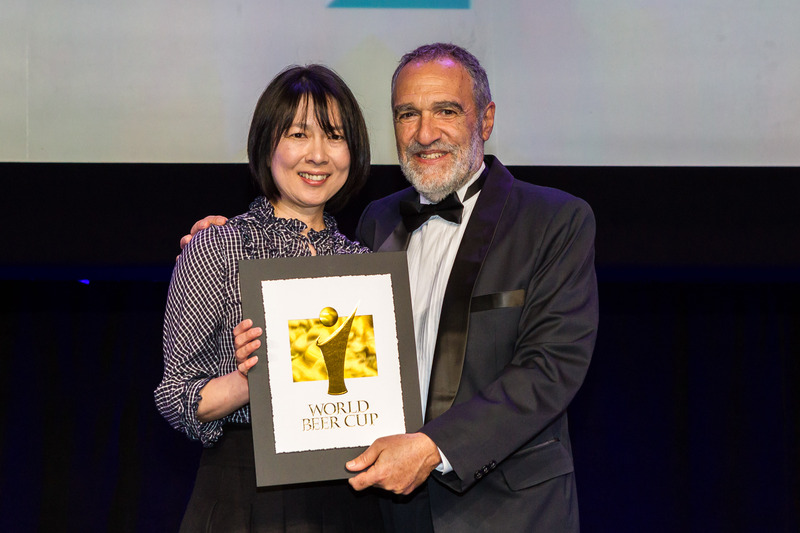 Thank you for your participation in the World Beer Cup and congratulations. 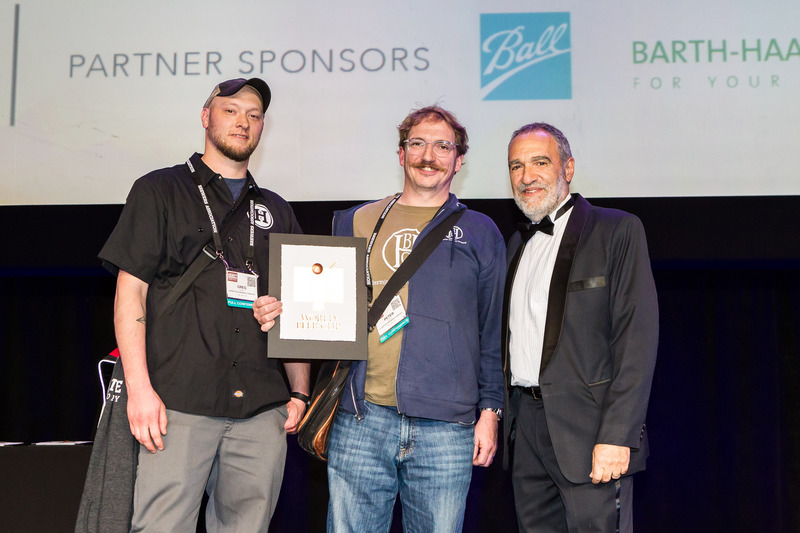 Please refer to the License Agreement for further details. In an effort to address concerns about beer names and related marketing properties that contain sexually explicit, lewd, or demeaning content that reasonable adult consumers would find inappropriate, beer names entered into the World Beer Cup should meet the guidelines in the Brewers Association Advertising and Marketing Code.Beginning for the 2018 iteration of the World Beer Cup competition, breweries that enter beer brand names that do not meet the Advertising and Marketing Code will not be allowed to use the World Beer Cup trademark/logos or name to promote said beer brand if it wins a World Beer Cup Award. 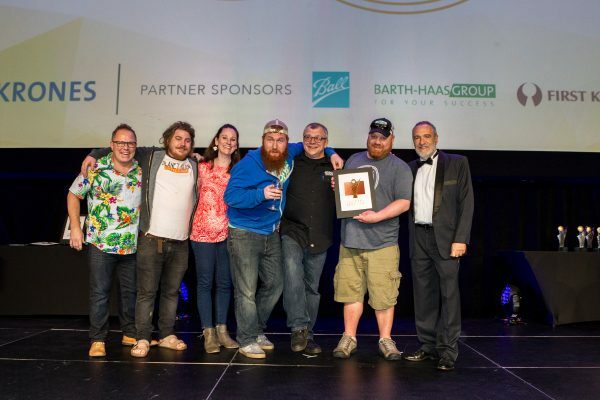 Additionally, those brand names will not be marketed by the Brewers Association. 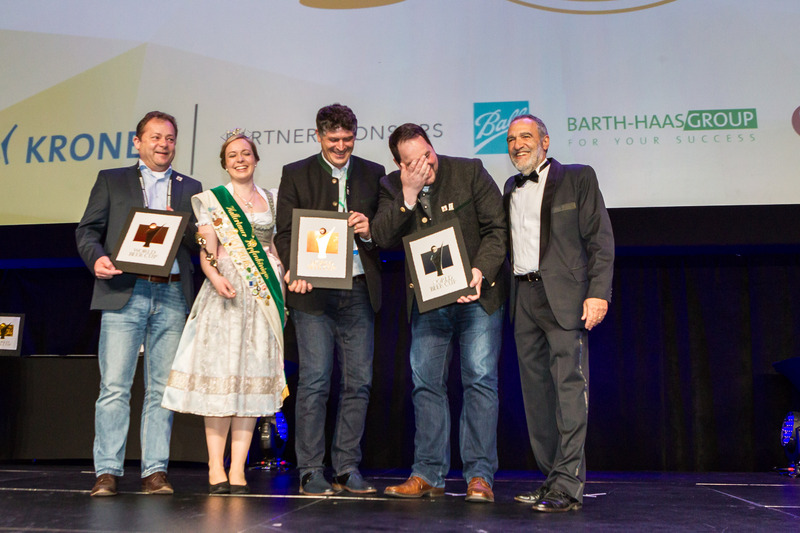 World Beer Cup will not police beer brand names prior to competition. World Beer Cup reserves the right to make final determination of approval for any brewery using World Beer Cup intellectual property when promoting medal-winning beers. 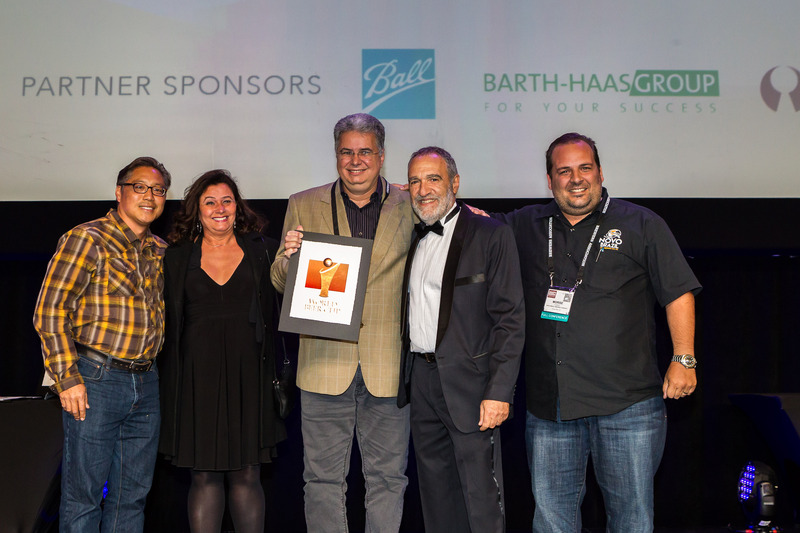 World Beer Cup reserves the right to make final determination (via an independent advertising code review panel) whether or not a brand meets the Advertising and Marketing Code. 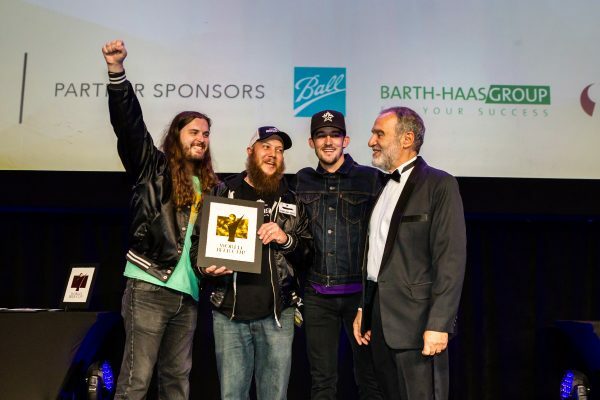 If a beer brand name is deemed to not meet the code, only the style of the beer (and not the actual beer name) will be announced on stage and published in the winners list. 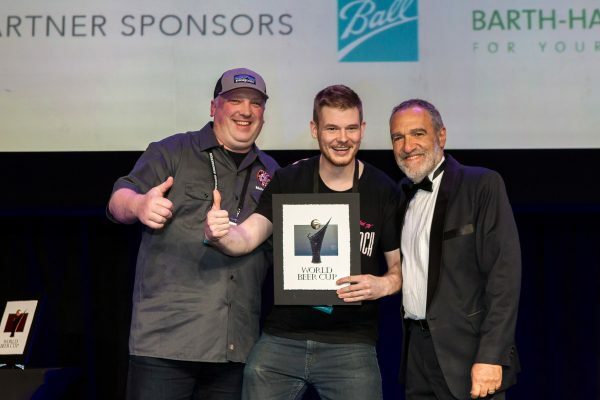 In the event that the brand name of a award winning beer entered in the World Beer Cup competition is found to not meet the Advertising and Marketing Code, the brewery that entered the medal winning beer is entitled to keep the award earned within the World Beer Cup category in which the beer was entered.